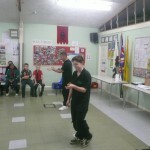 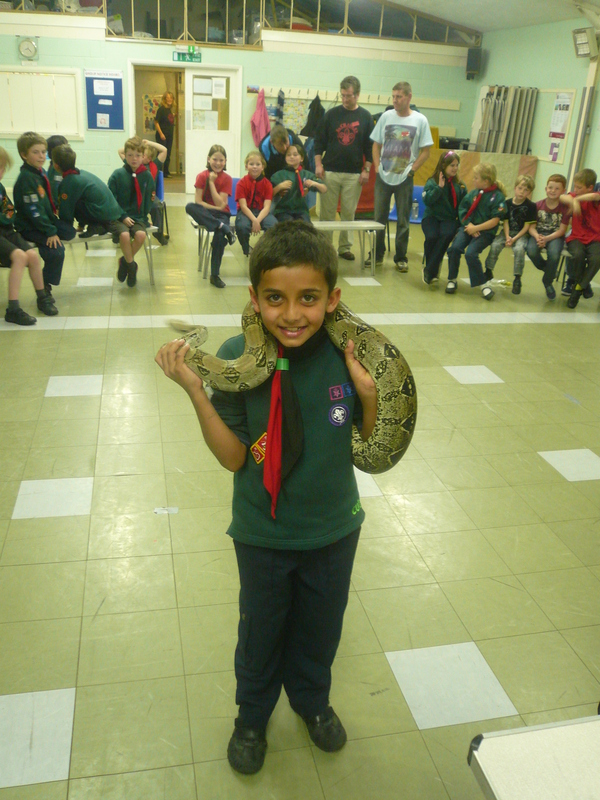 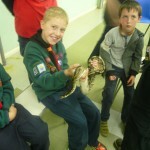 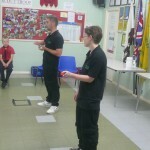 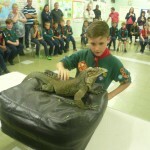 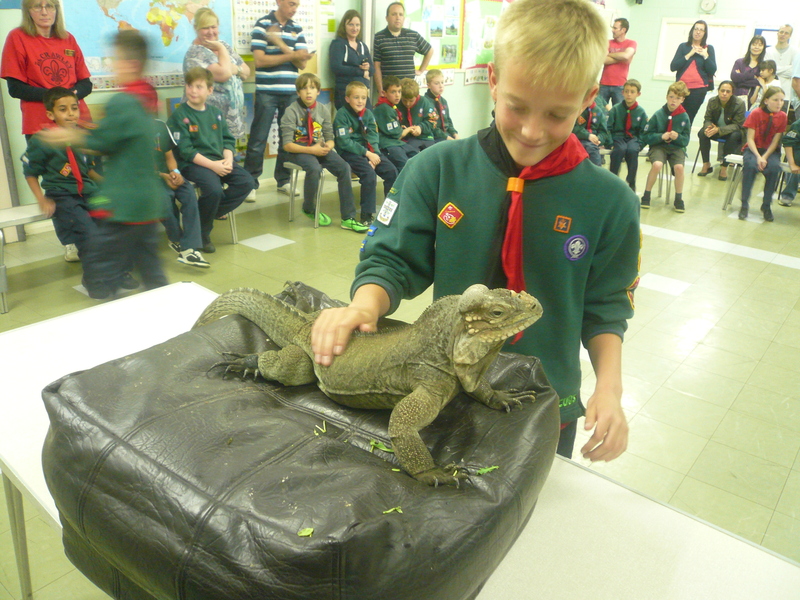 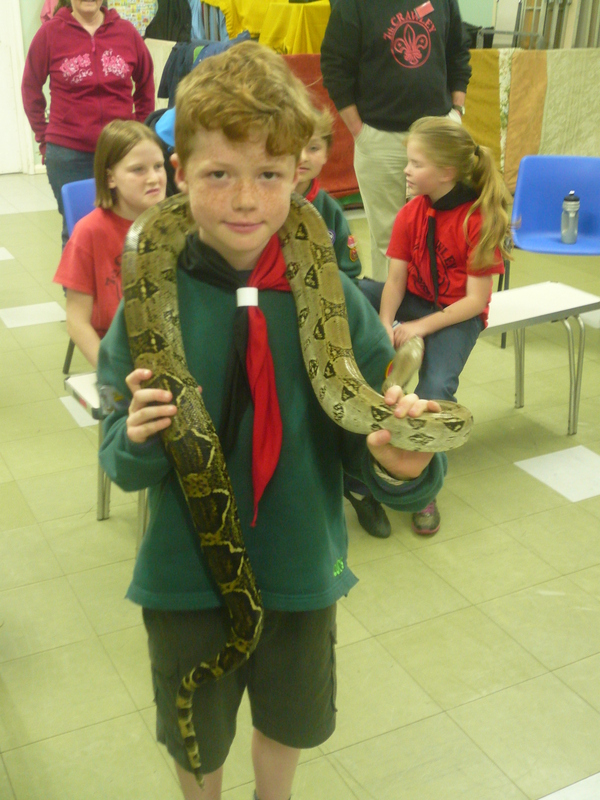 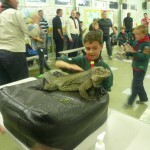 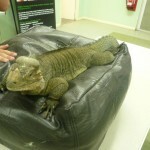 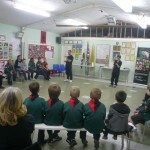 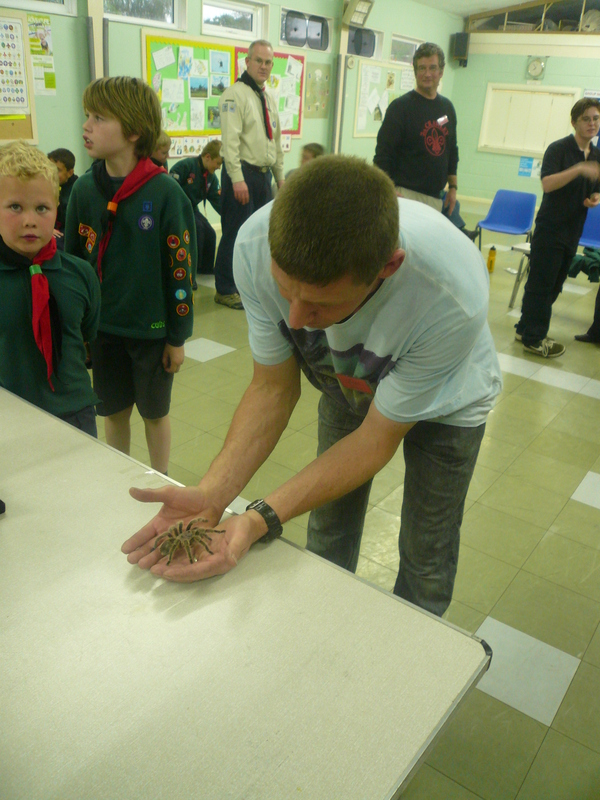 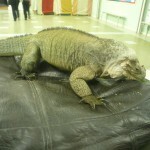 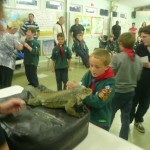 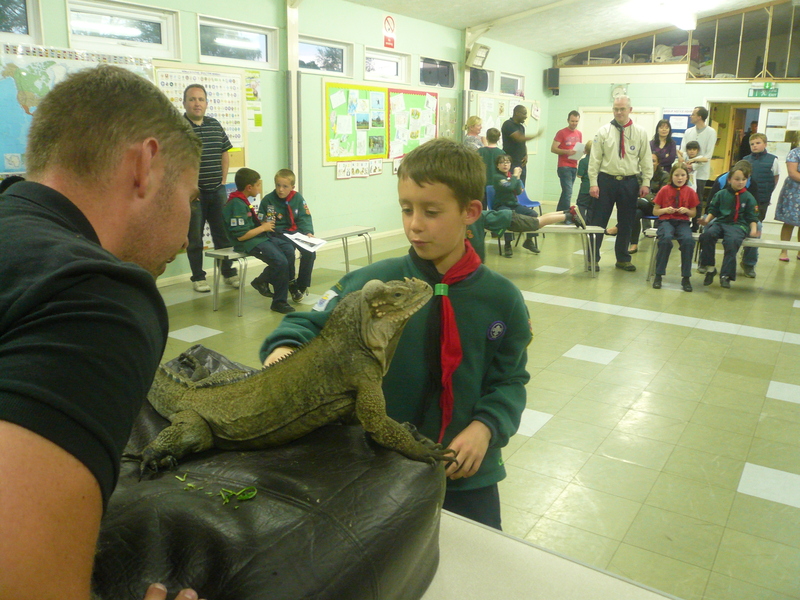 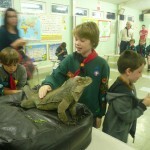 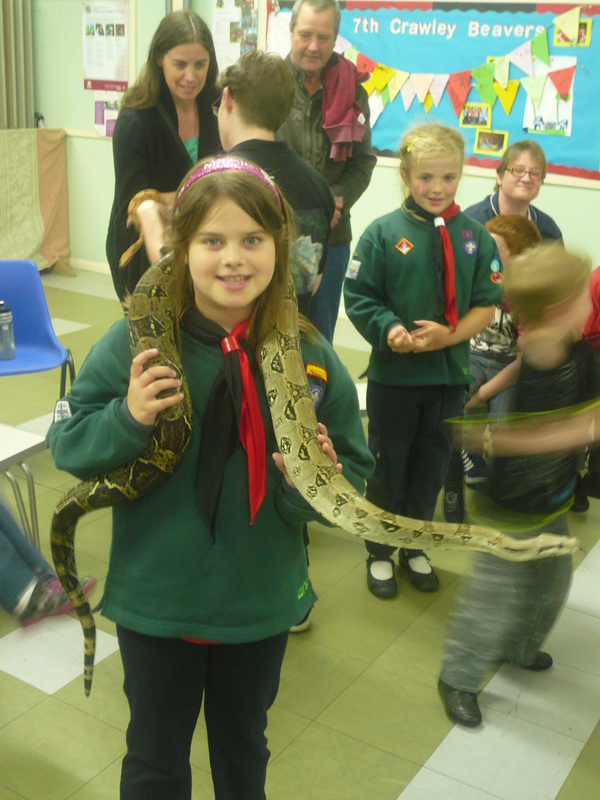 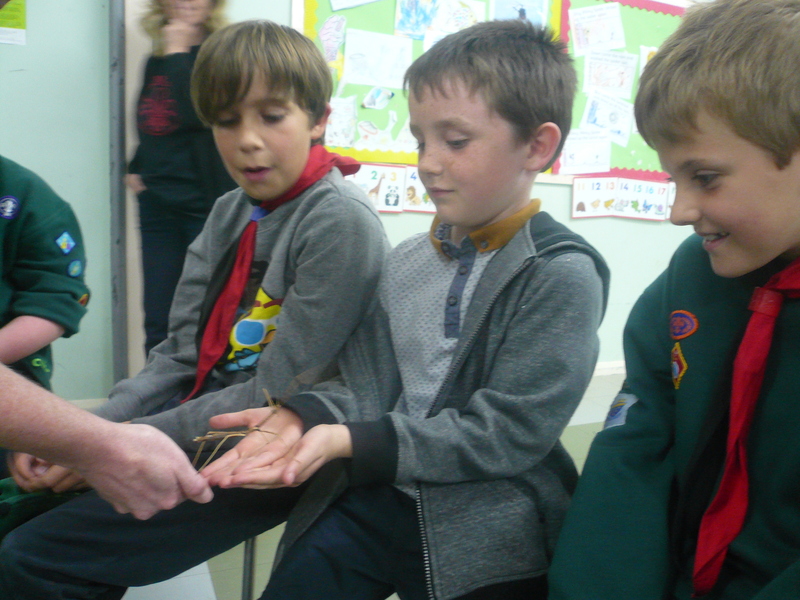 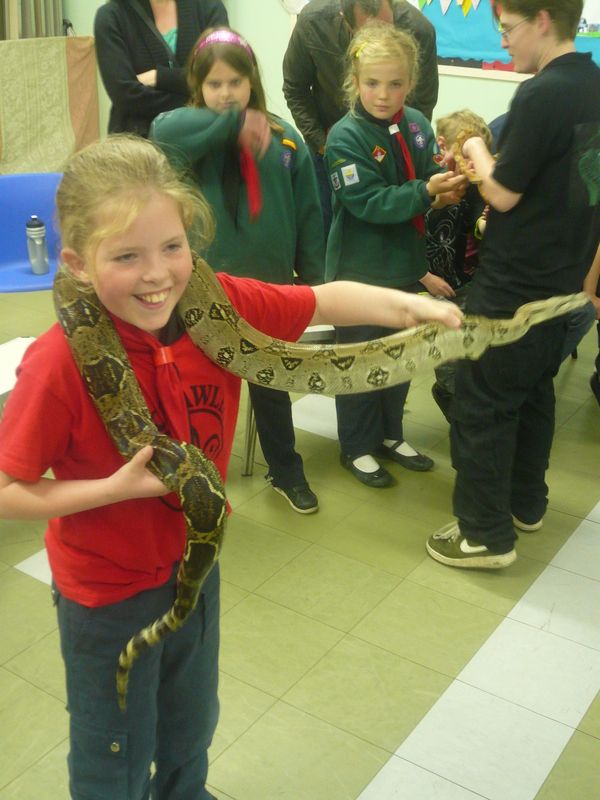 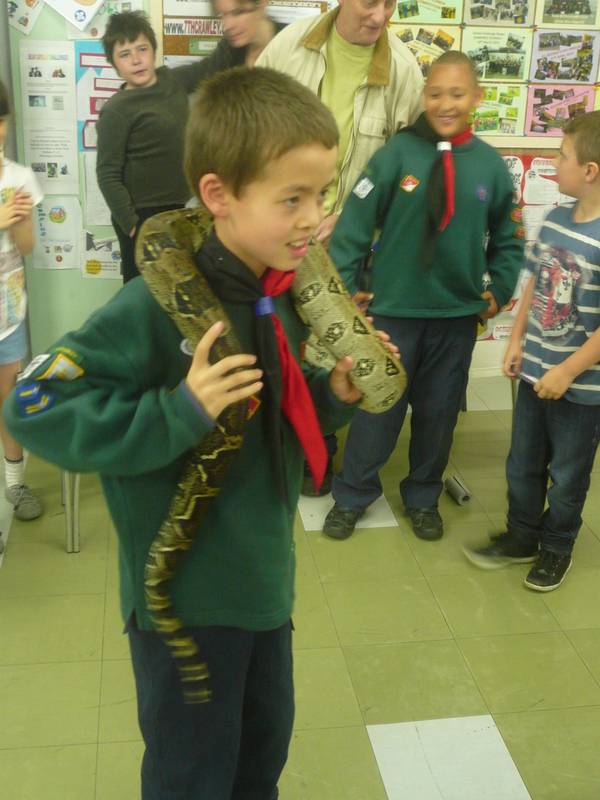 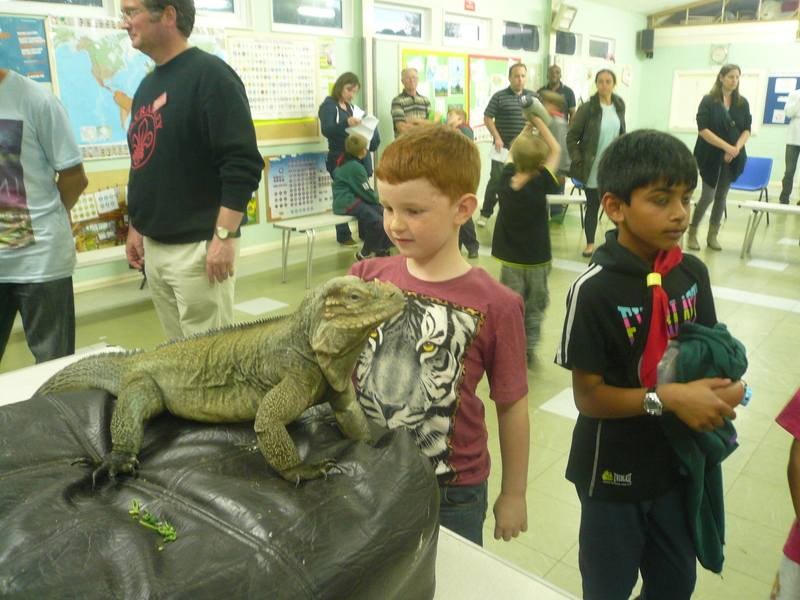 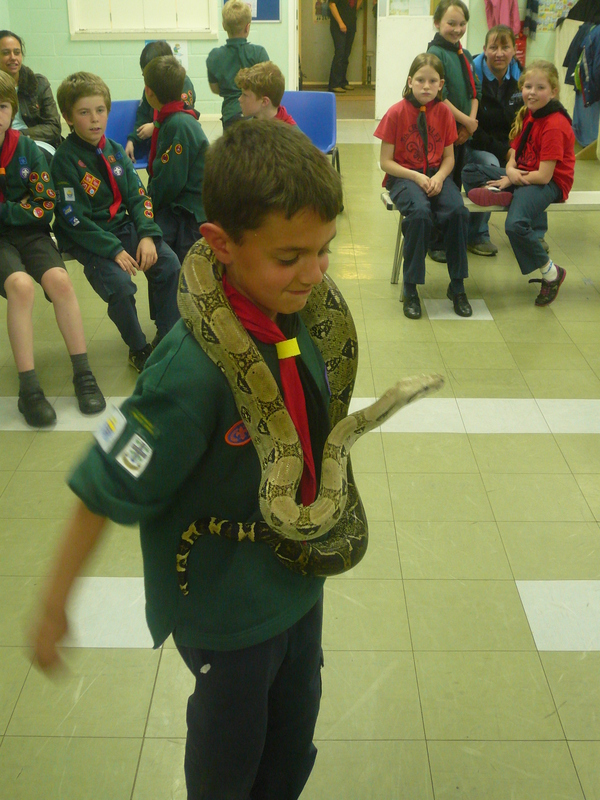 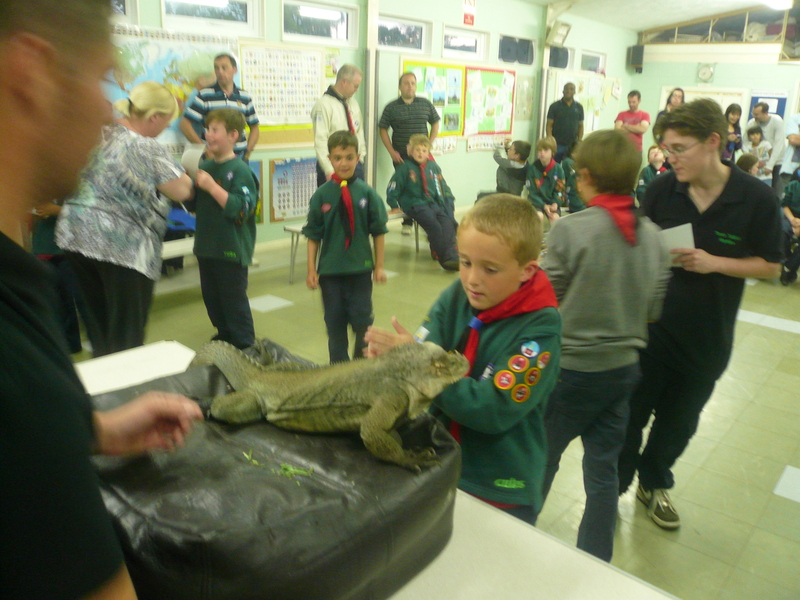 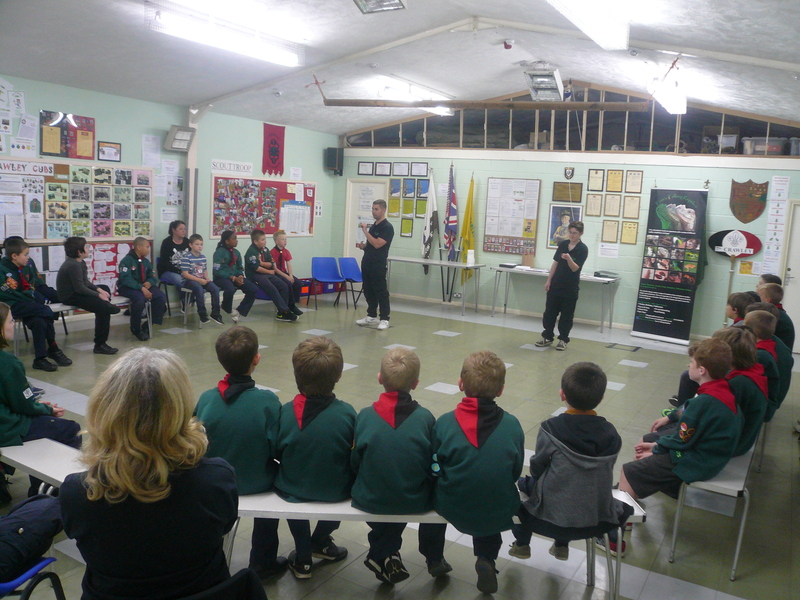 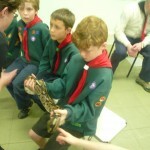 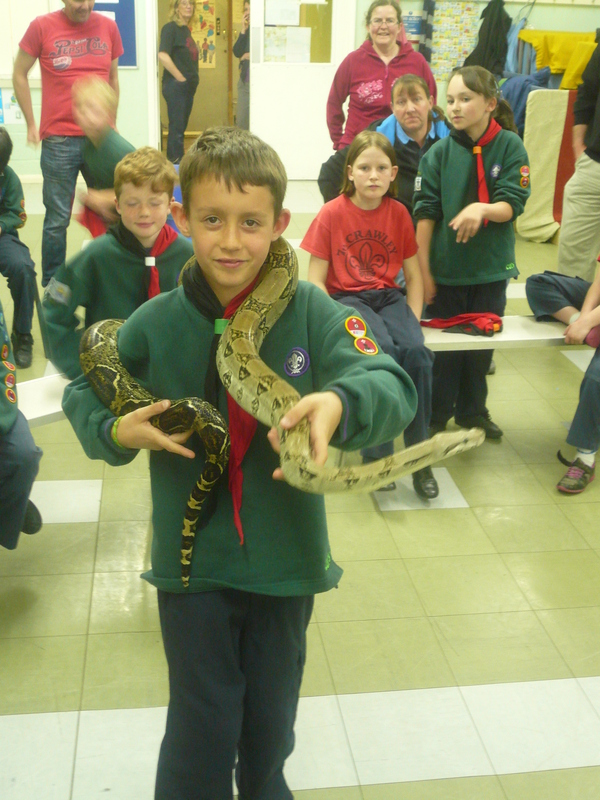 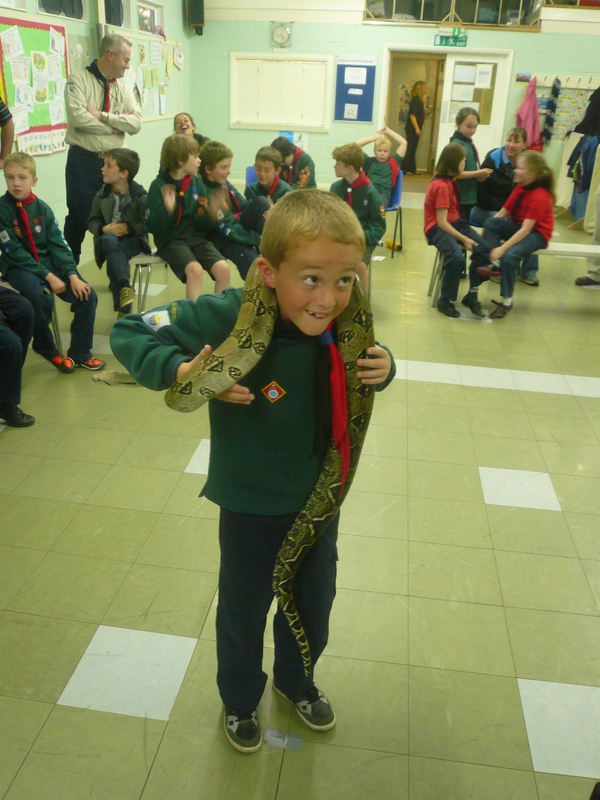 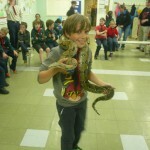 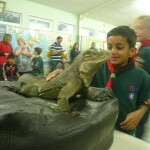 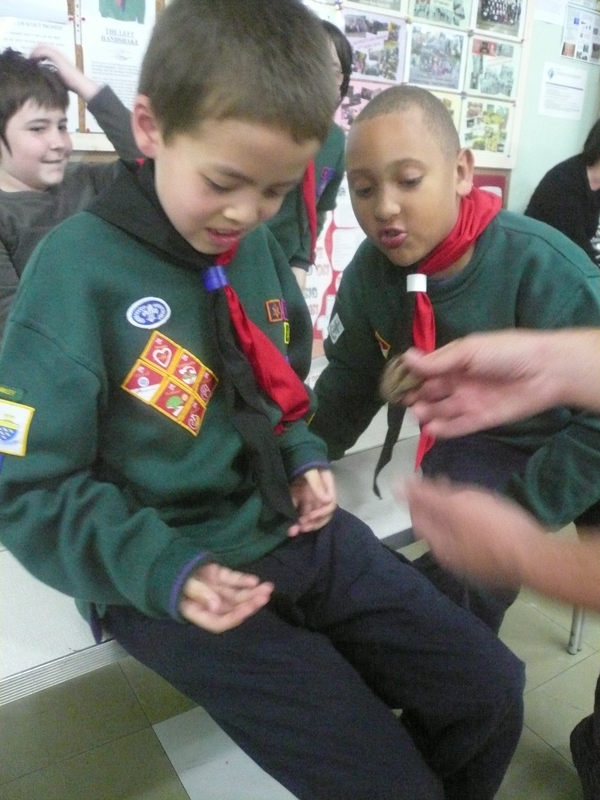 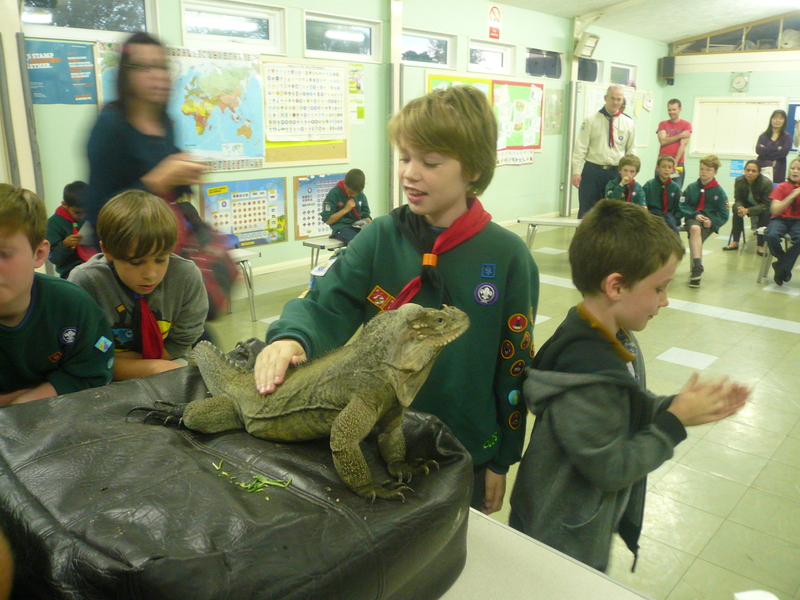 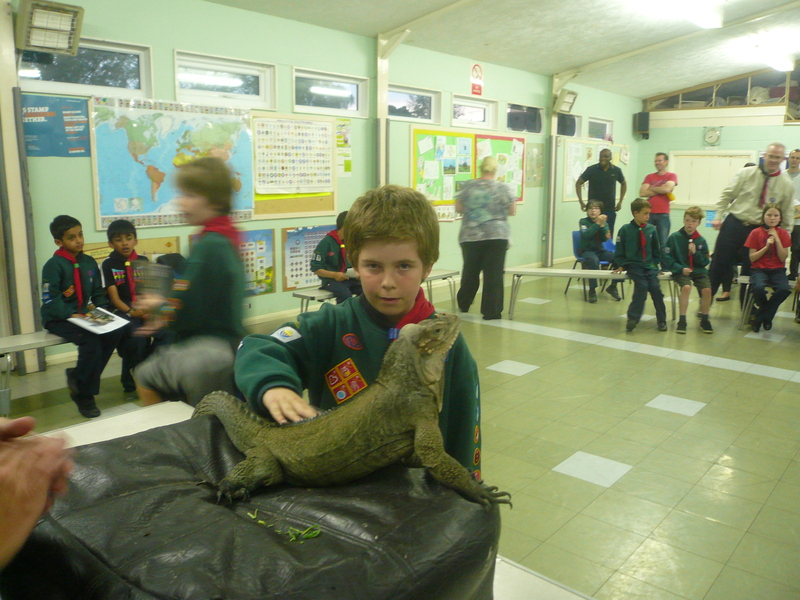 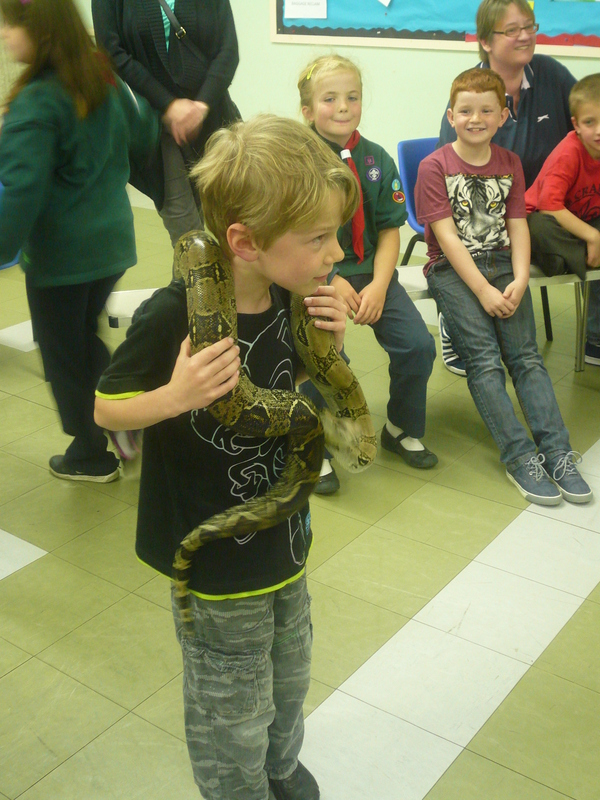 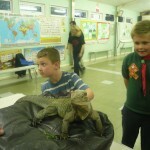 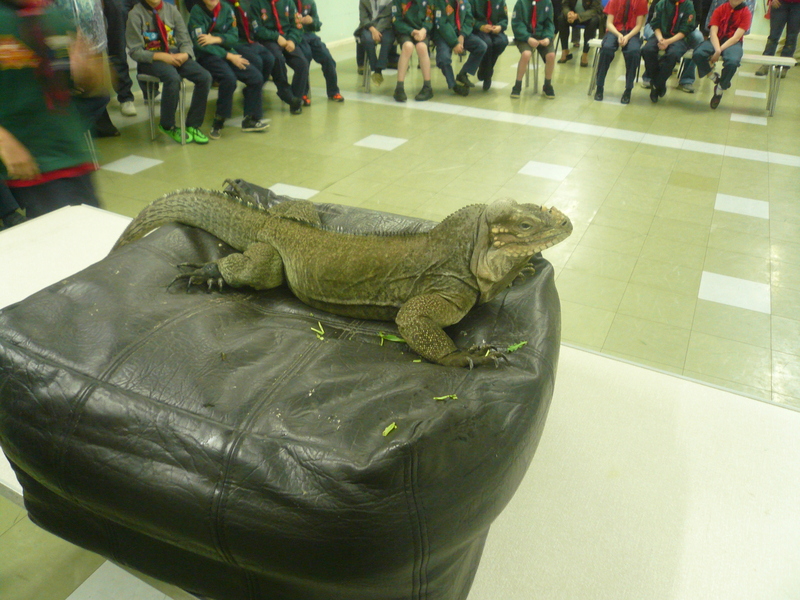 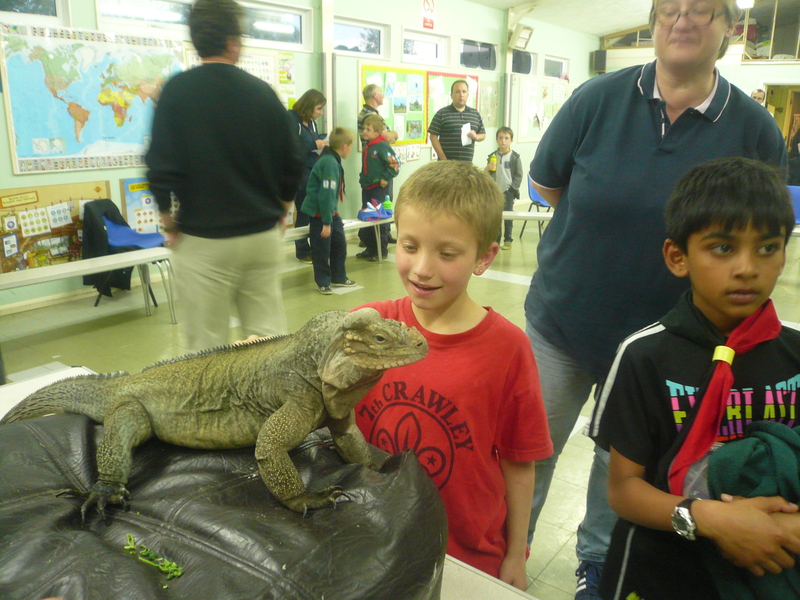 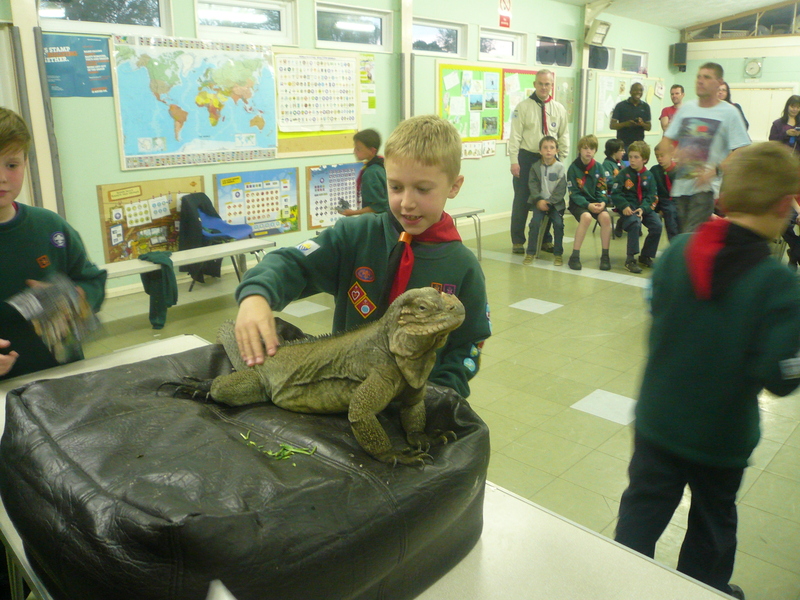 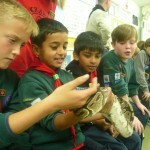 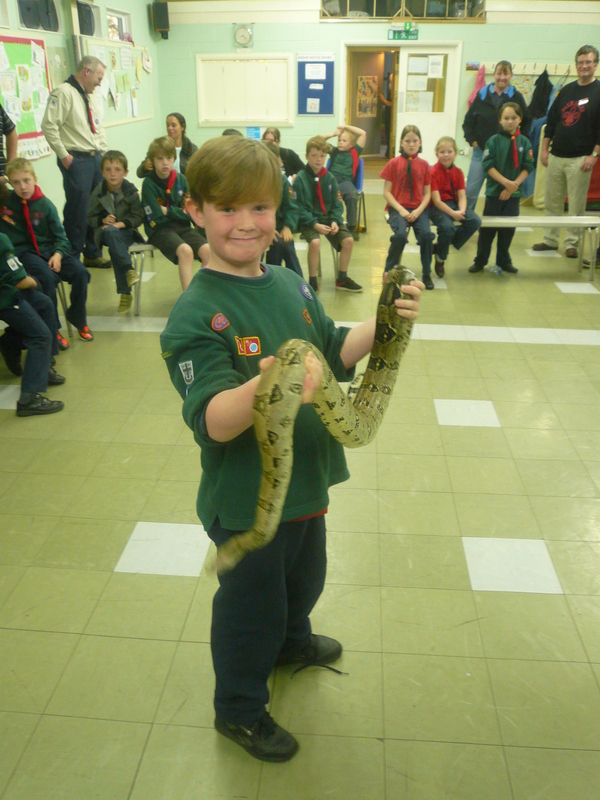 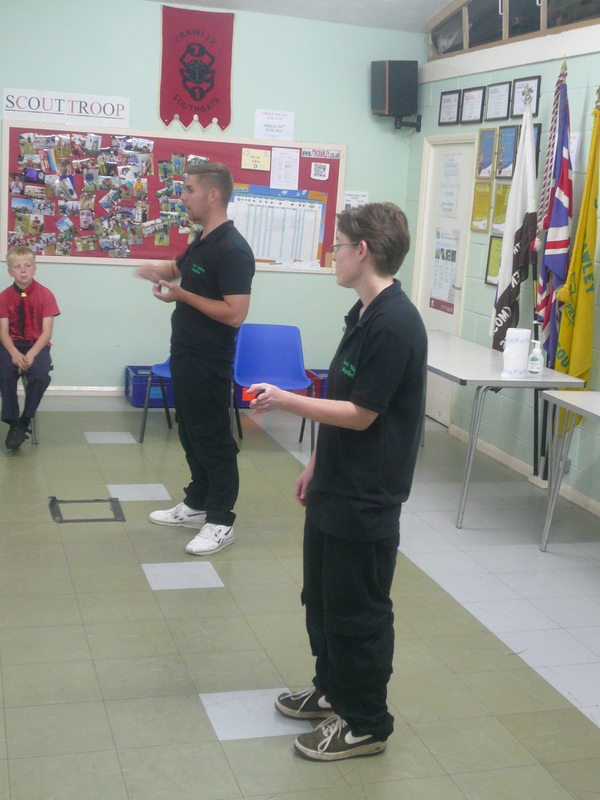 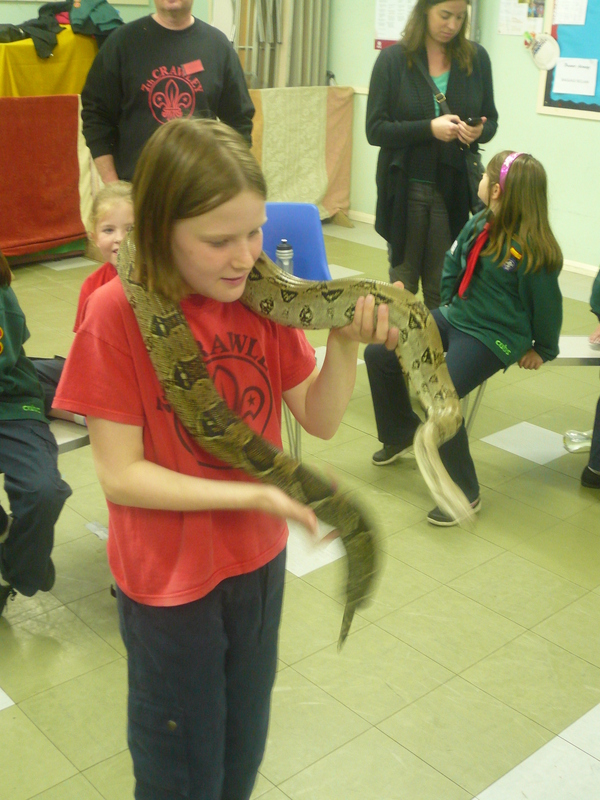 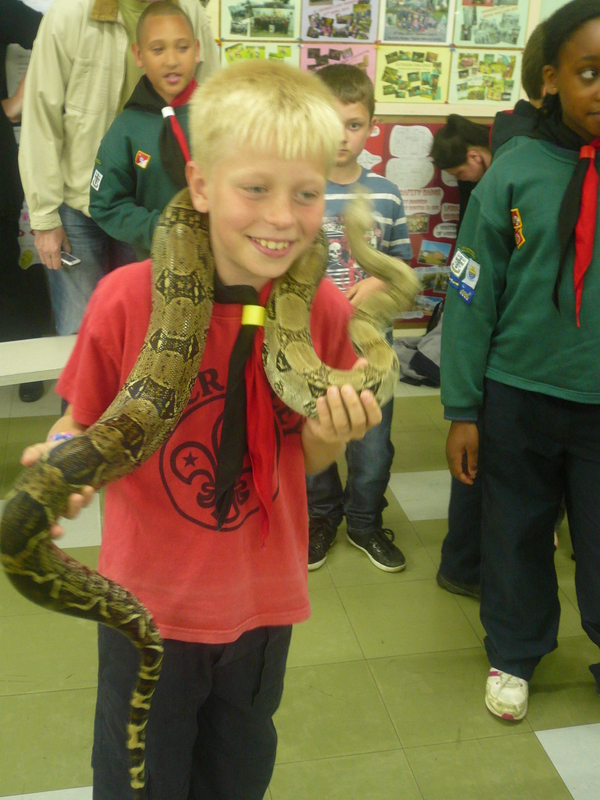 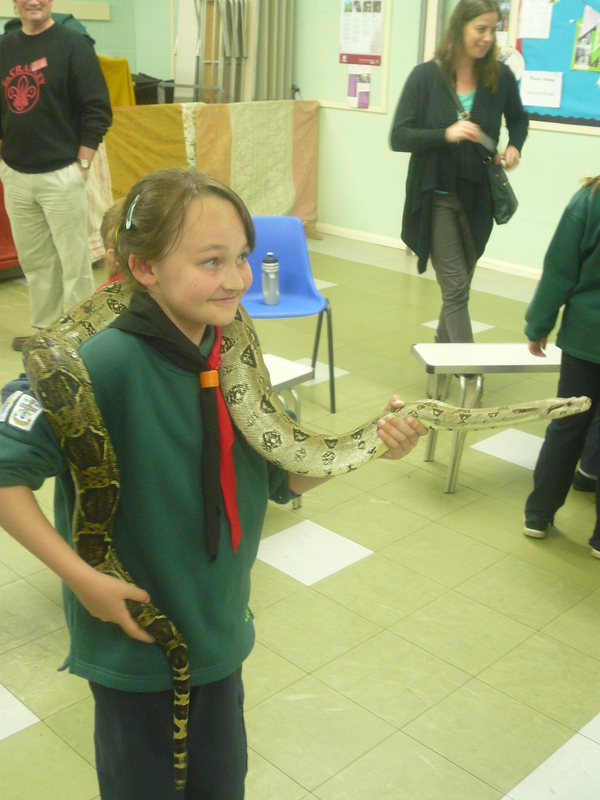 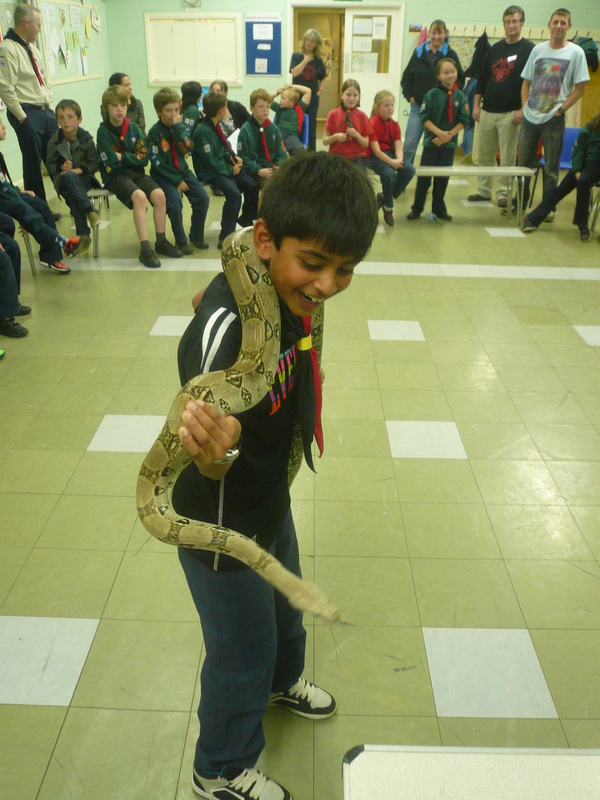 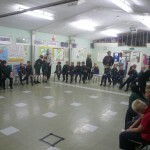 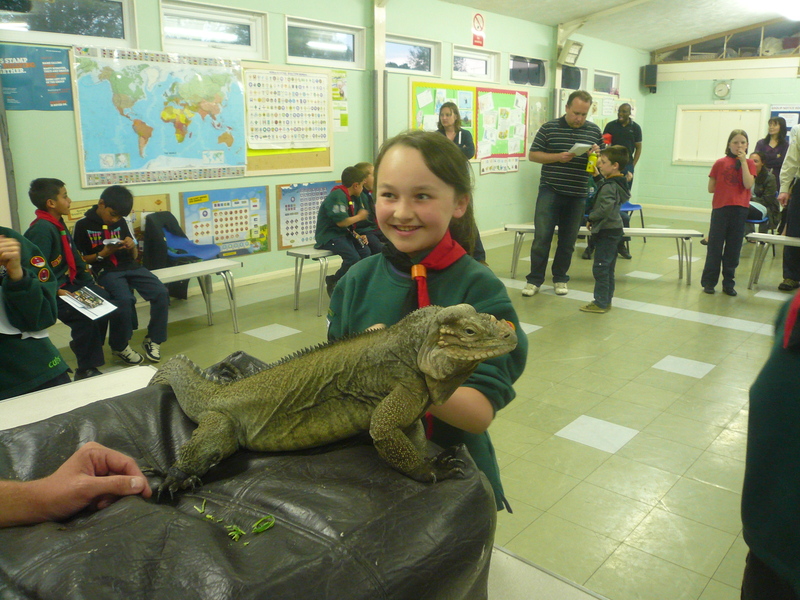 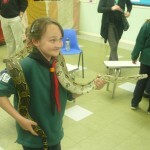 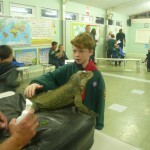 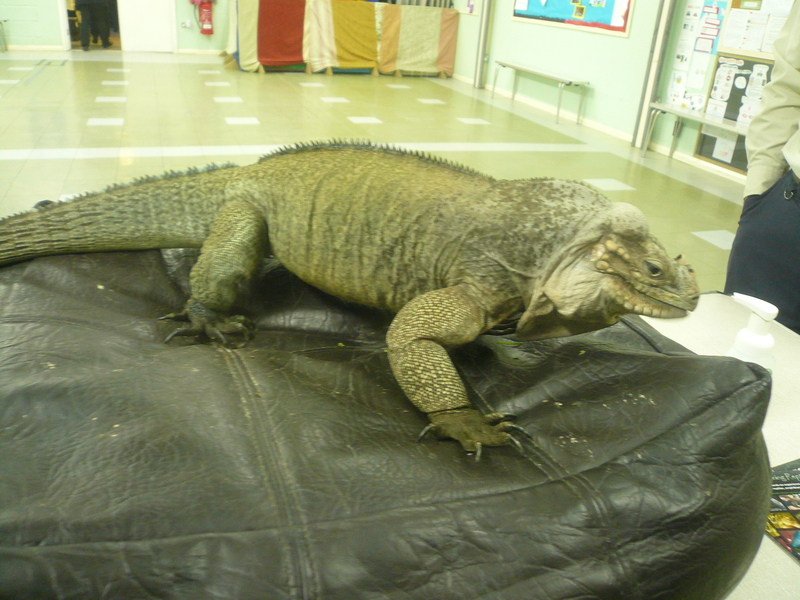 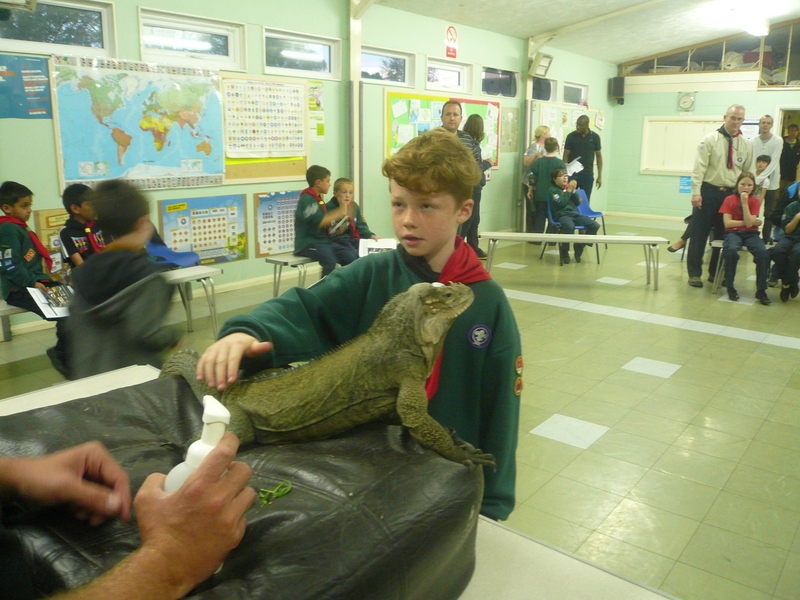 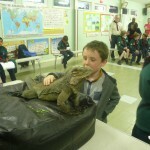 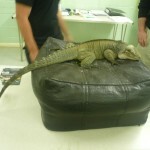 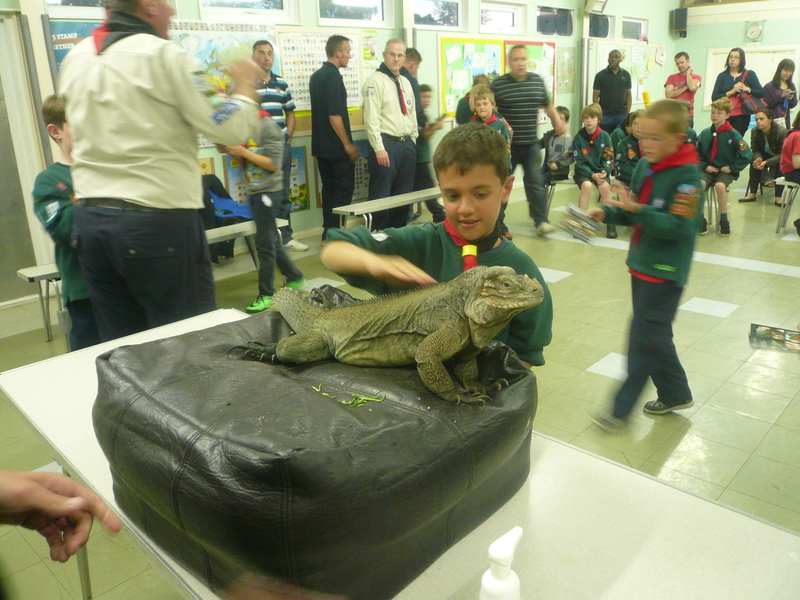 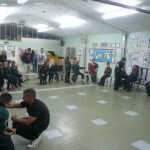 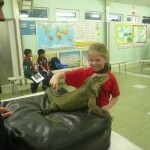 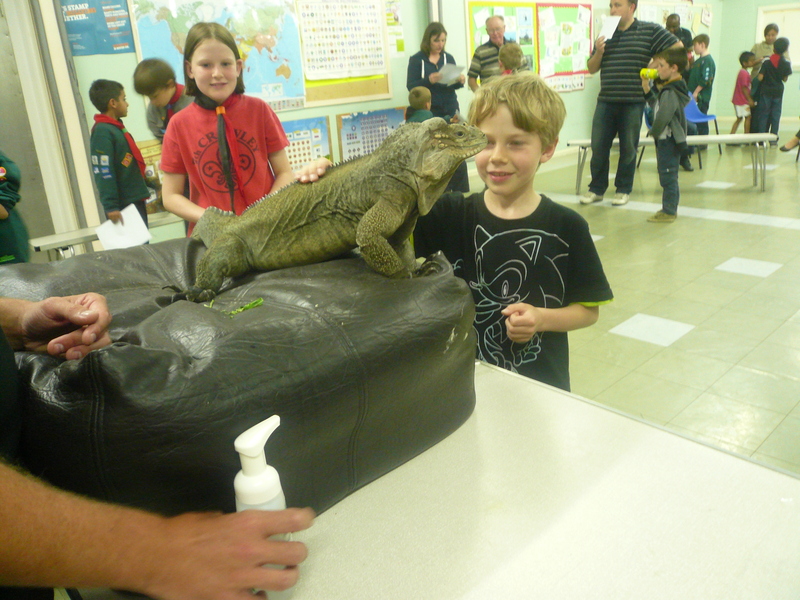 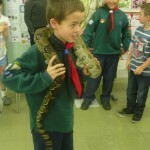 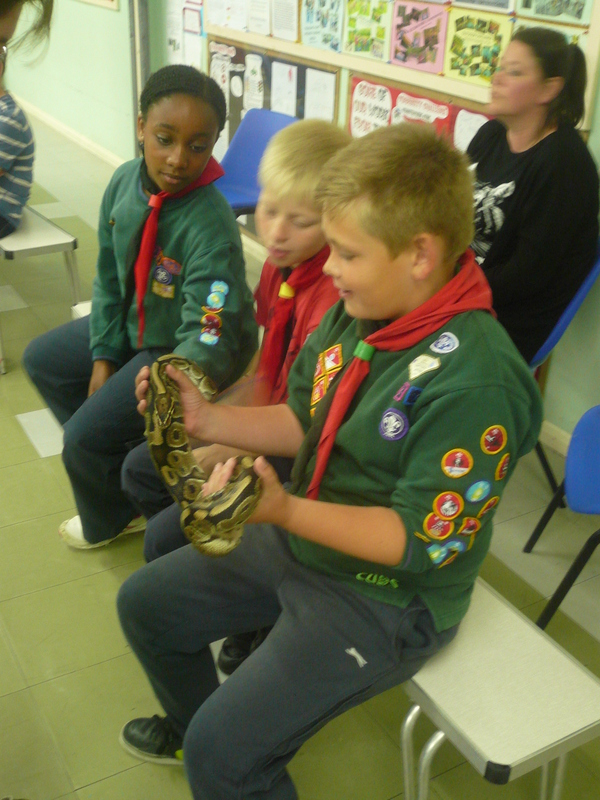 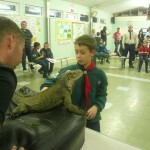 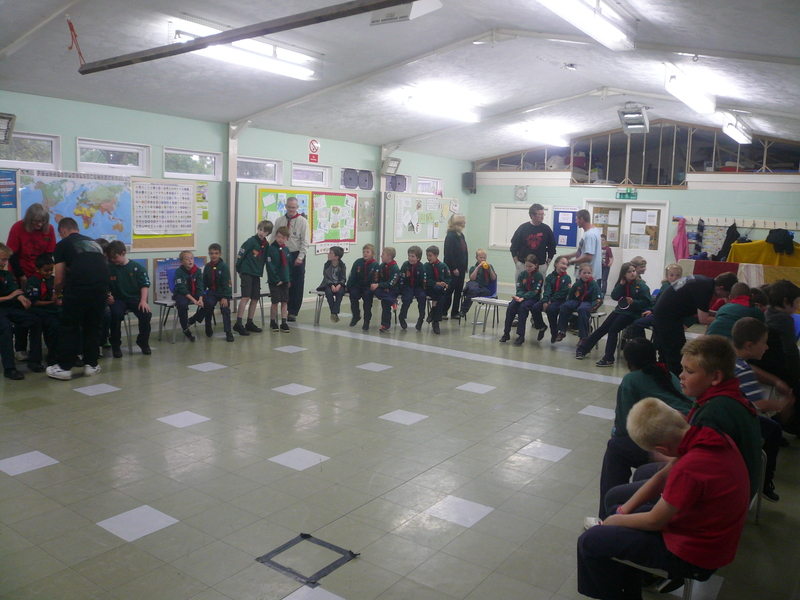 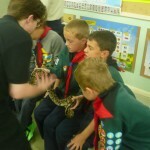 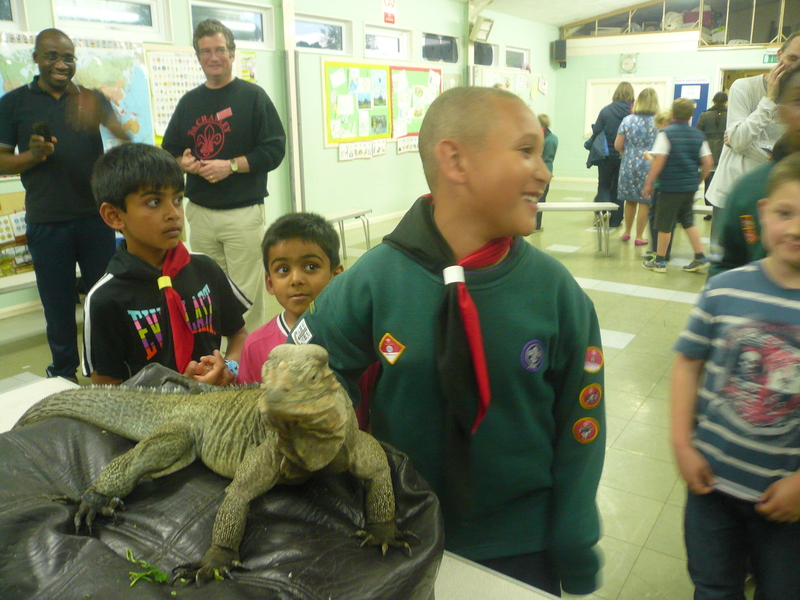 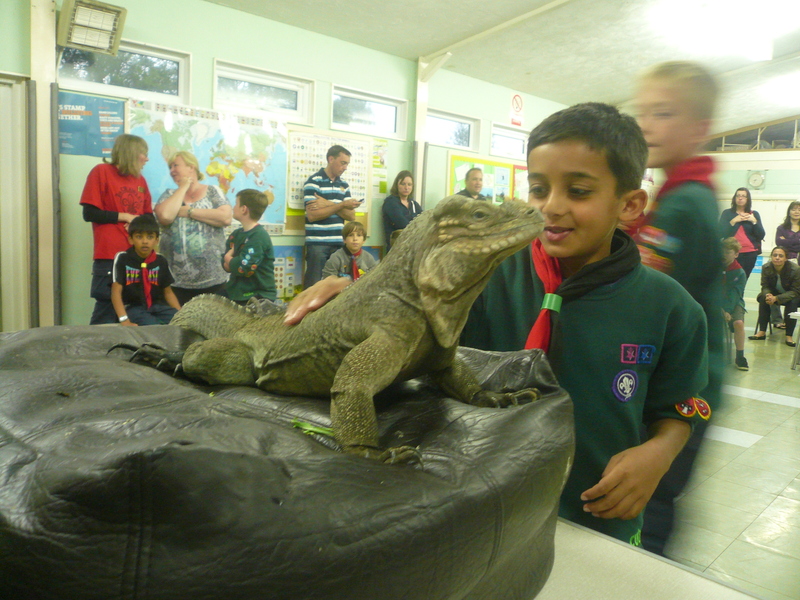 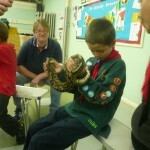 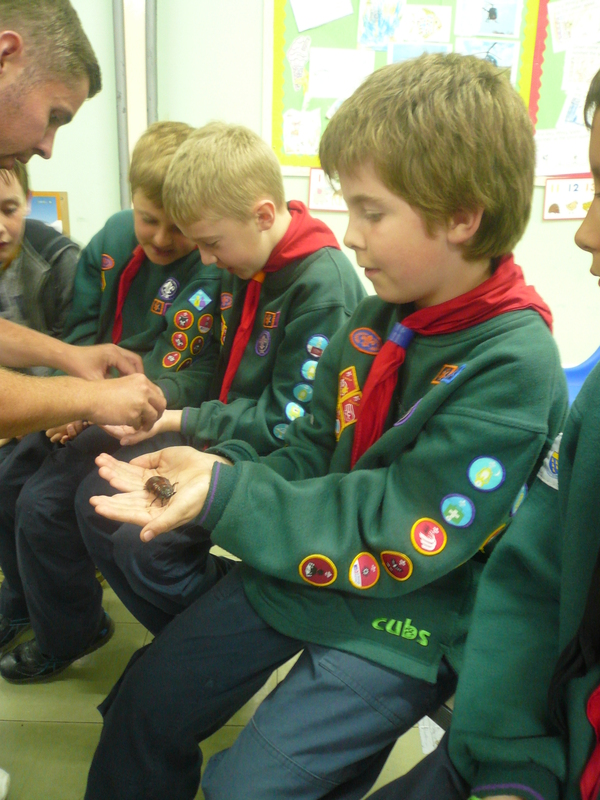 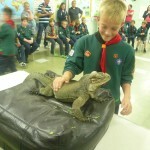 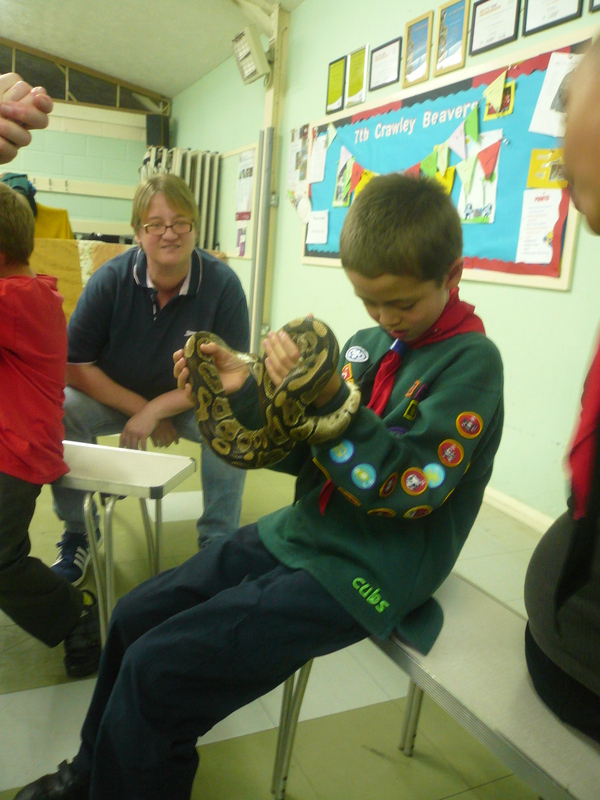 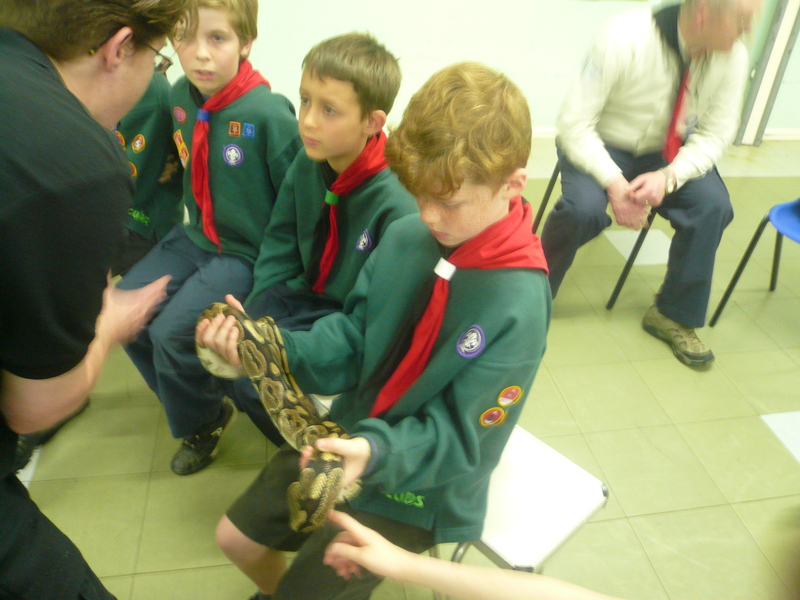 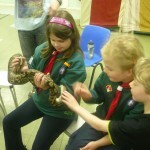 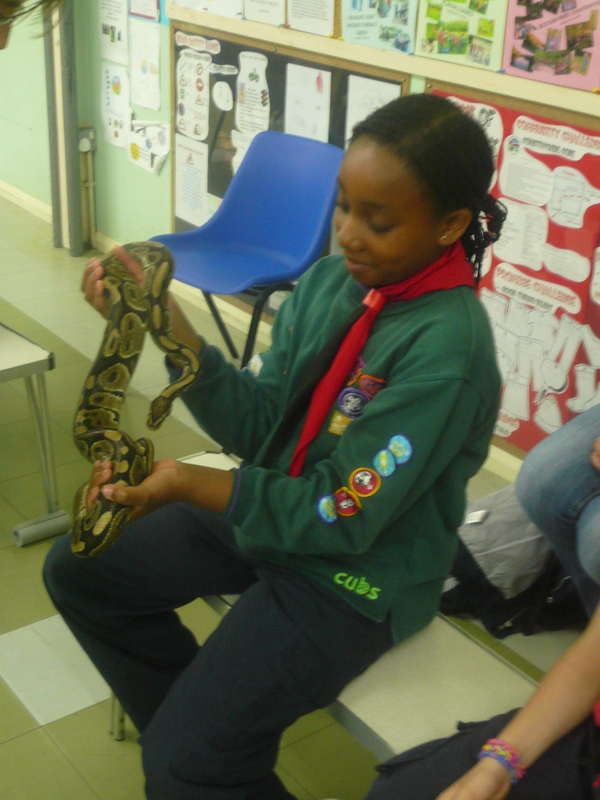 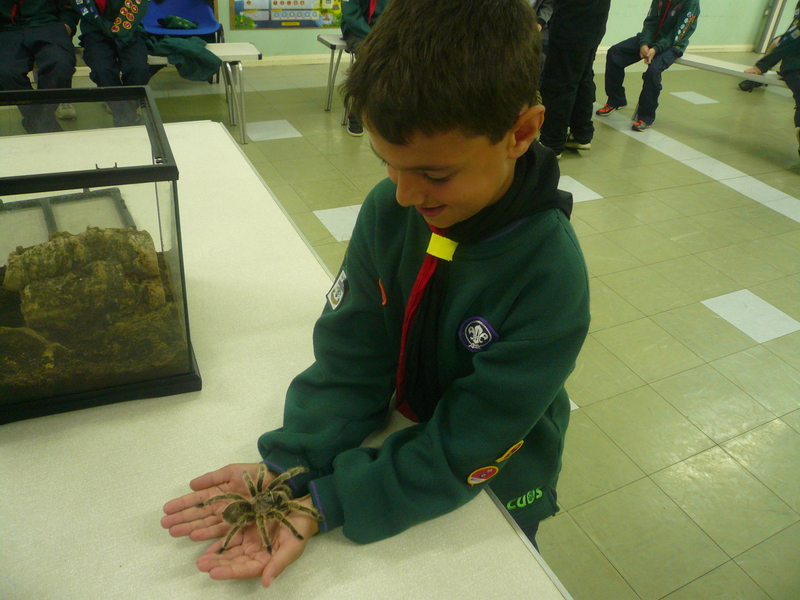 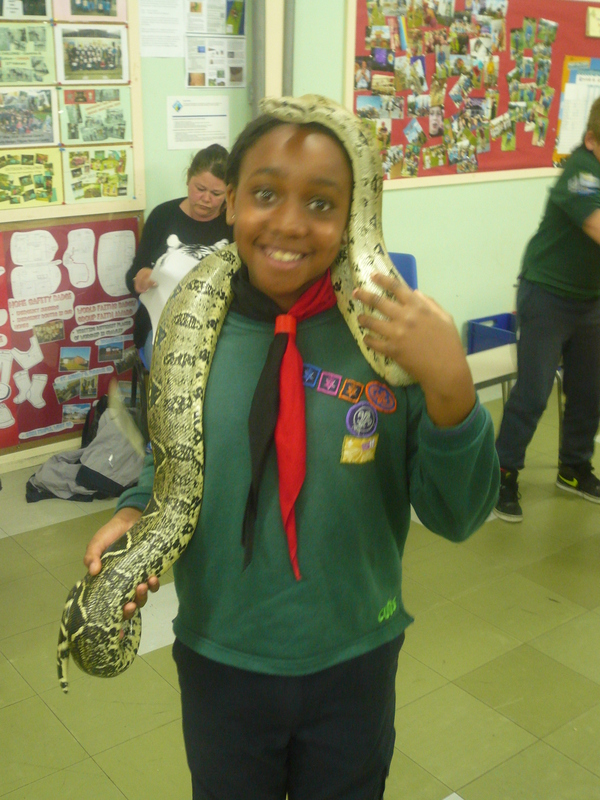 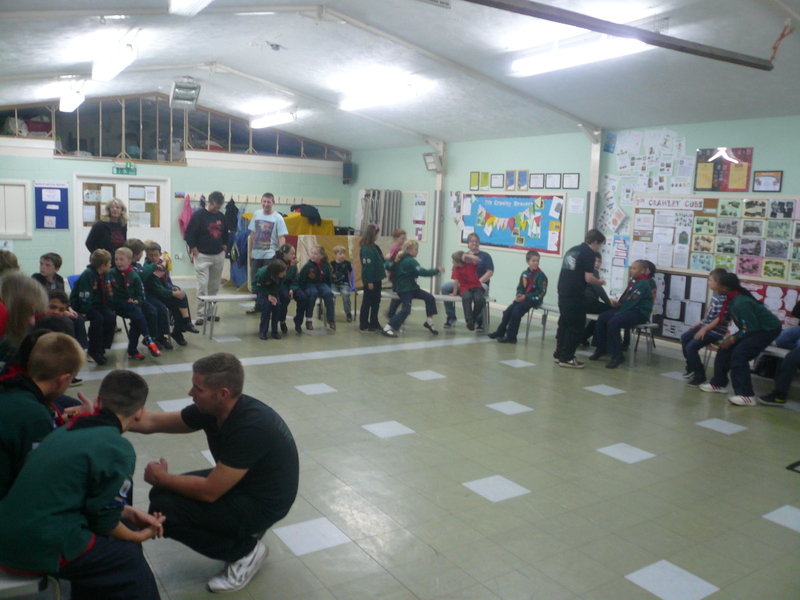 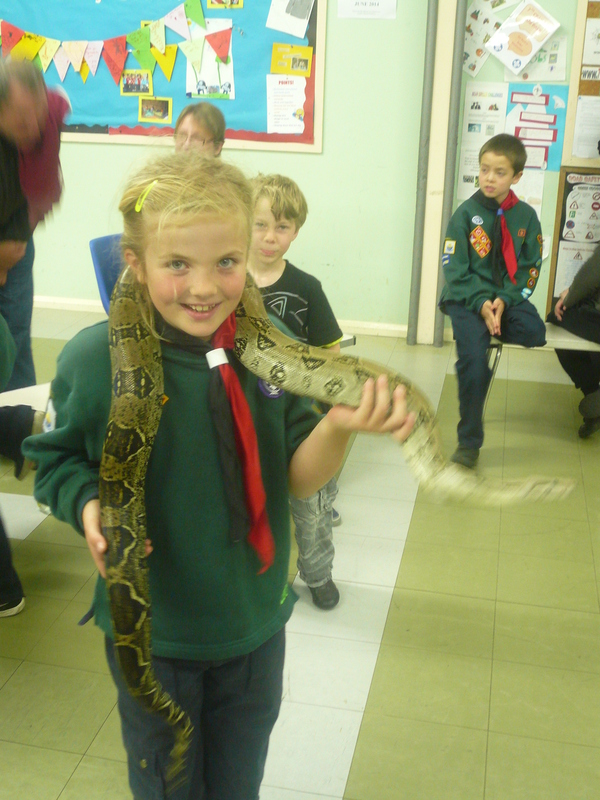 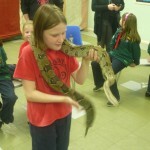 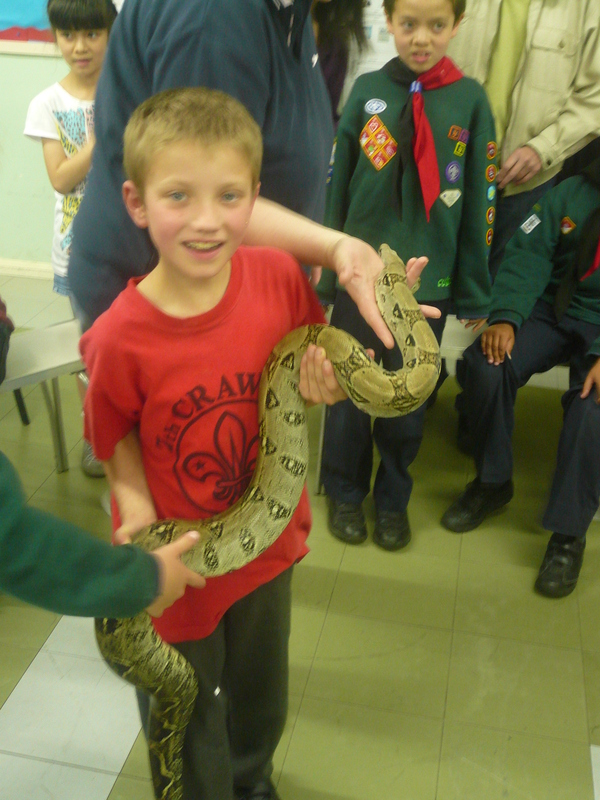 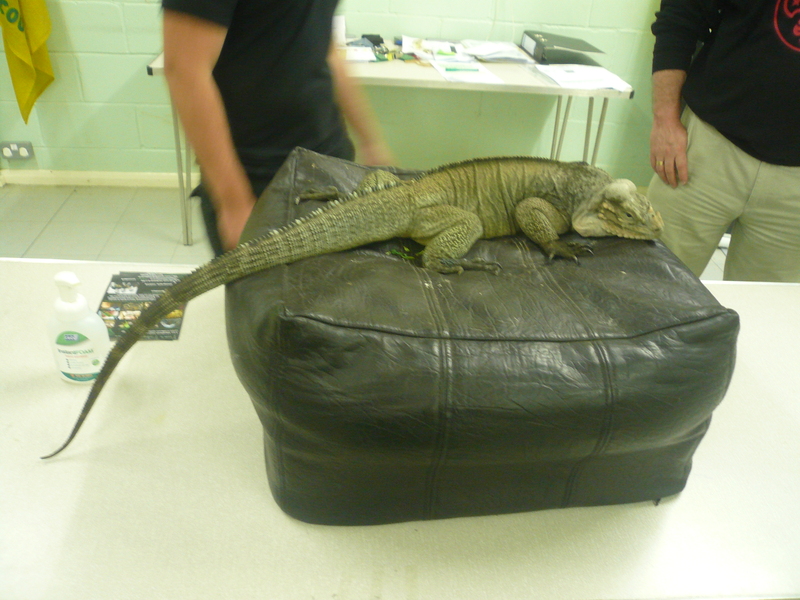 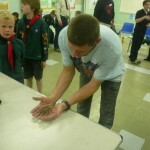 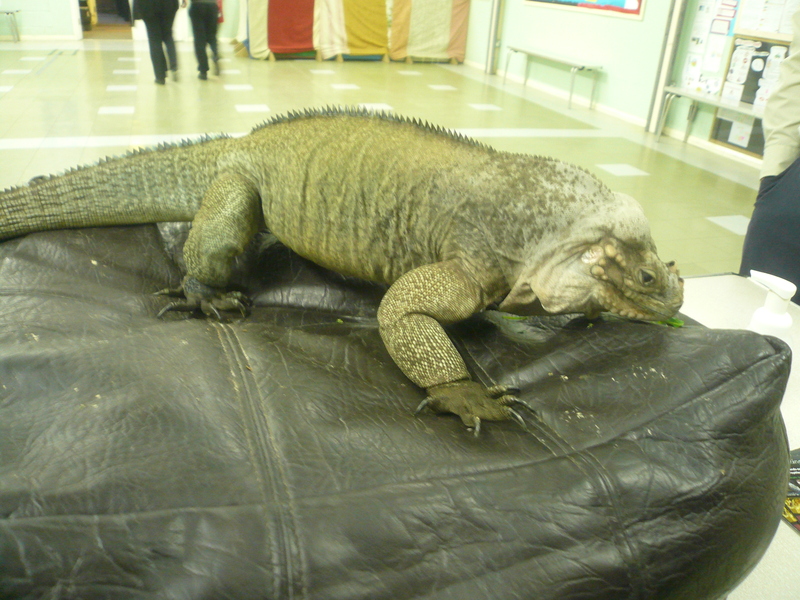 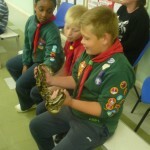 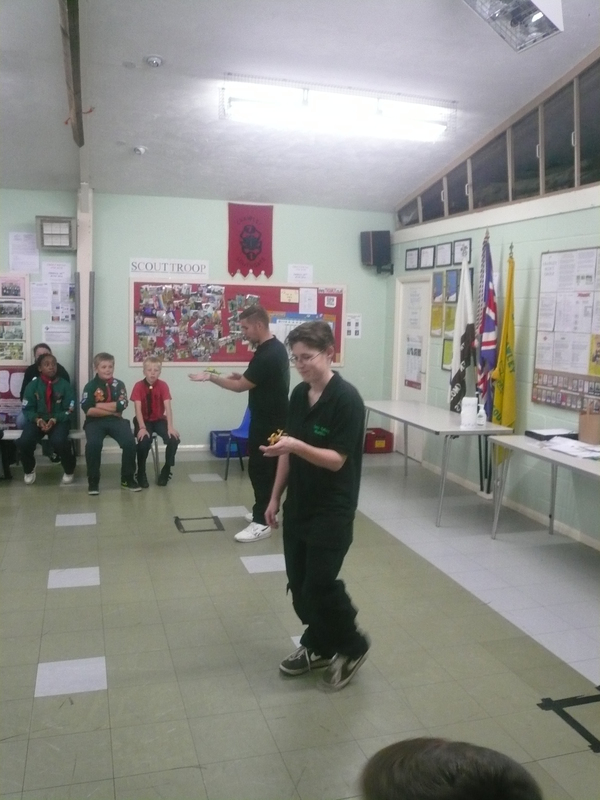 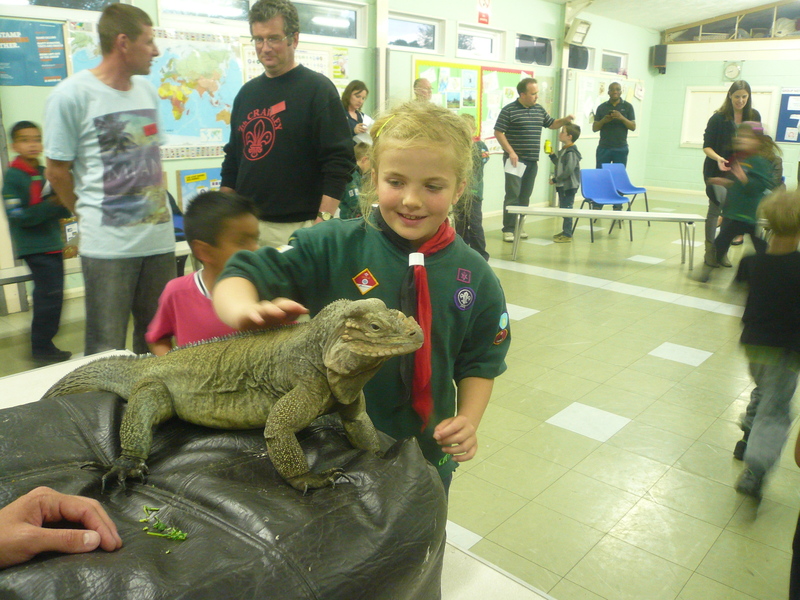 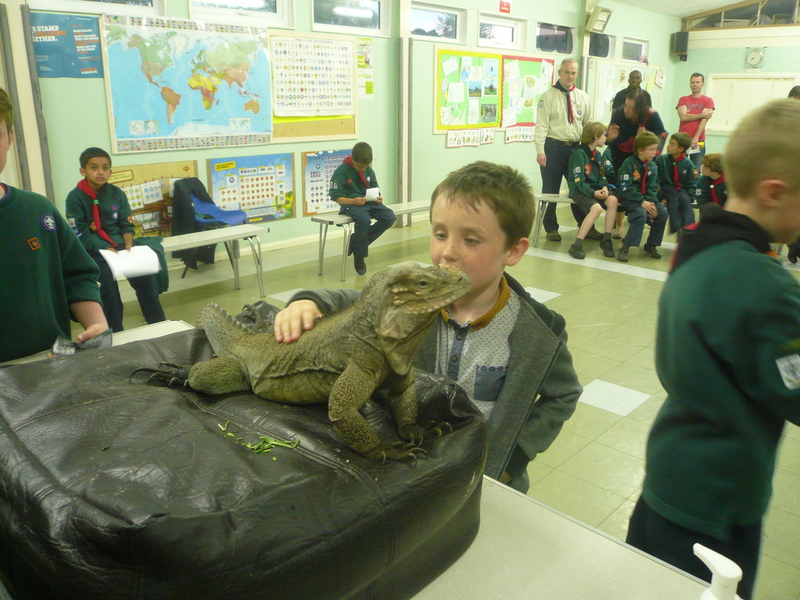 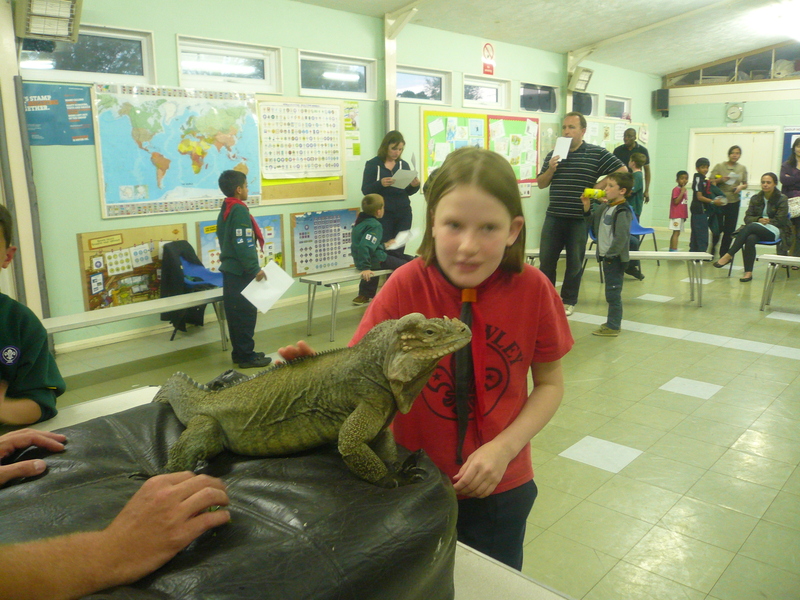 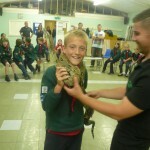 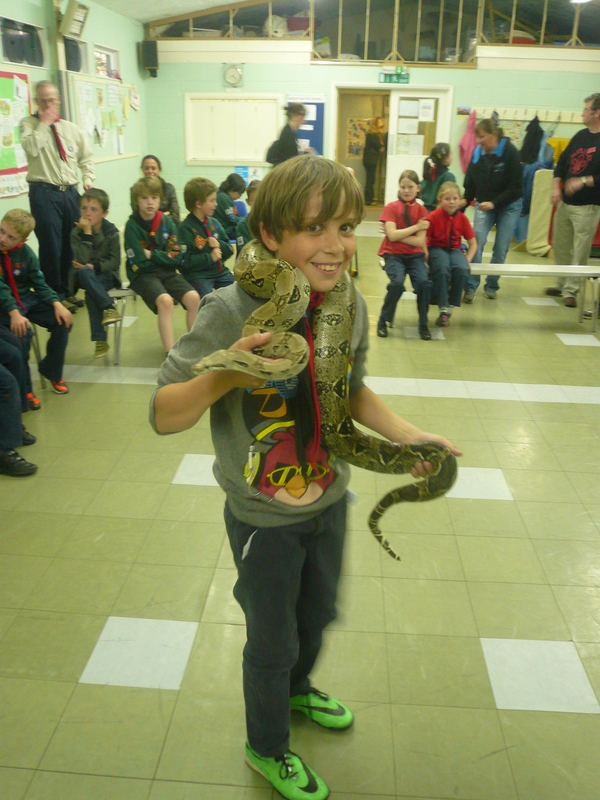 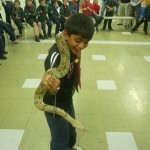 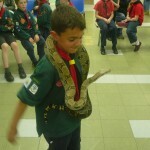 On Tuesday, 20th May the Pack had some very unusual visitors to their meeting. 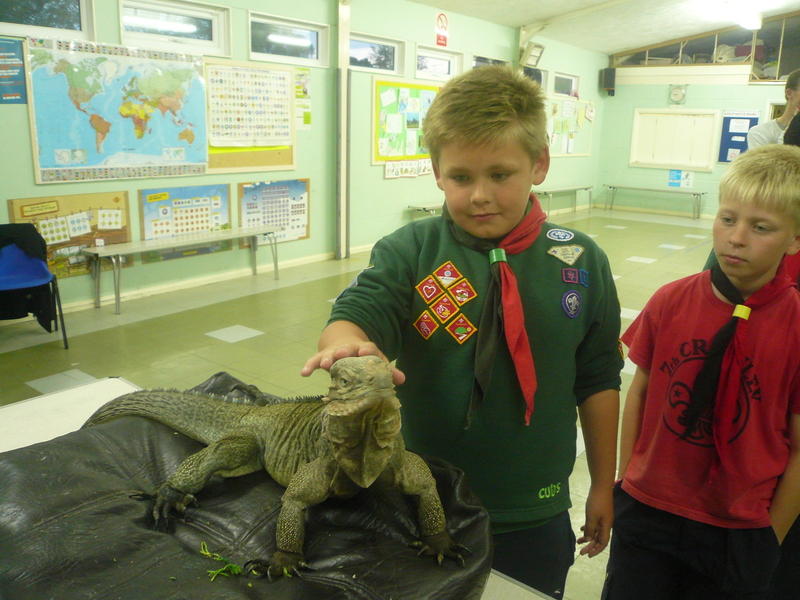 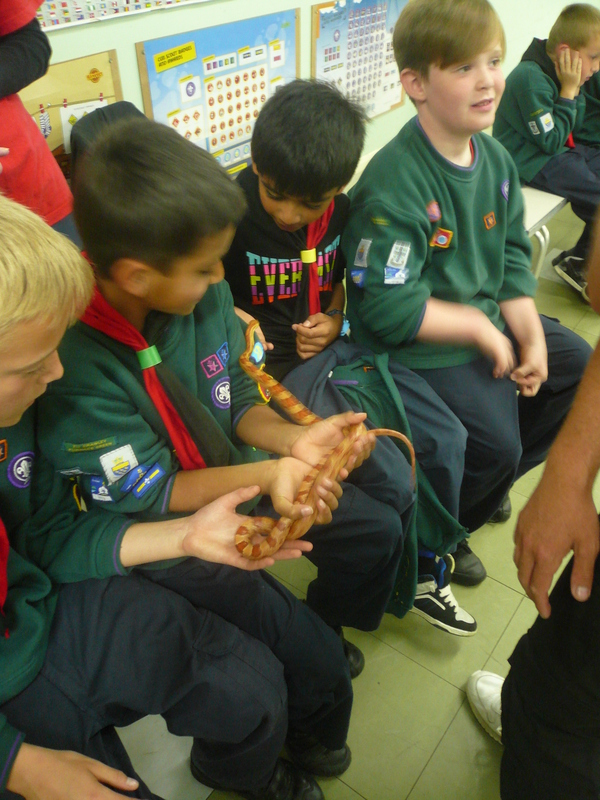 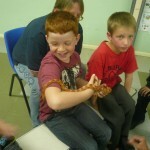 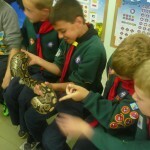 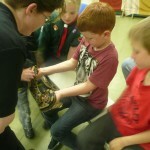 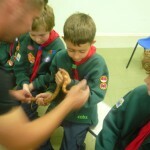 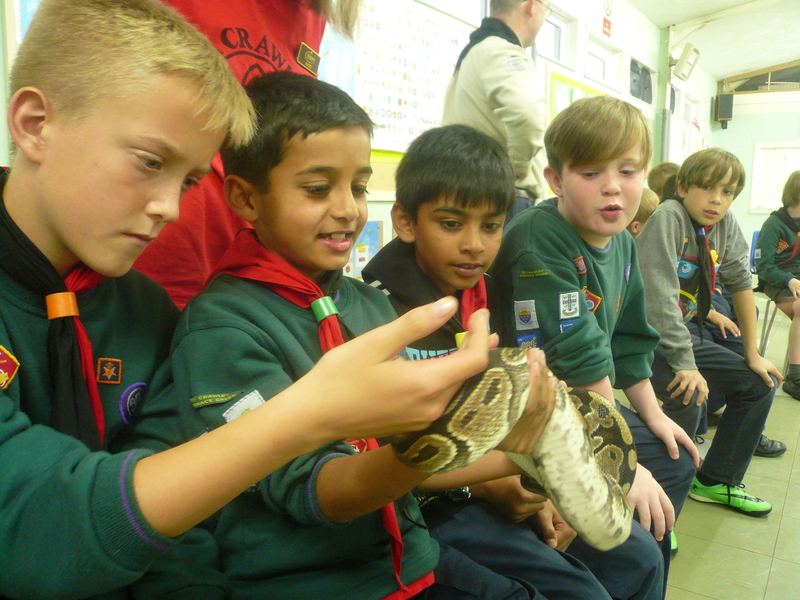 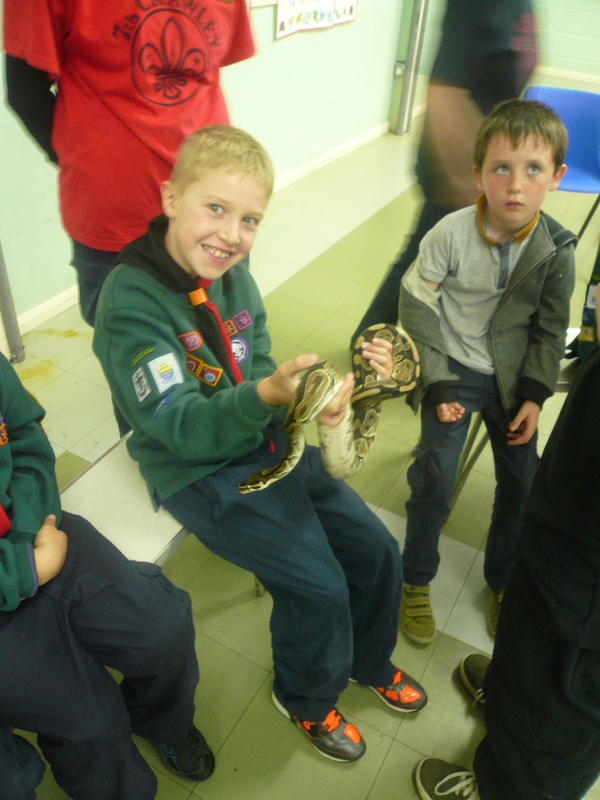 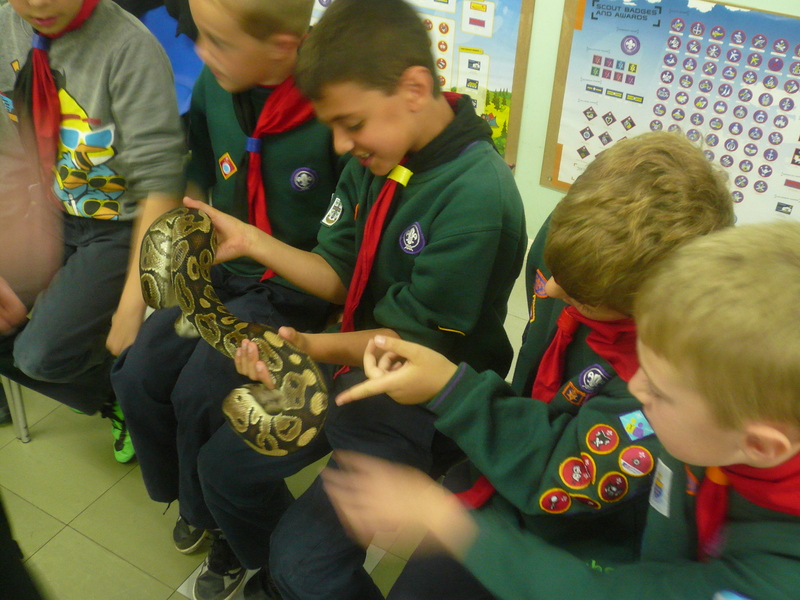 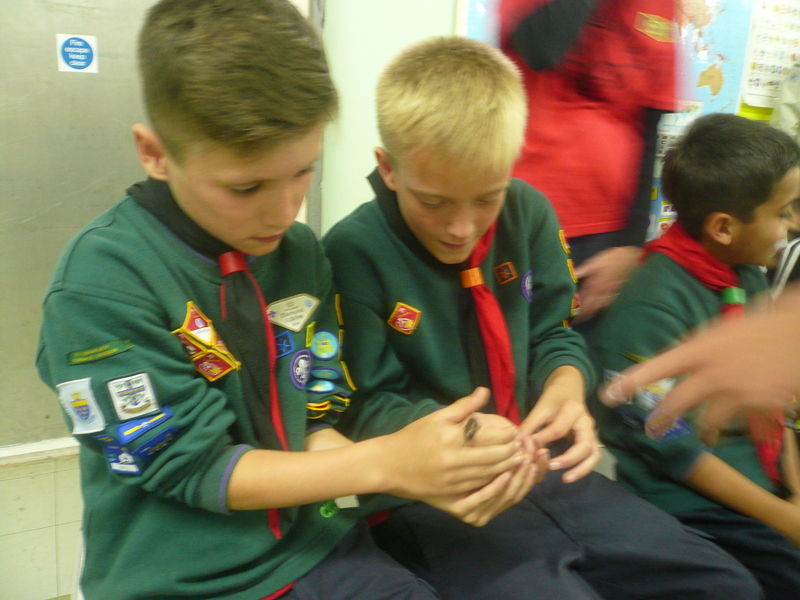 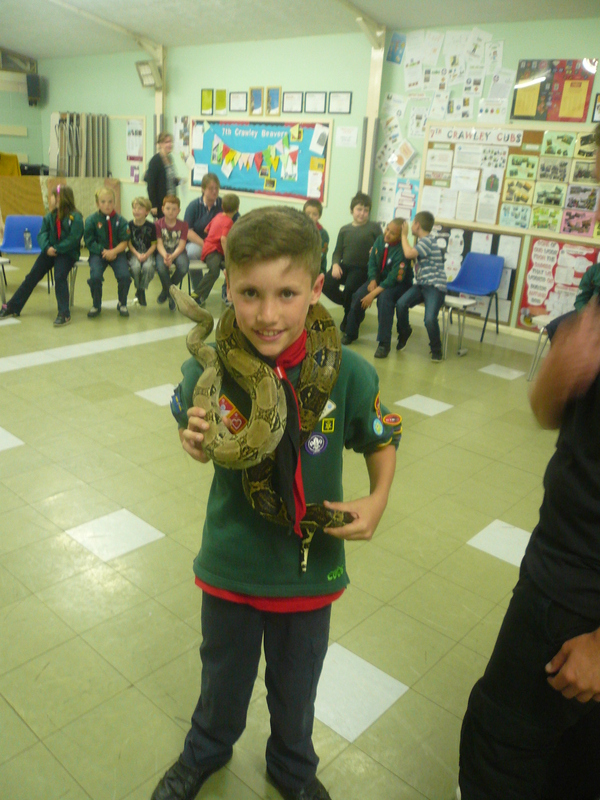 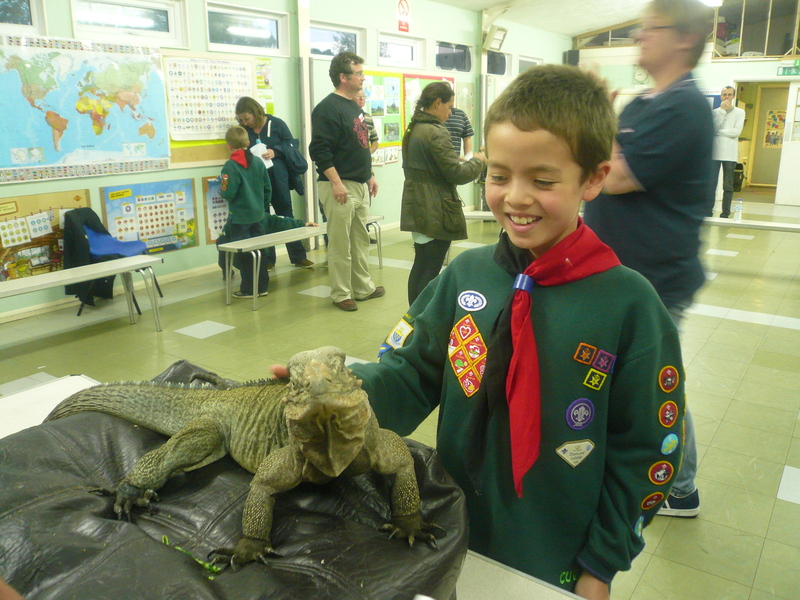 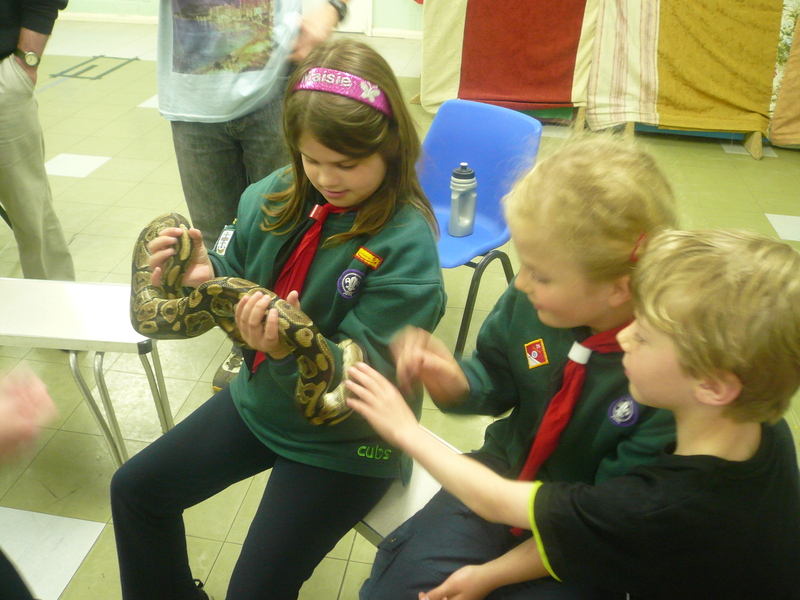 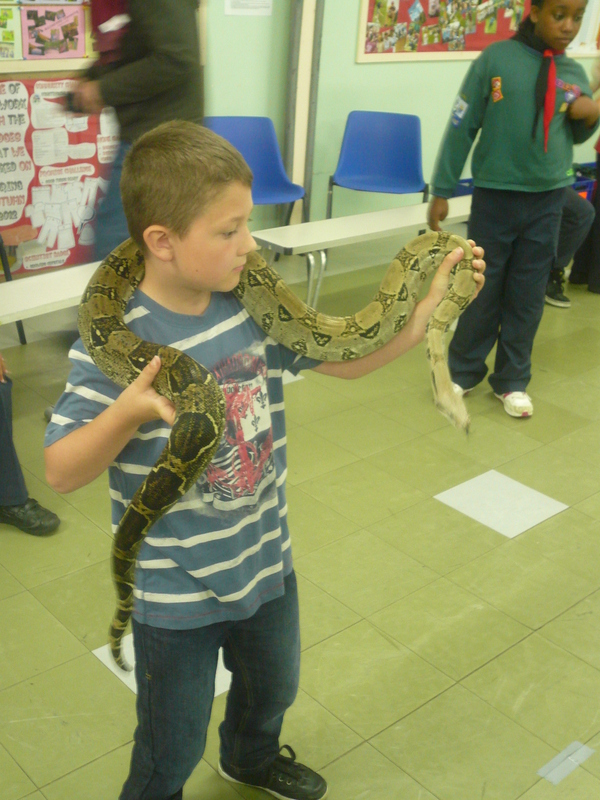 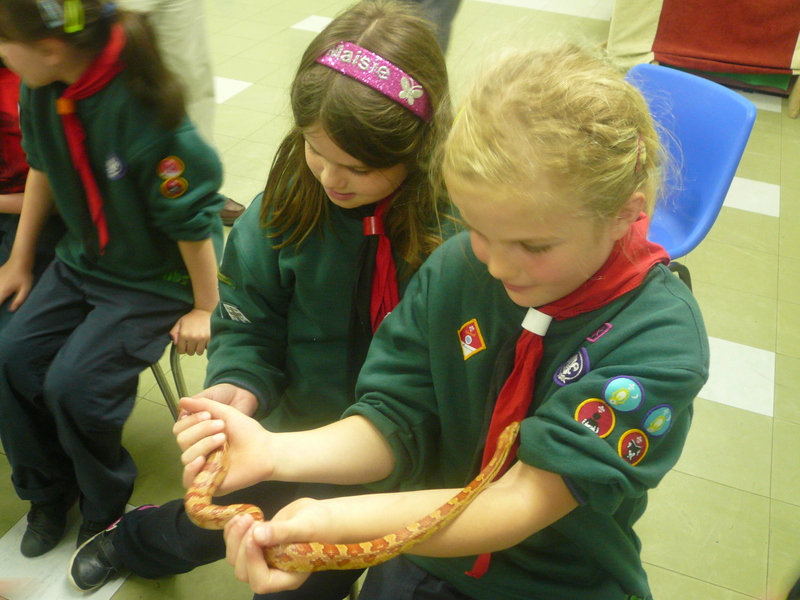 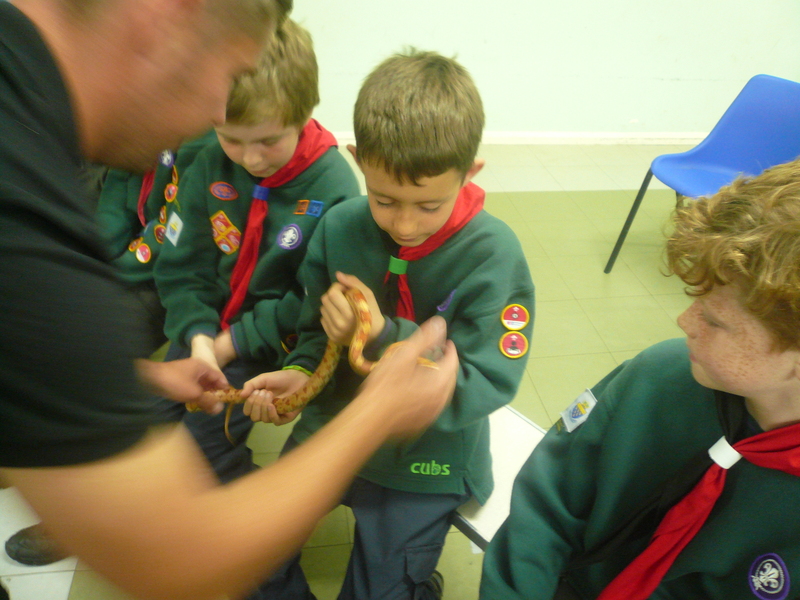 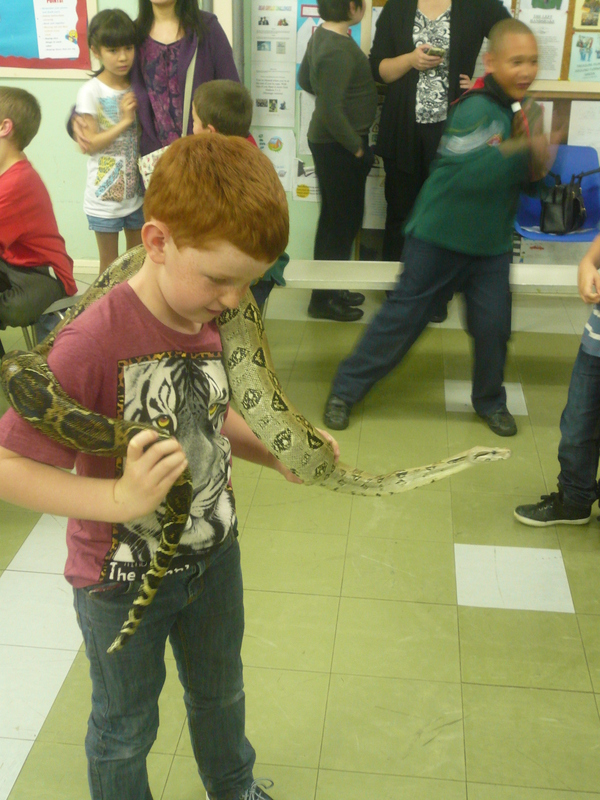 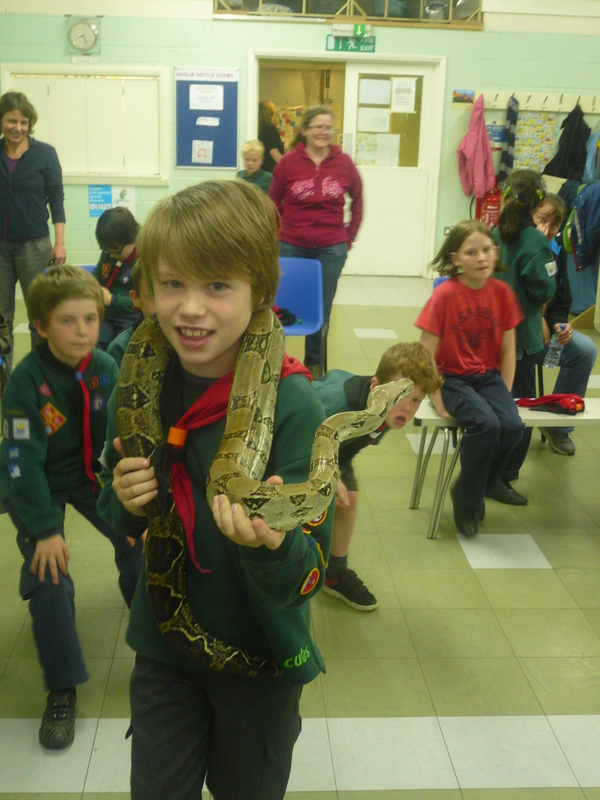 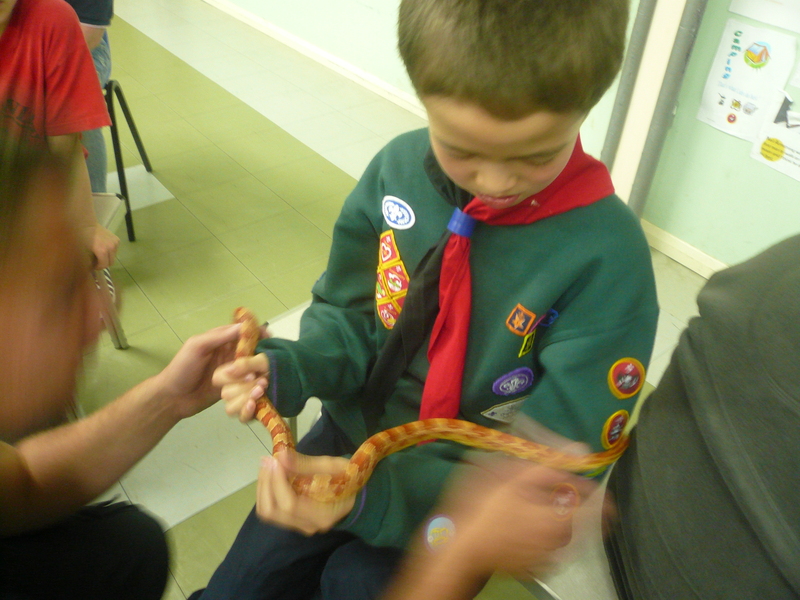 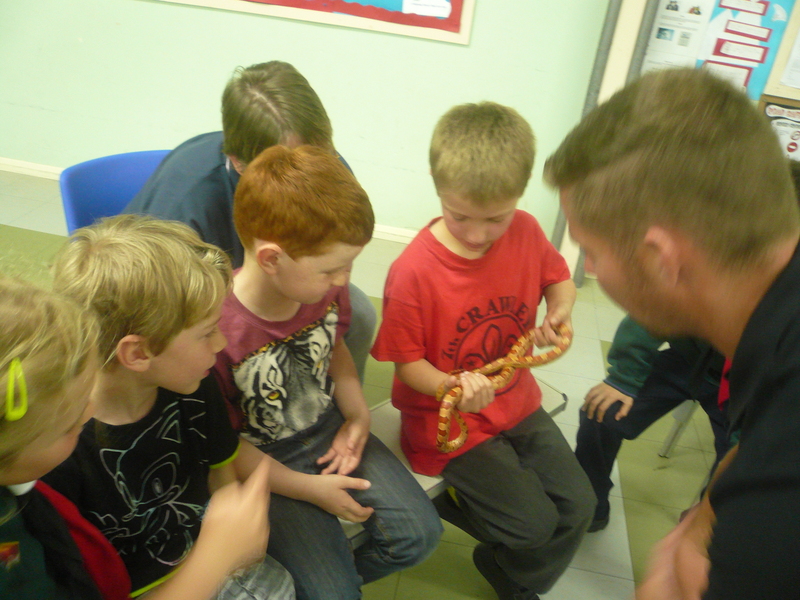 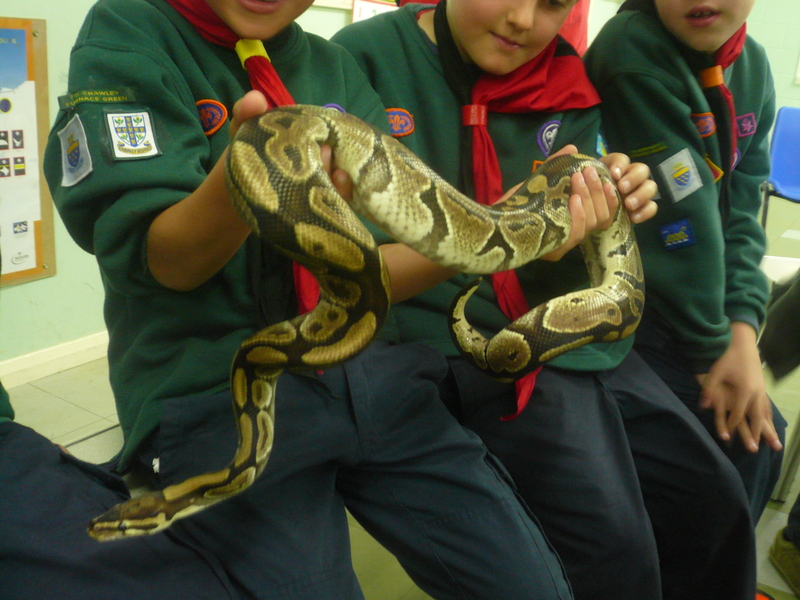 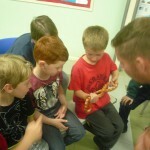 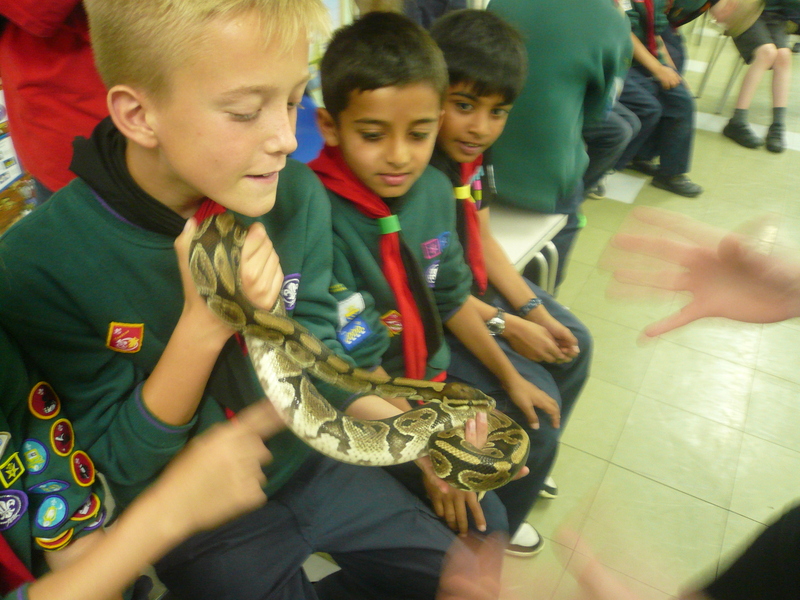 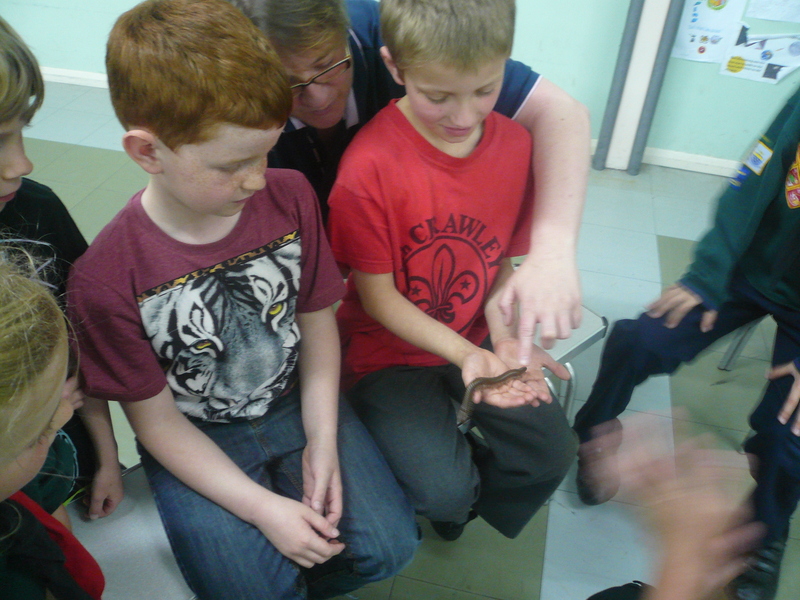 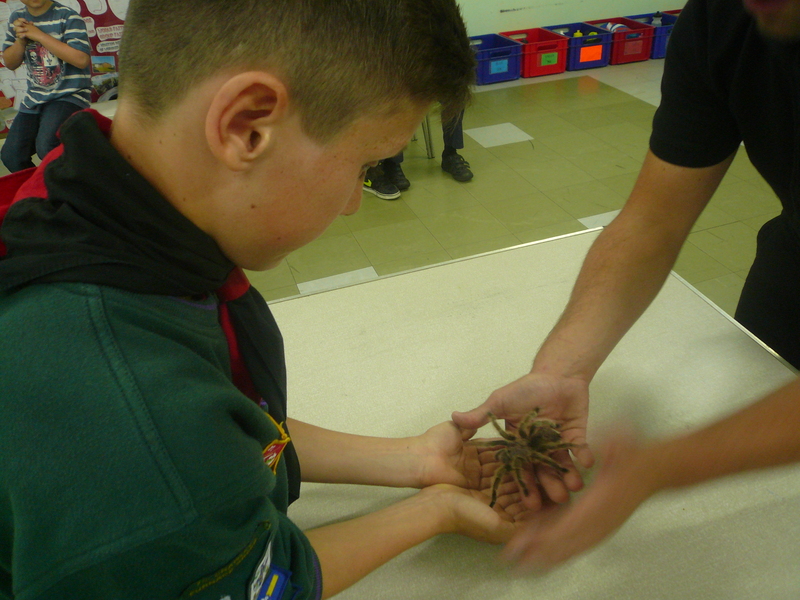 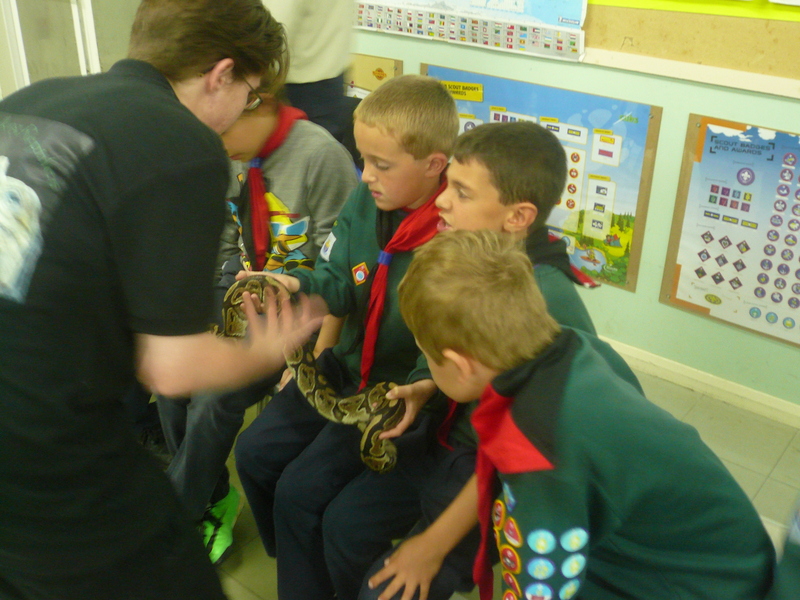 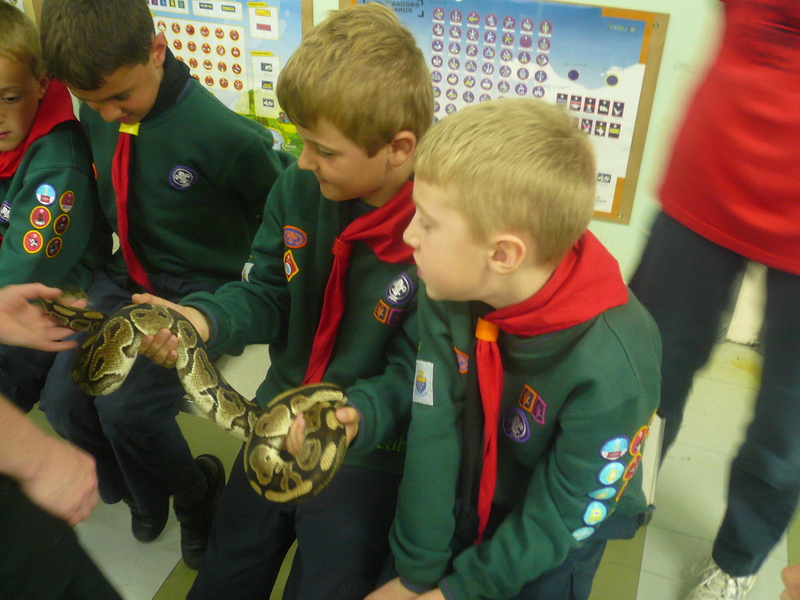 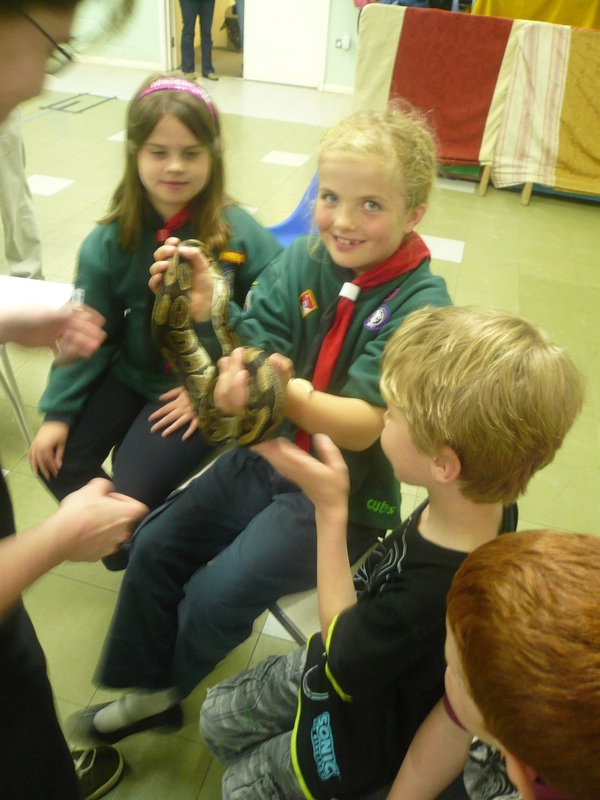 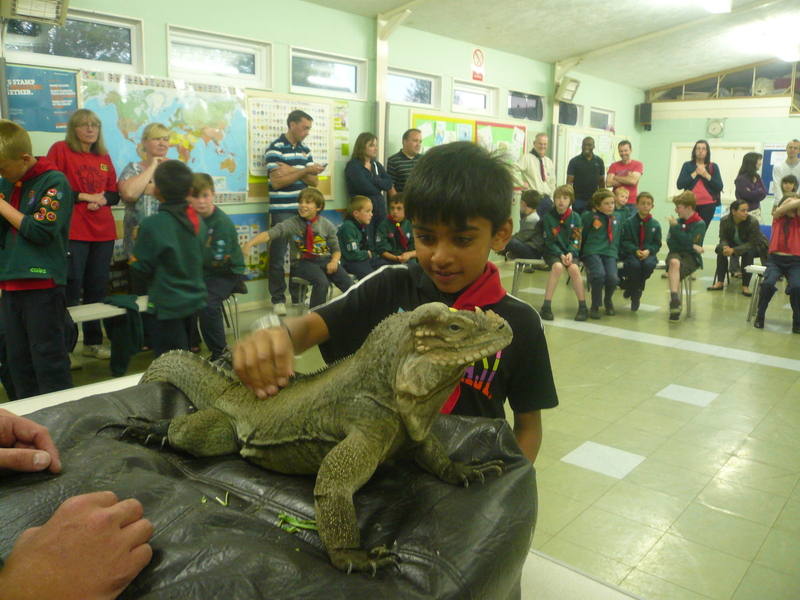 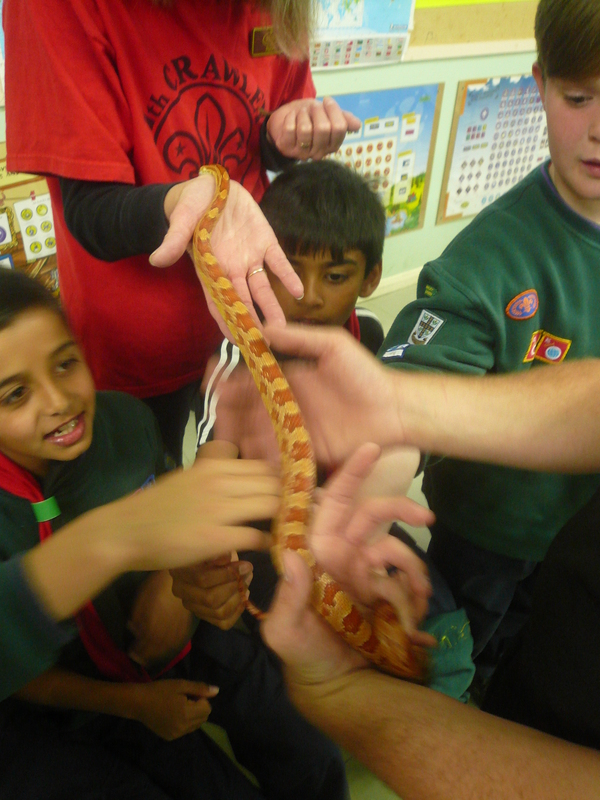 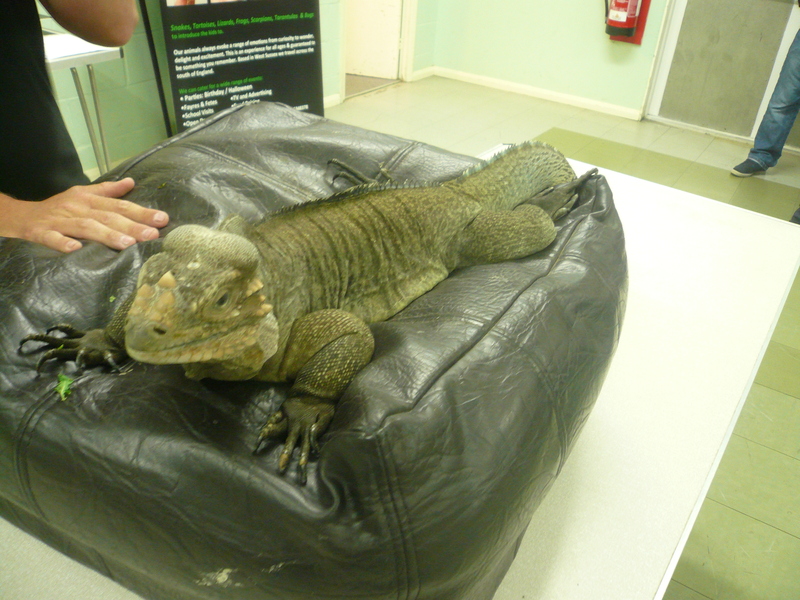 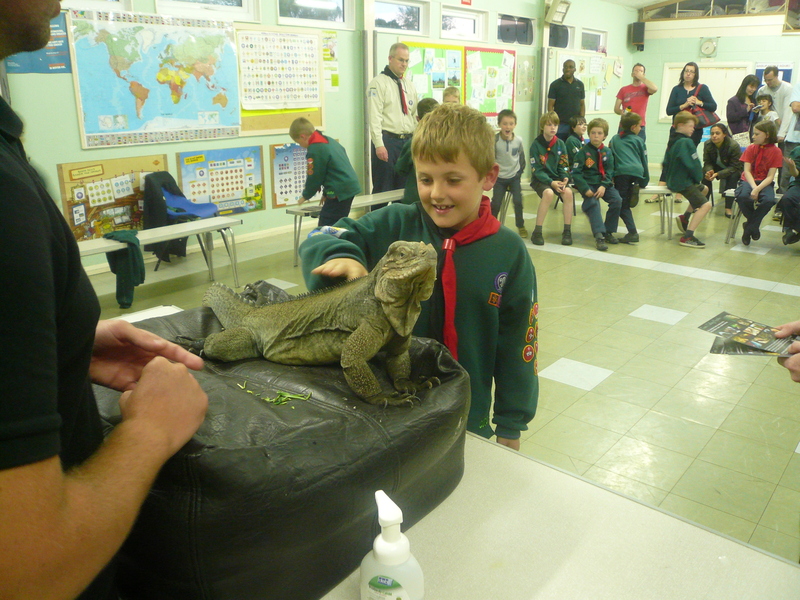 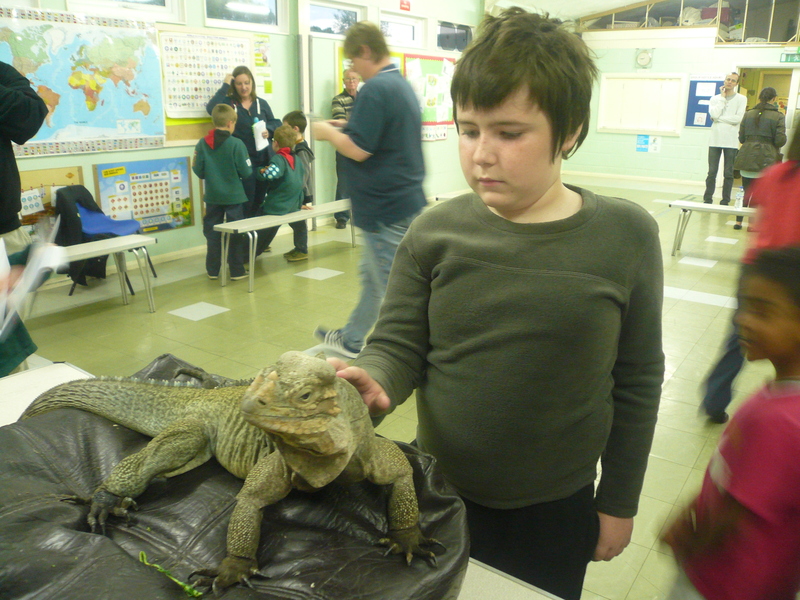 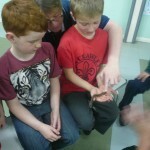 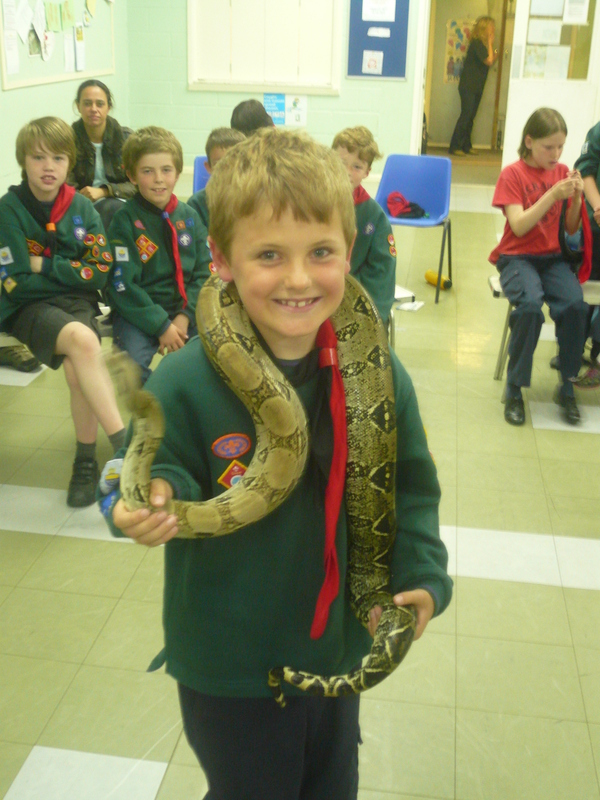 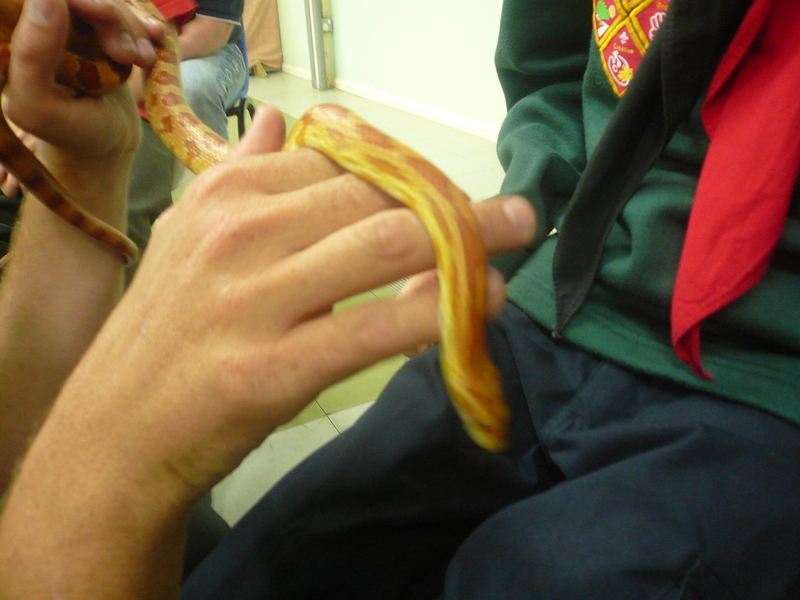 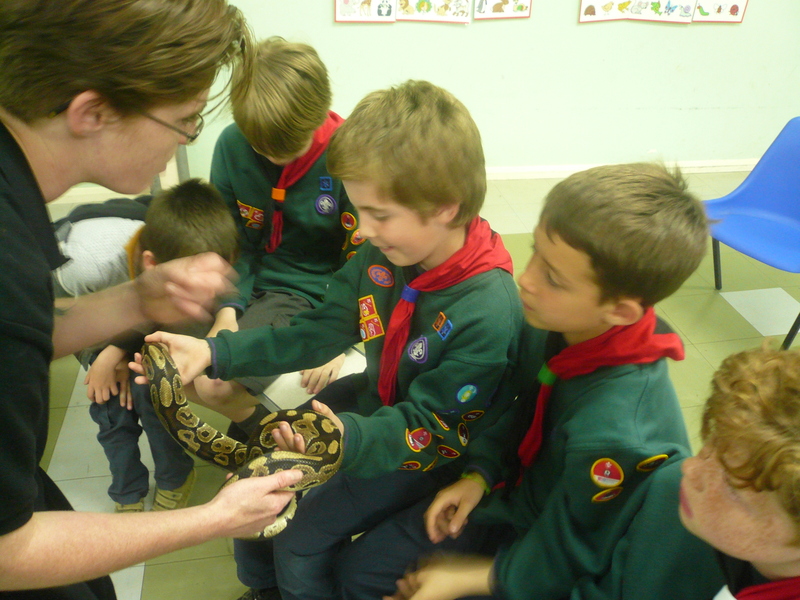 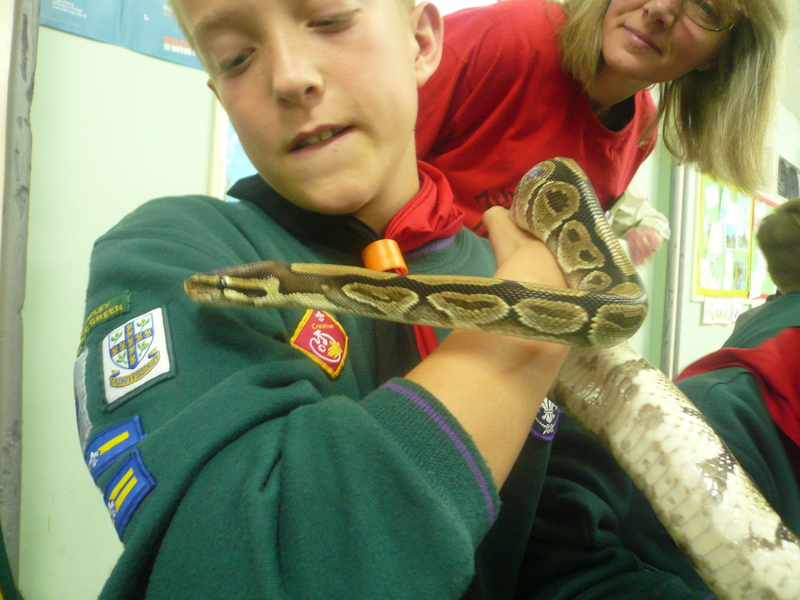 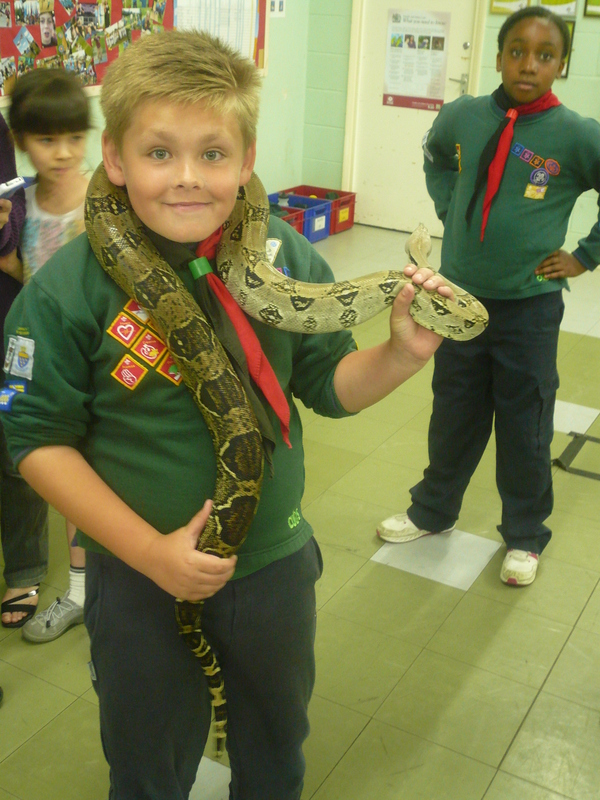 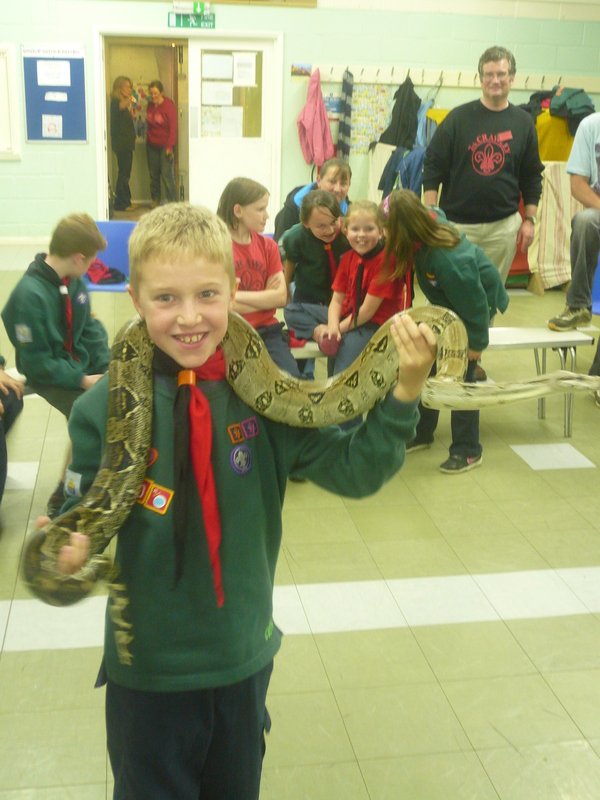 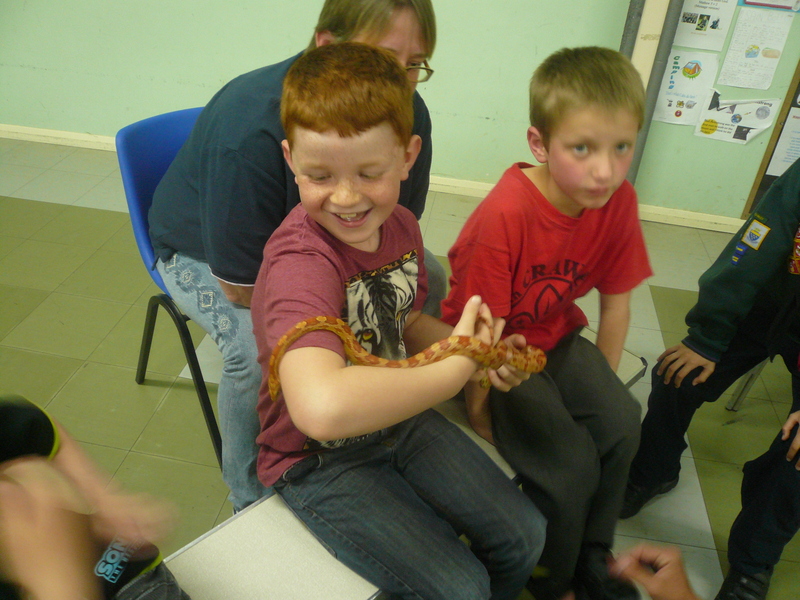 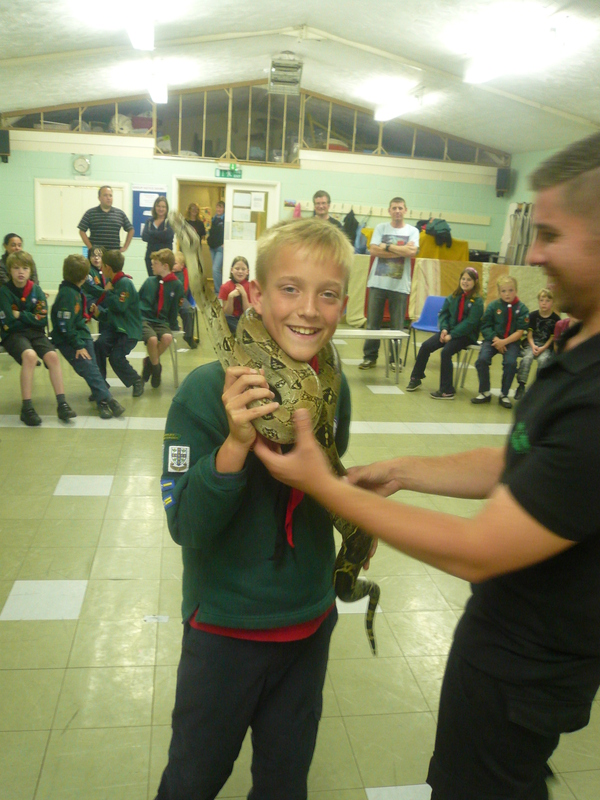 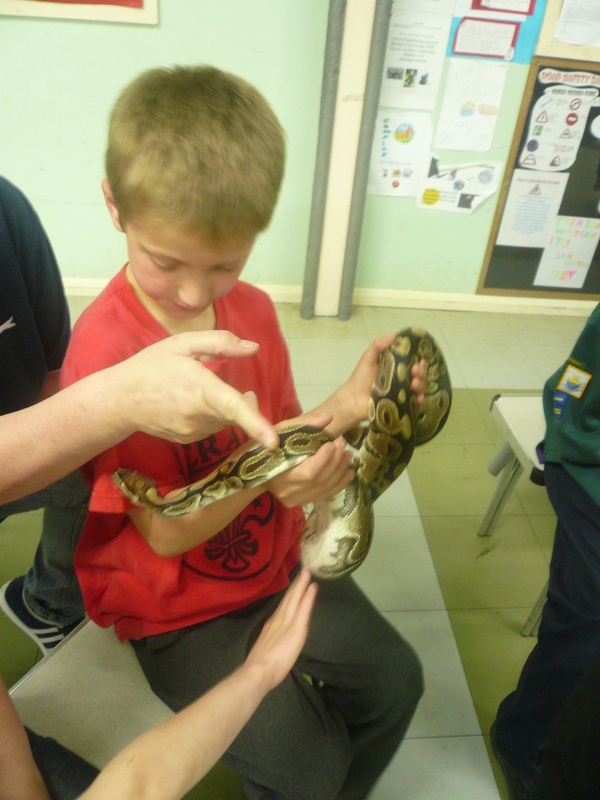 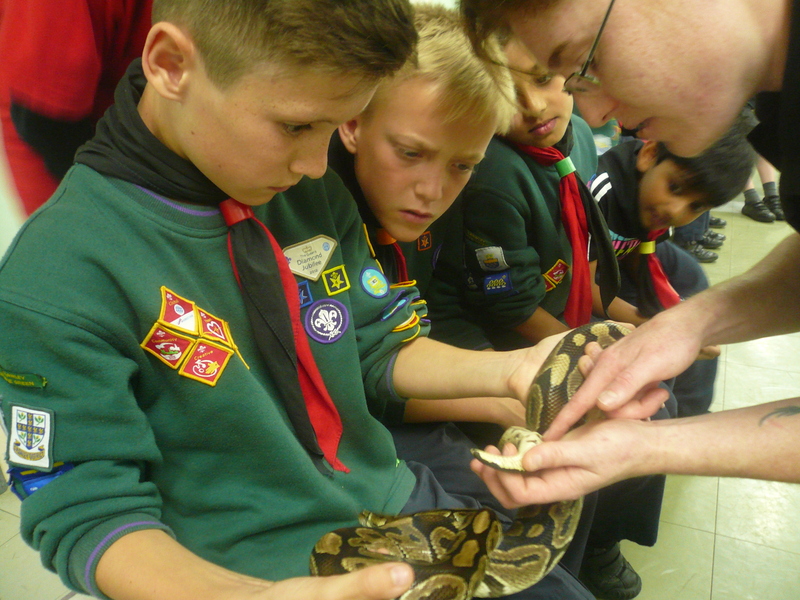 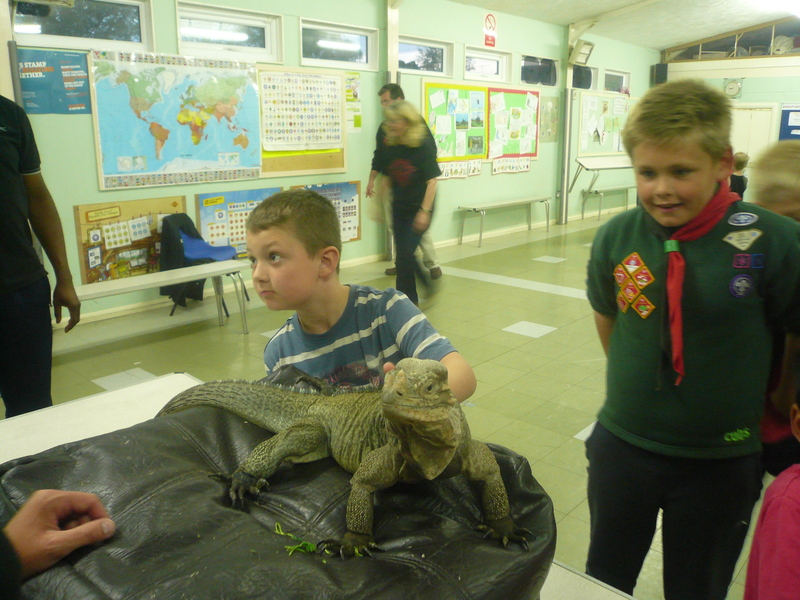 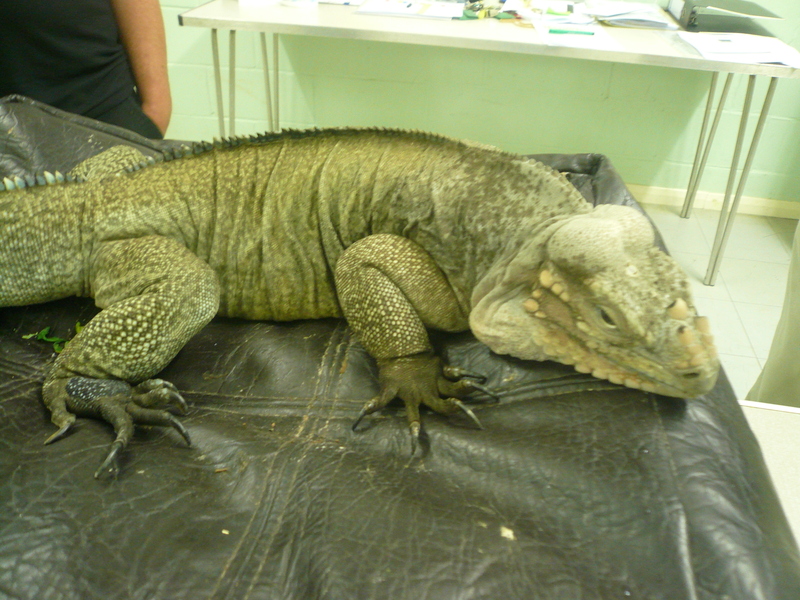 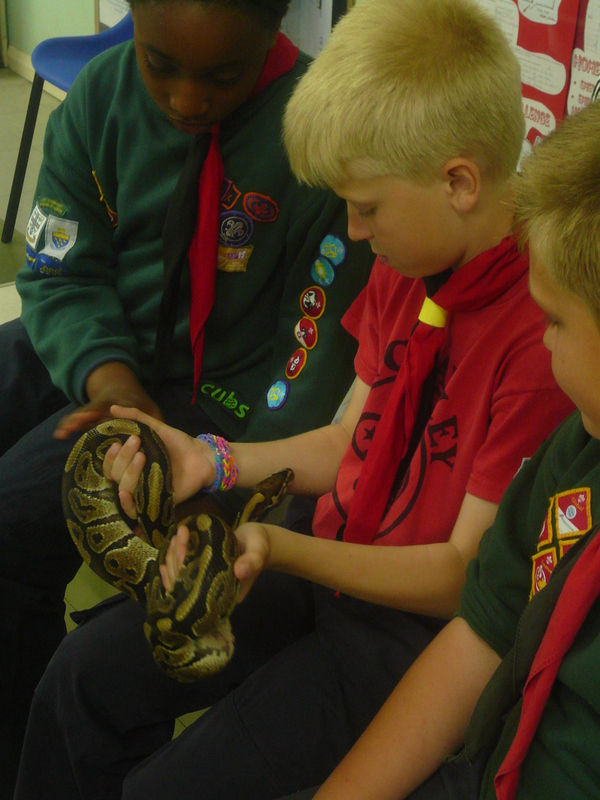 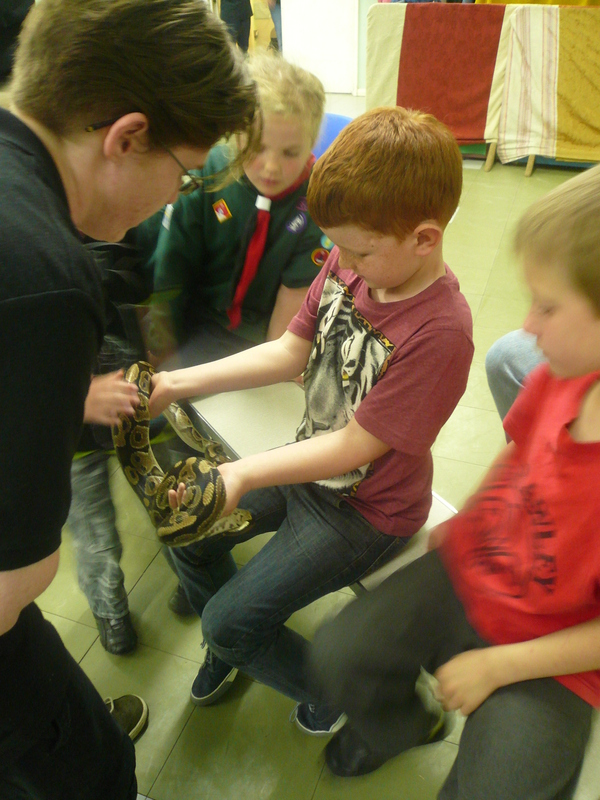 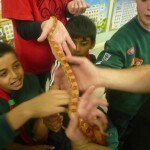 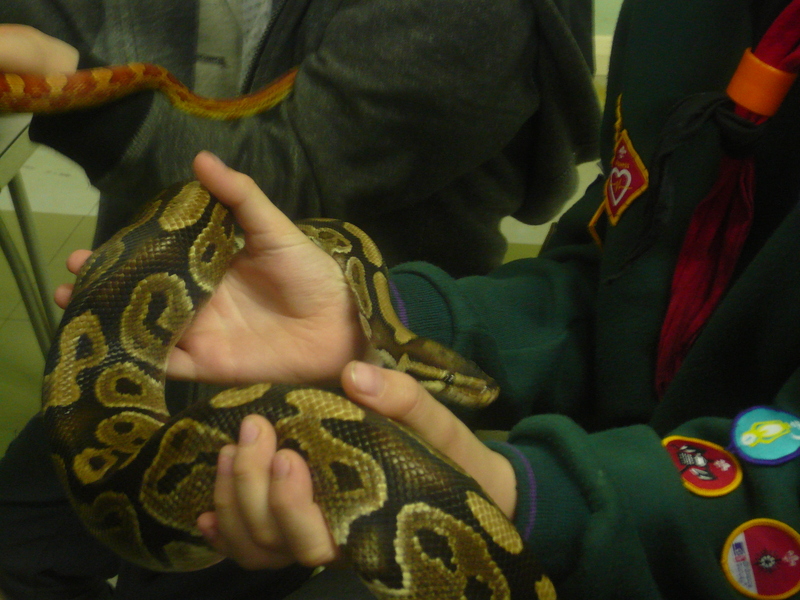 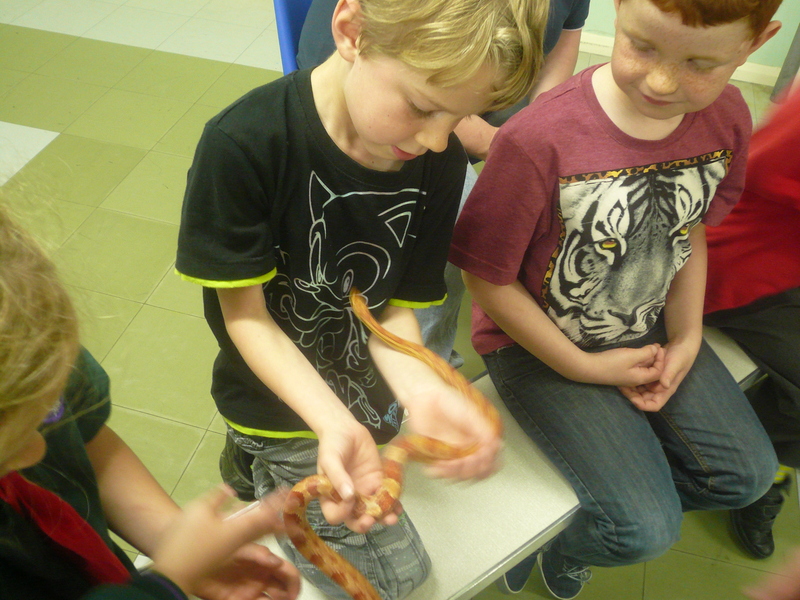 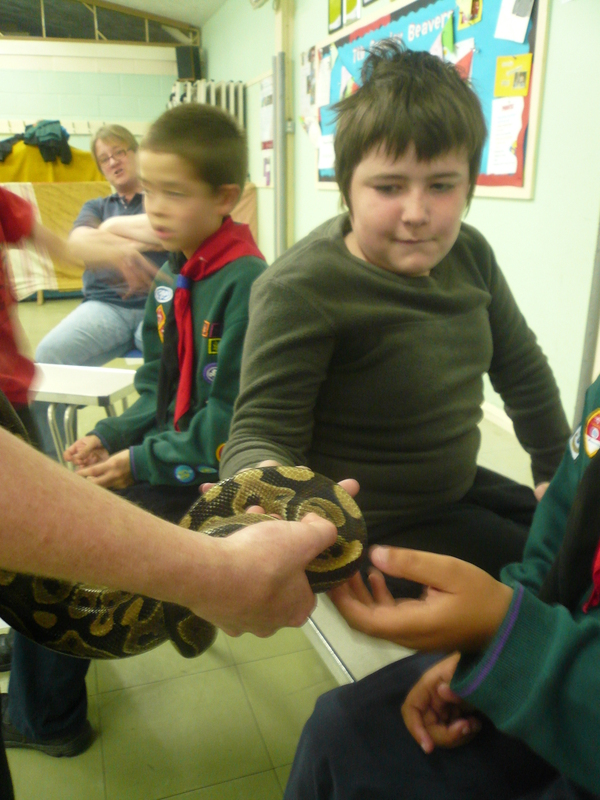 As part of the work being undertaken for the Animal Carer’s Activity Badge we invited Tom & Maz from Tom’s Talking Reptiles and some of their reptile friends to join us. 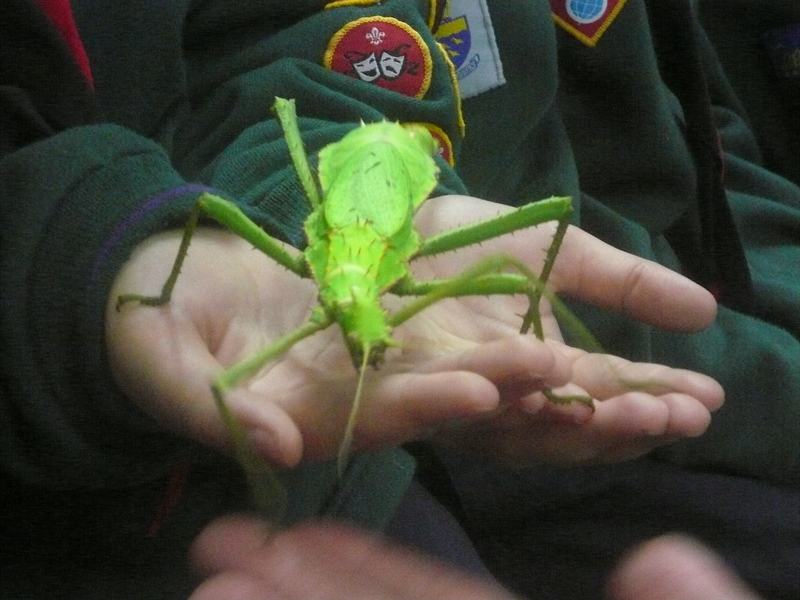 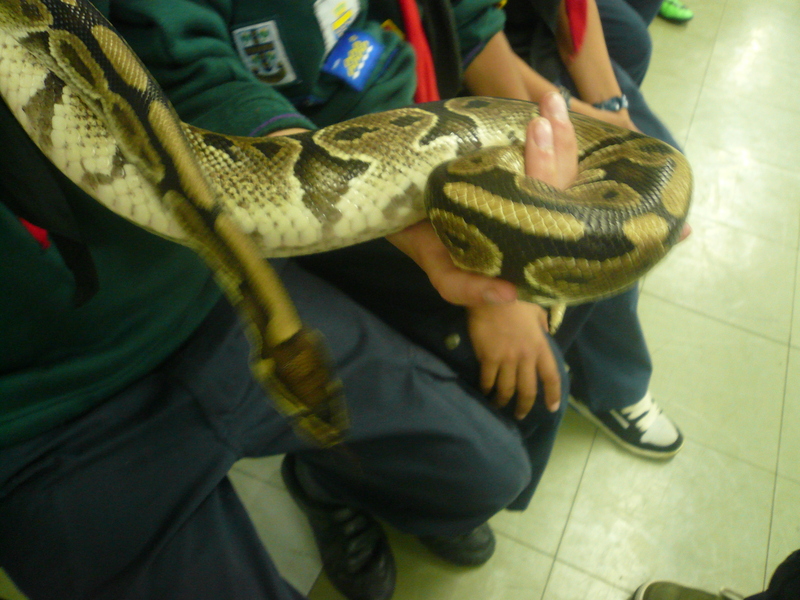 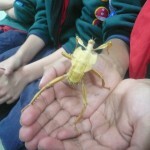 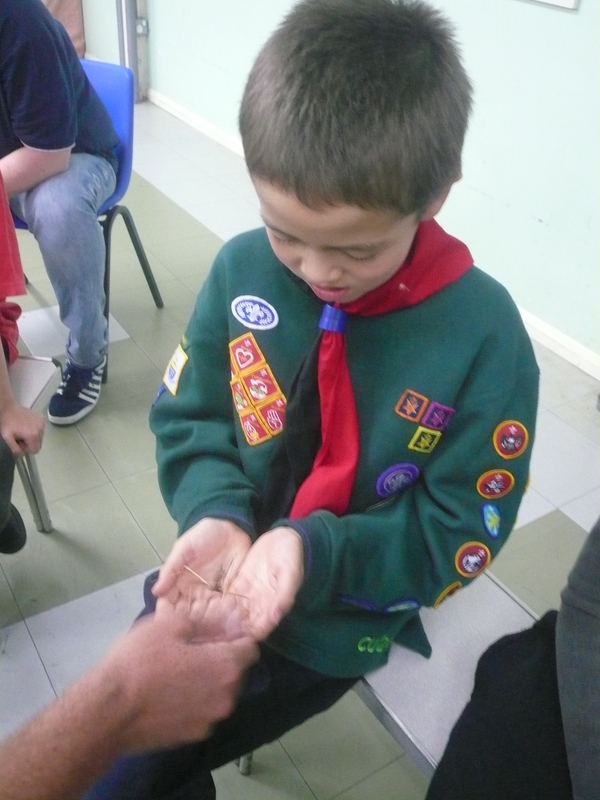 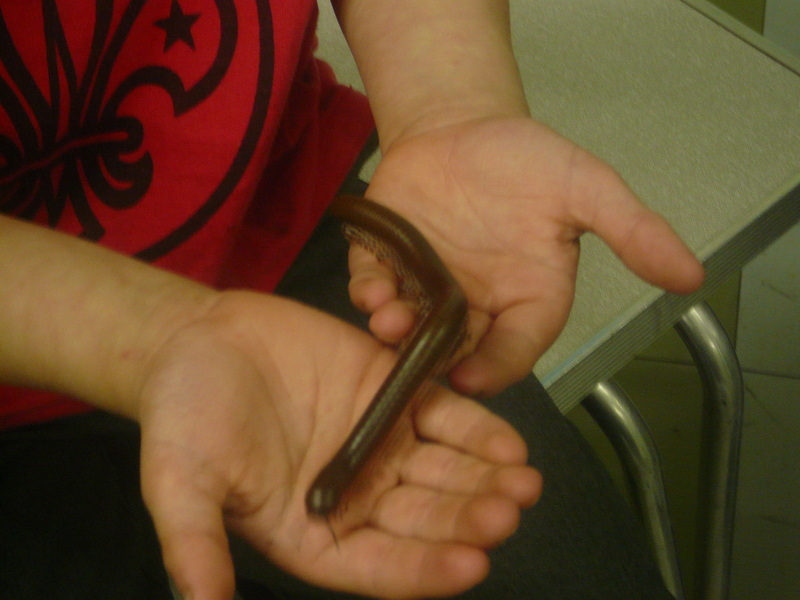 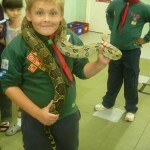 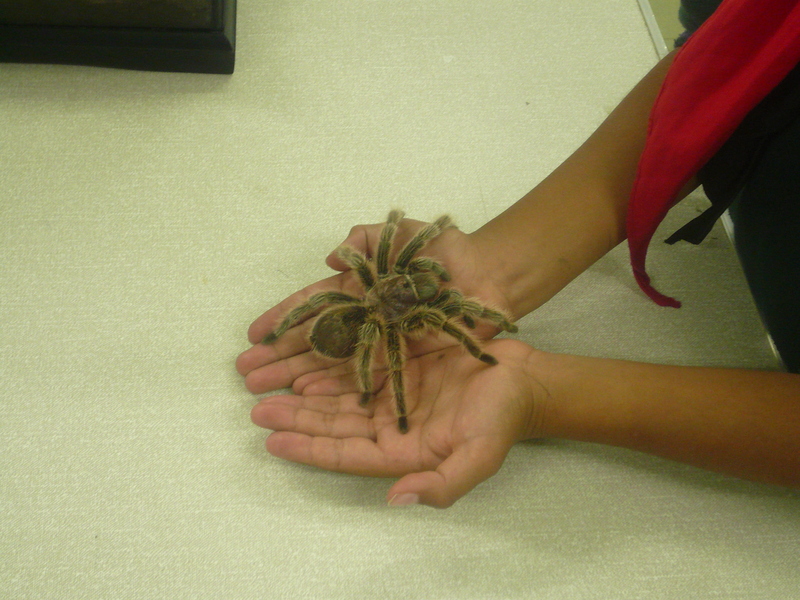 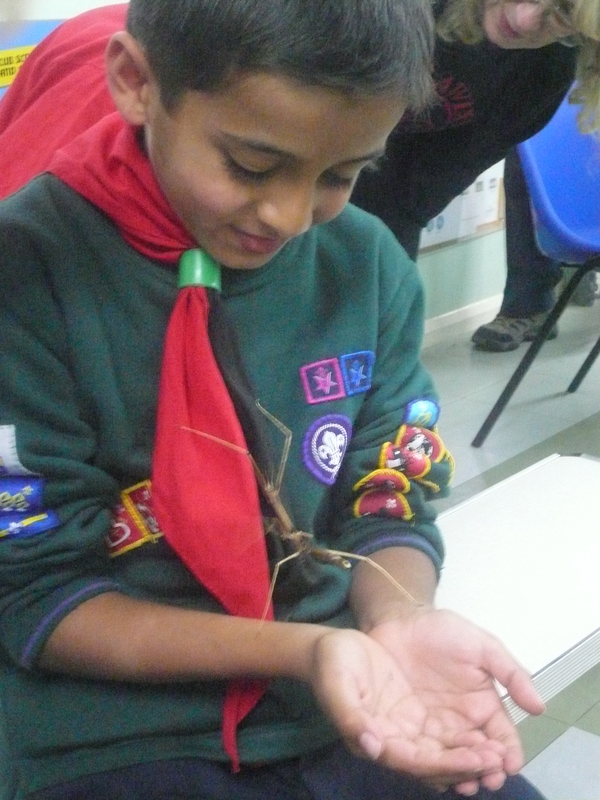 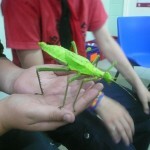 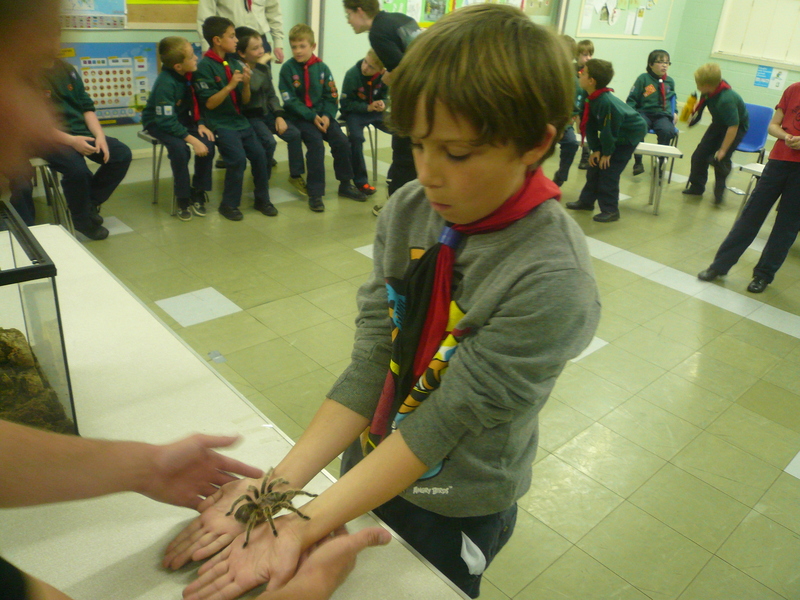 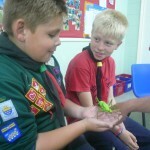 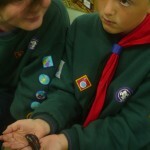 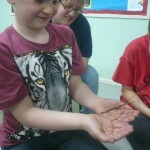 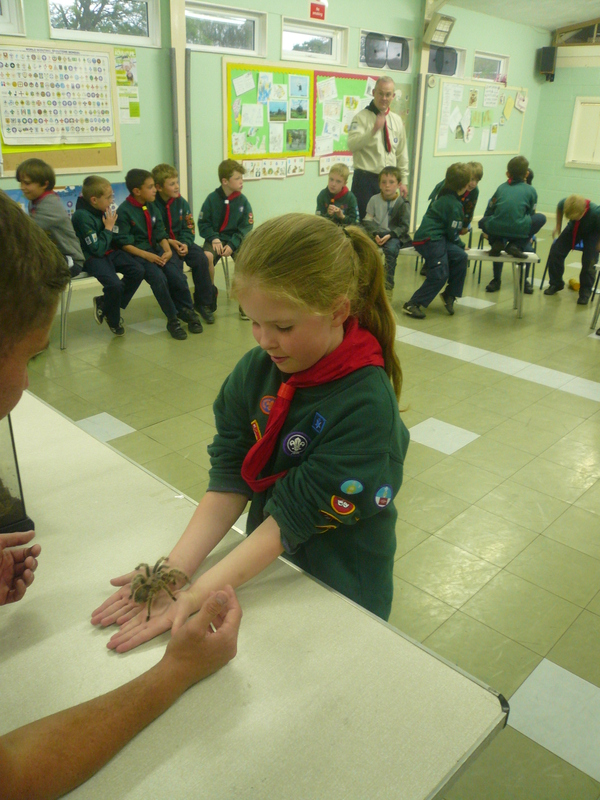 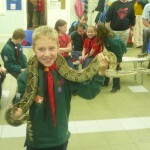 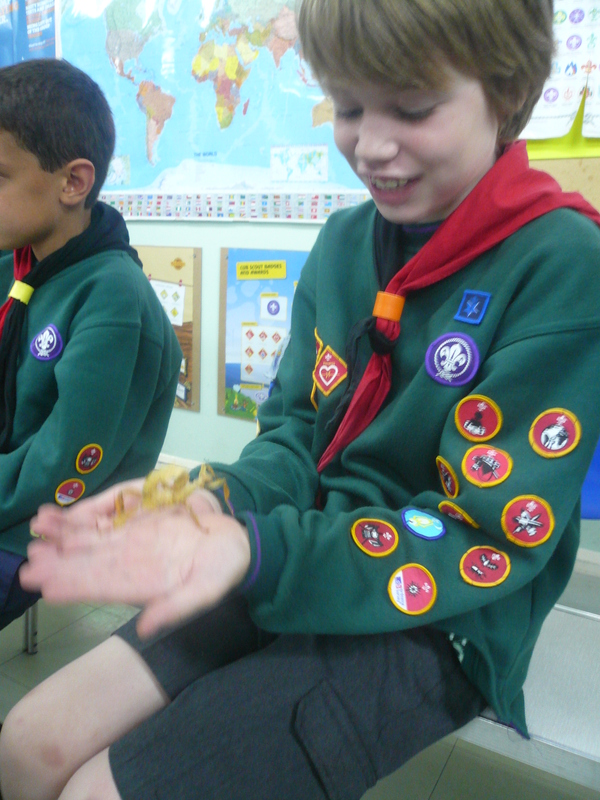 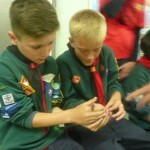 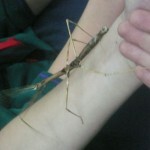 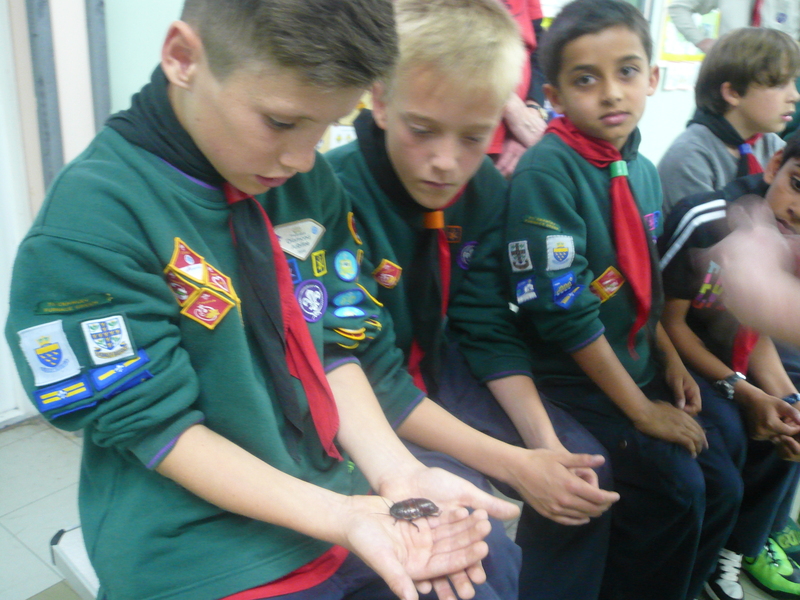 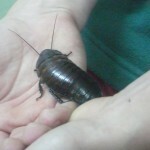 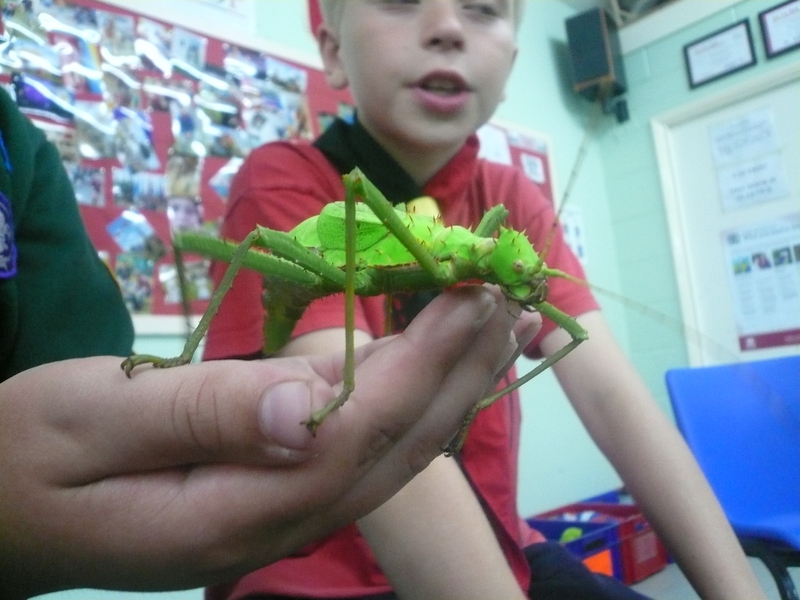 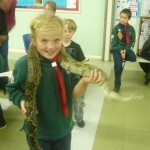 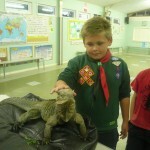 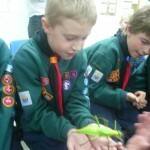 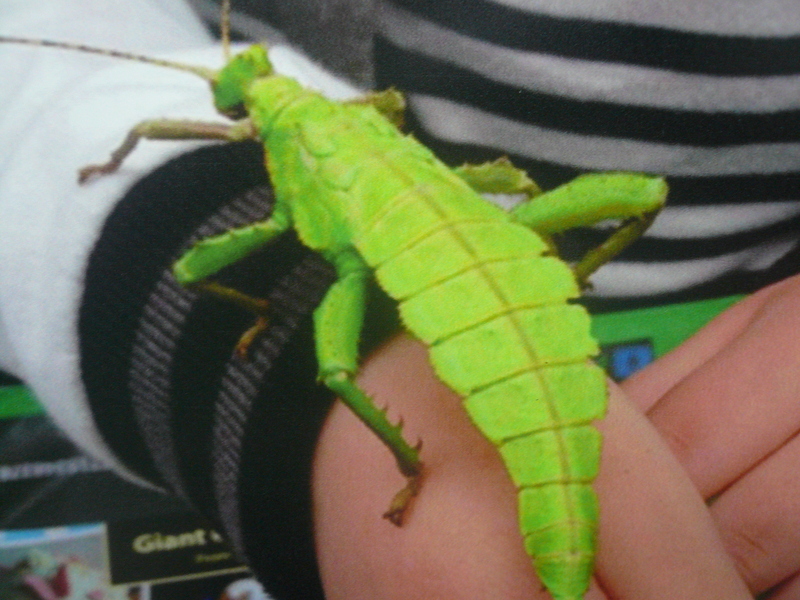 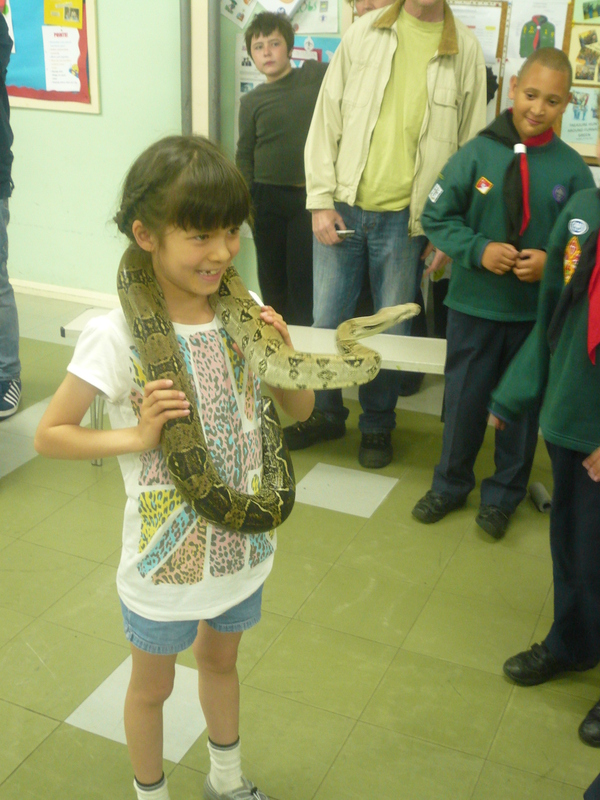 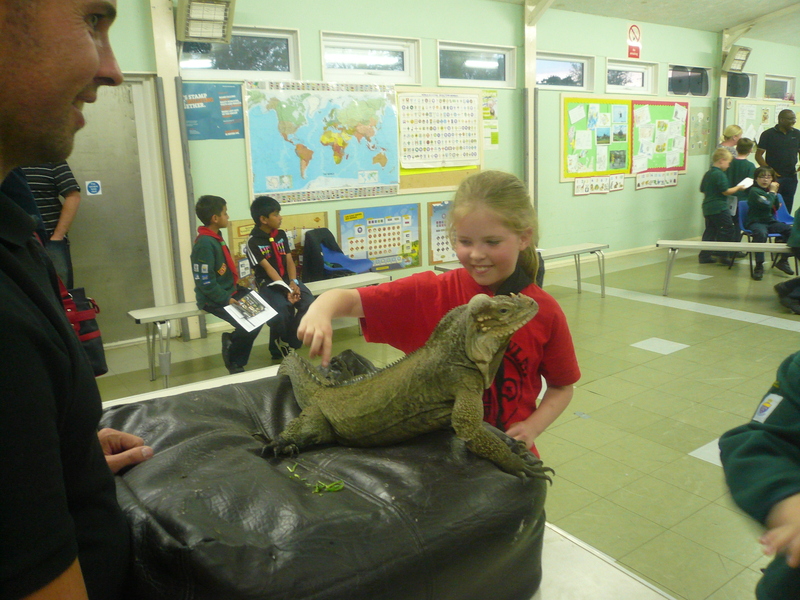 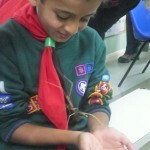 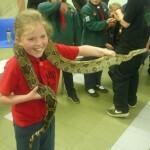 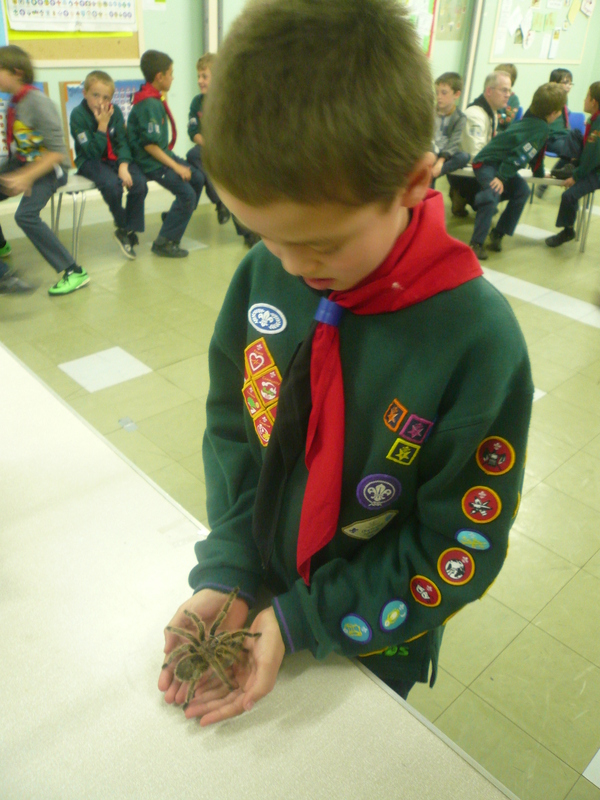 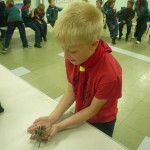 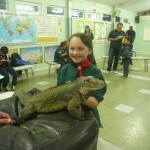 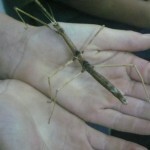 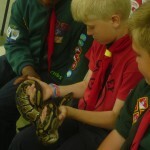 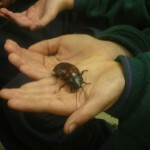 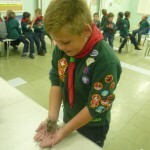 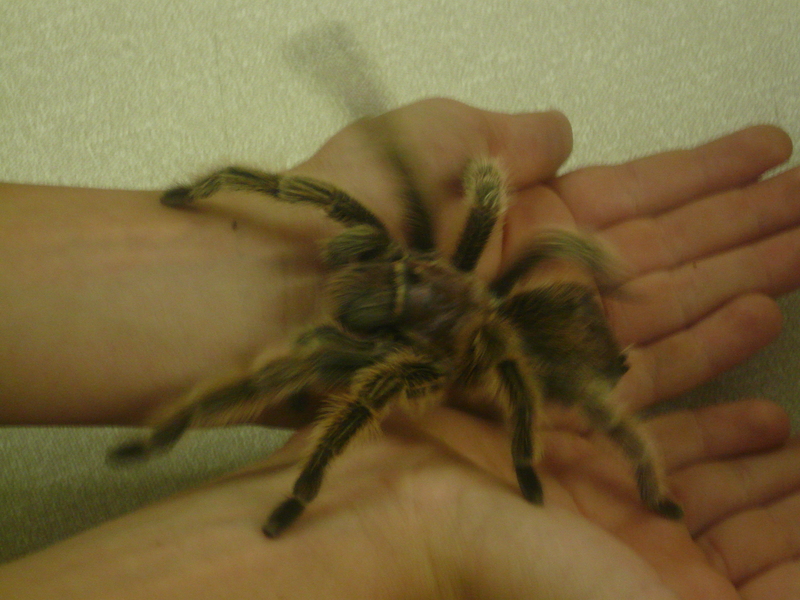 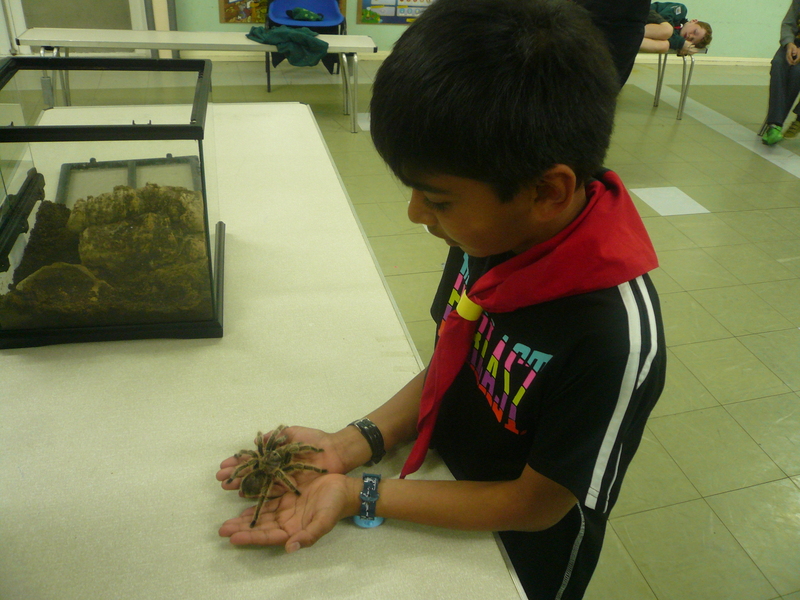 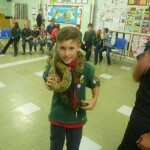 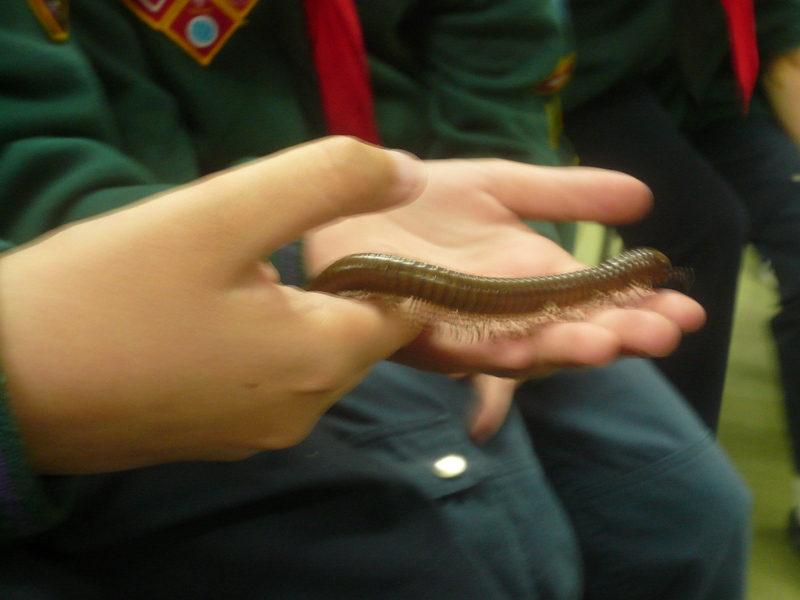 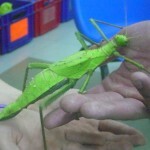 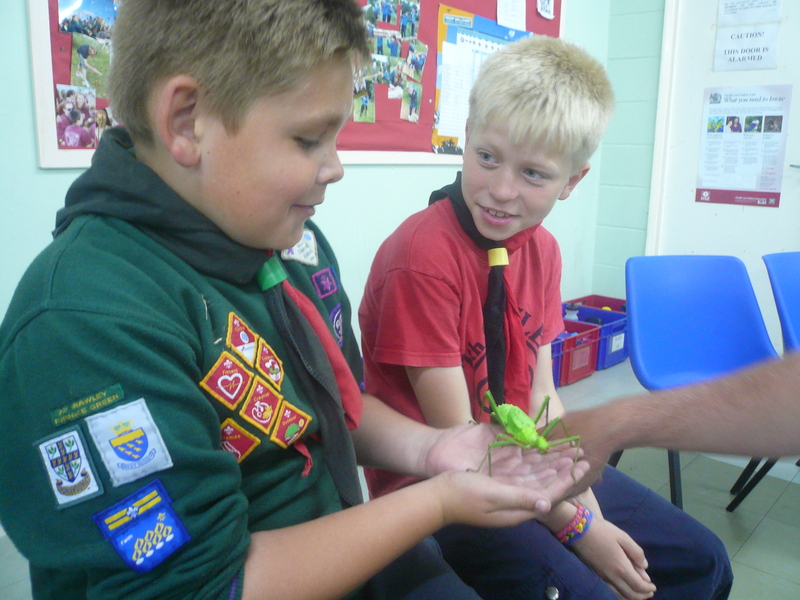 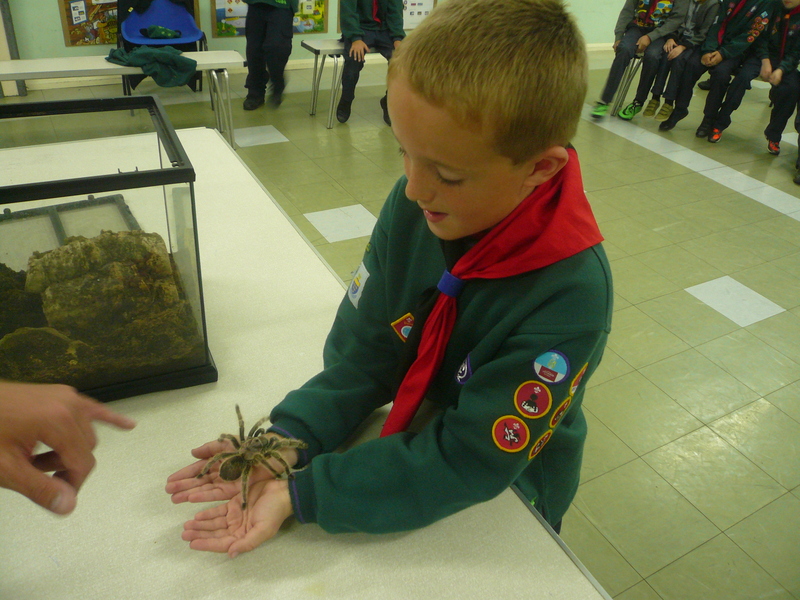 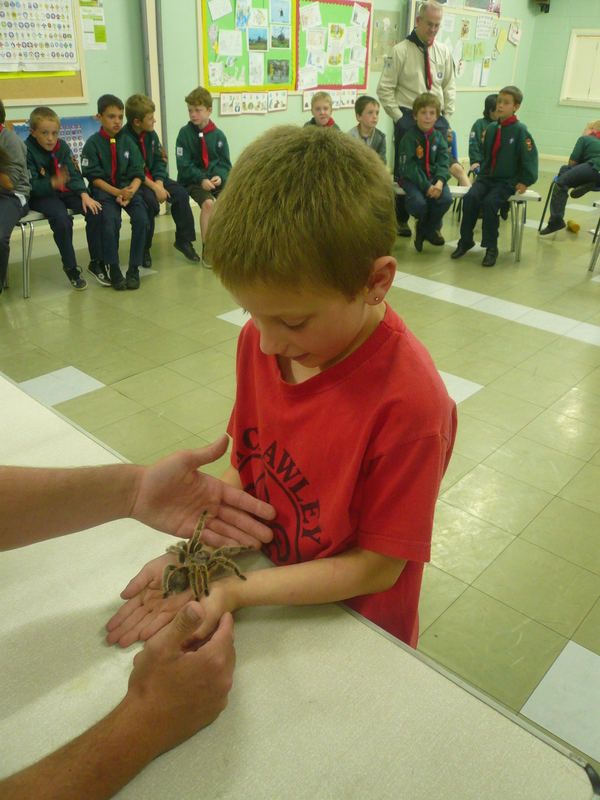 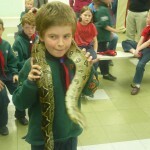 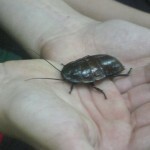 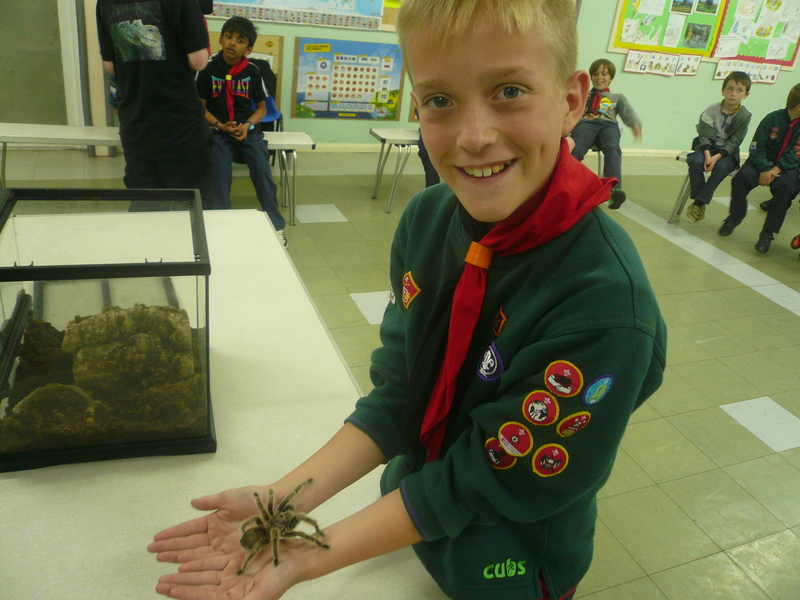 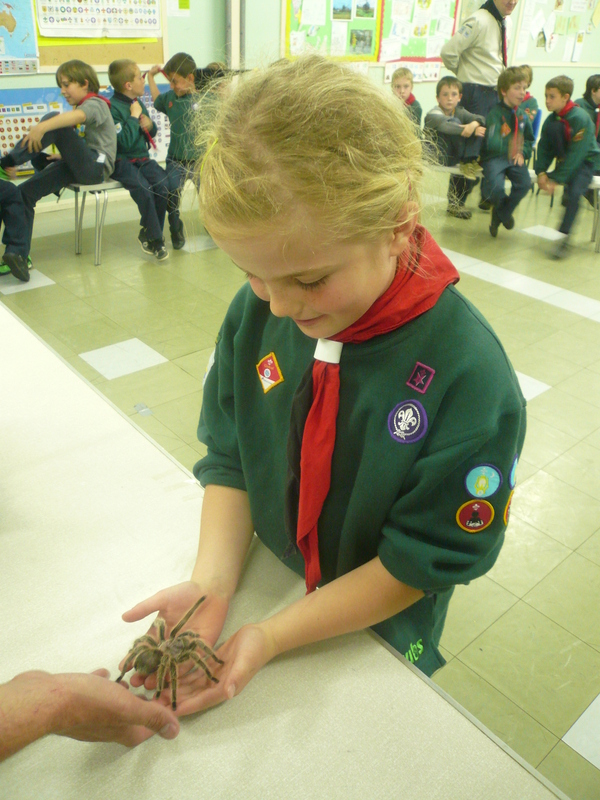 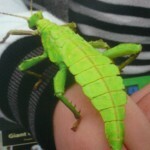 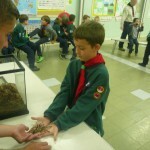 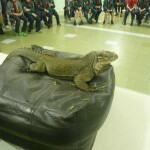 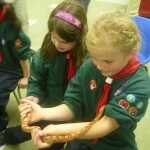 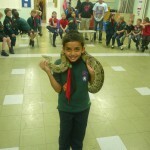 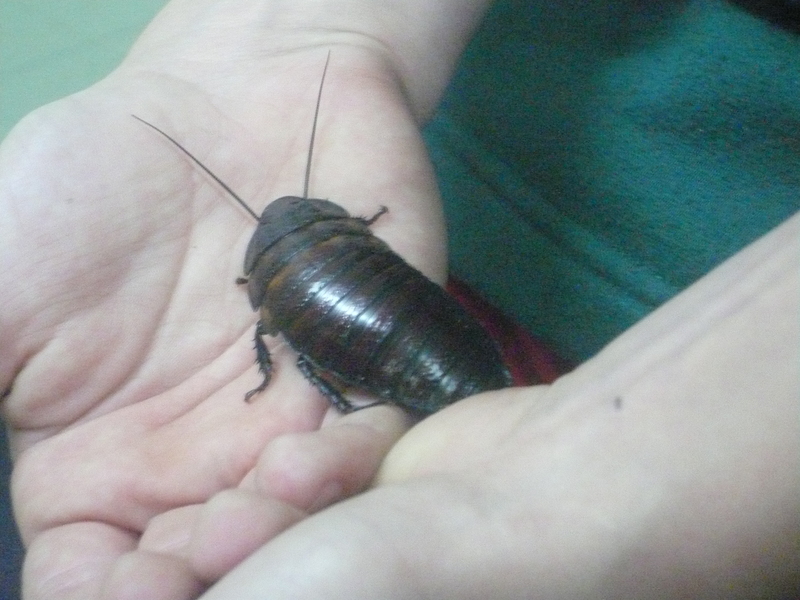 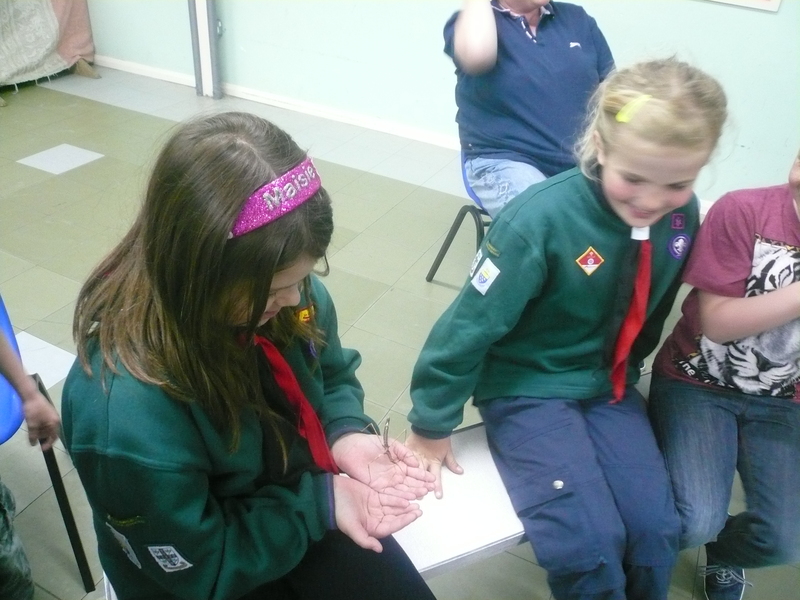 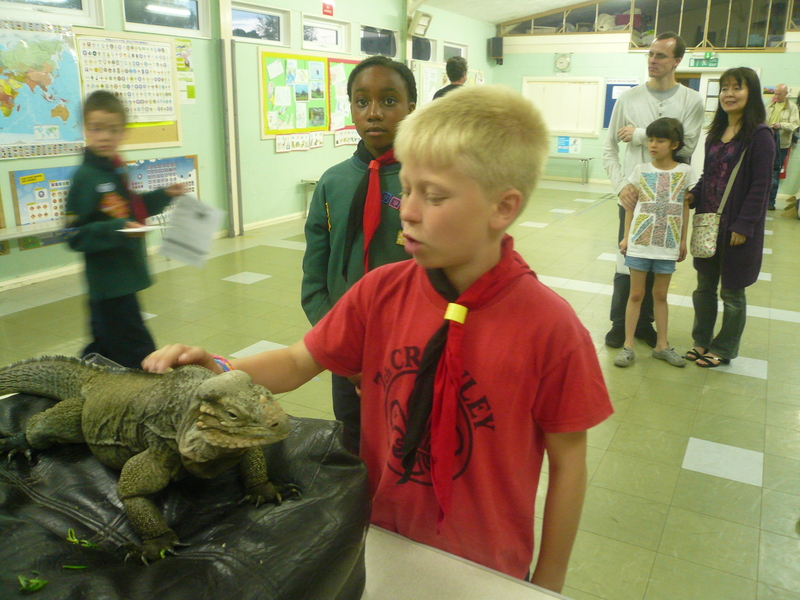 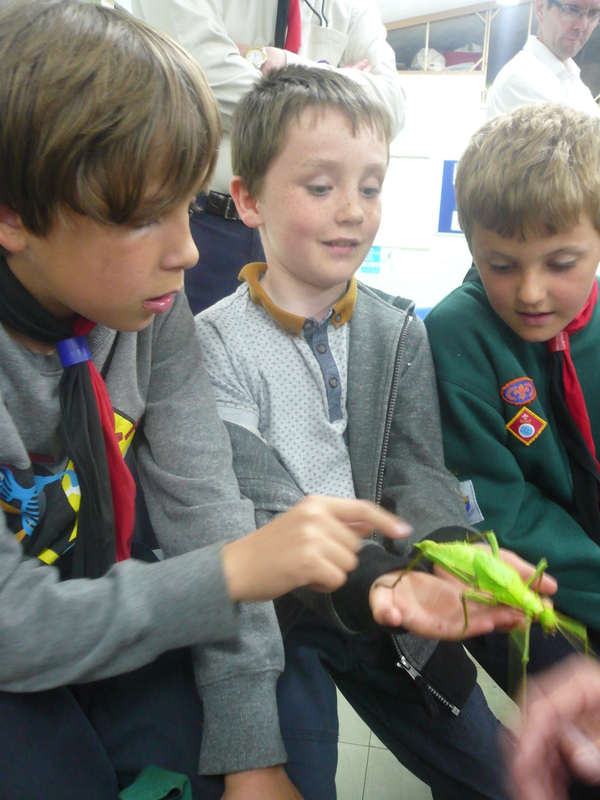 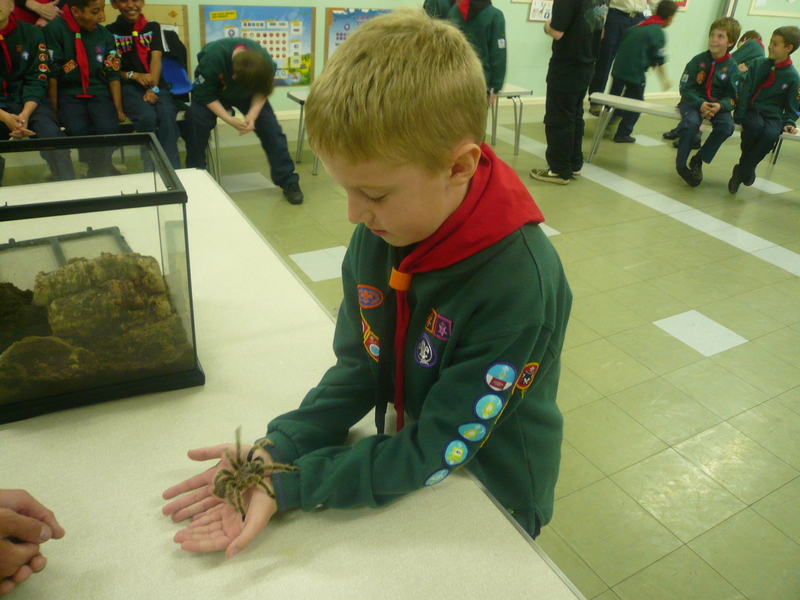 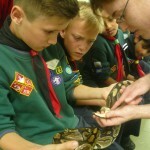 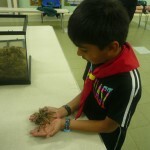 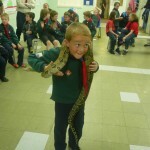 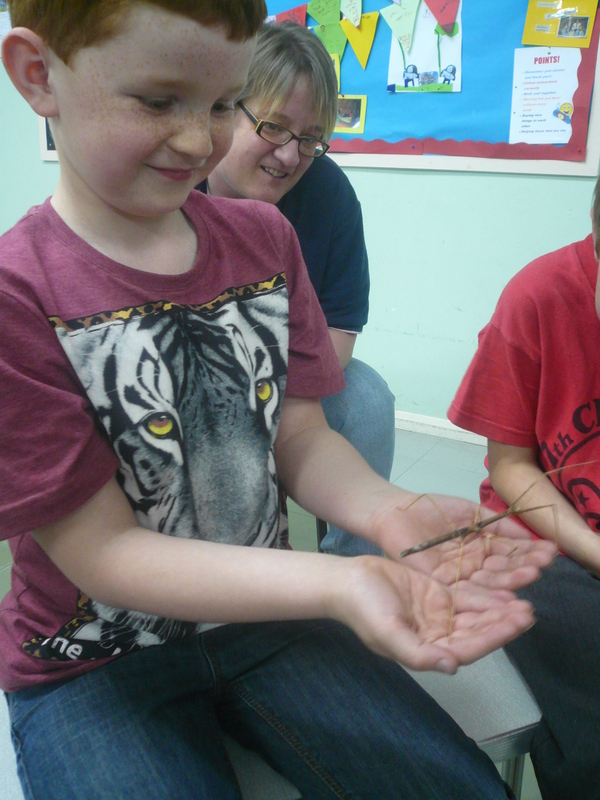 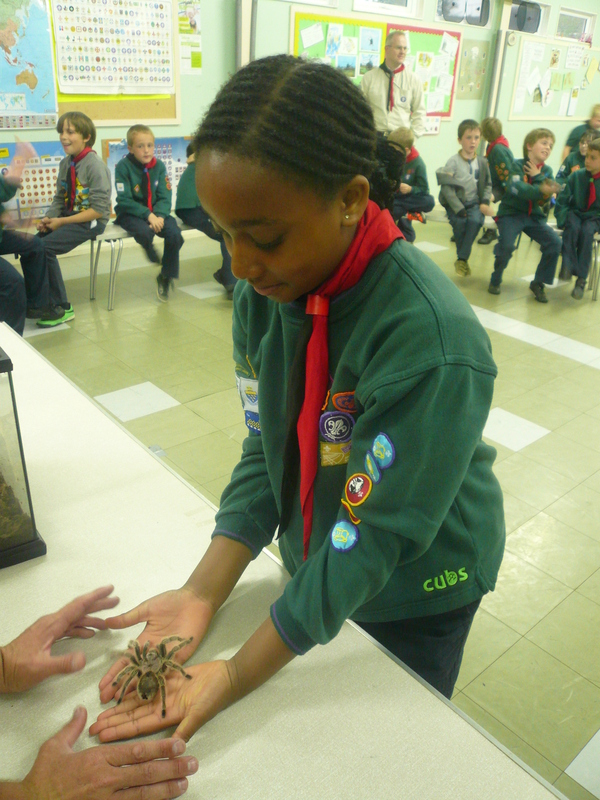 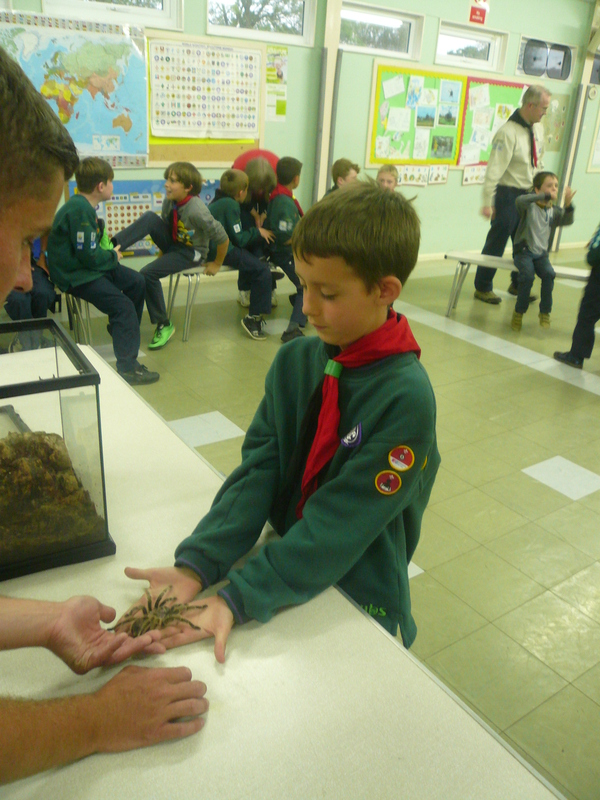 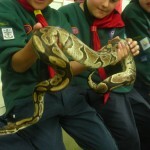 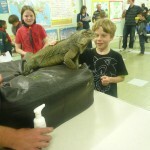 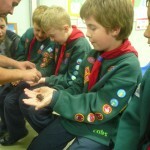 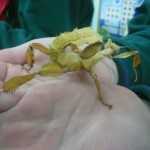 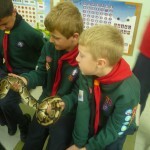 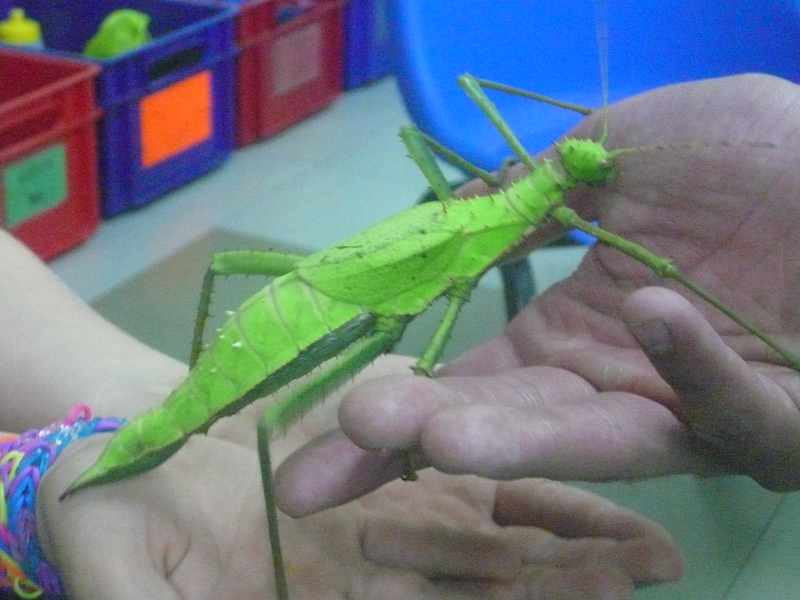 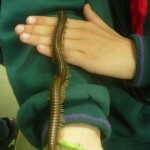 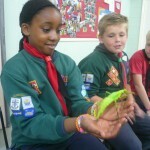 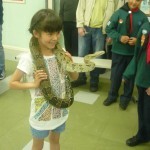 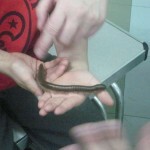 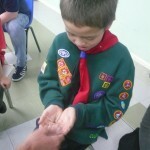 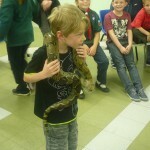 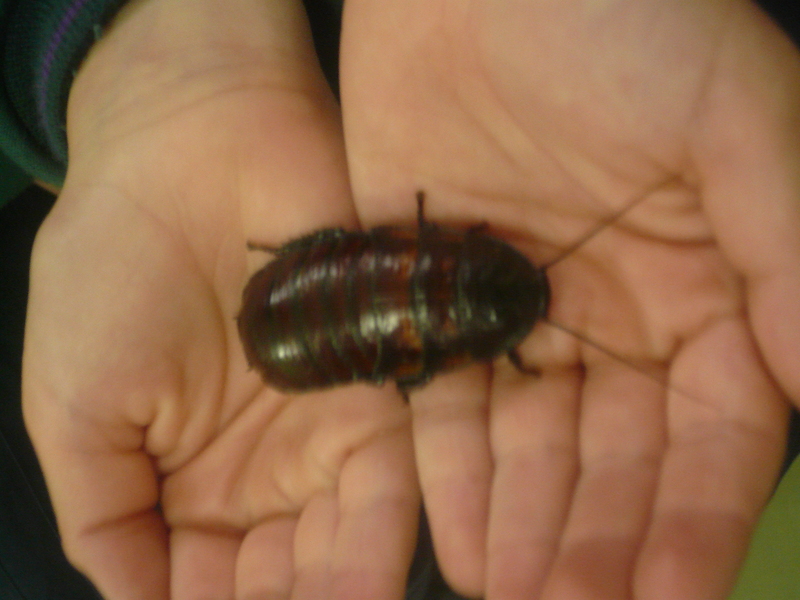 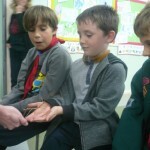 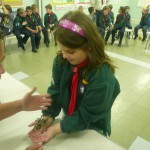 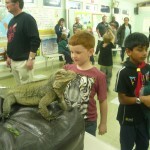 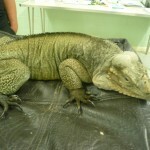 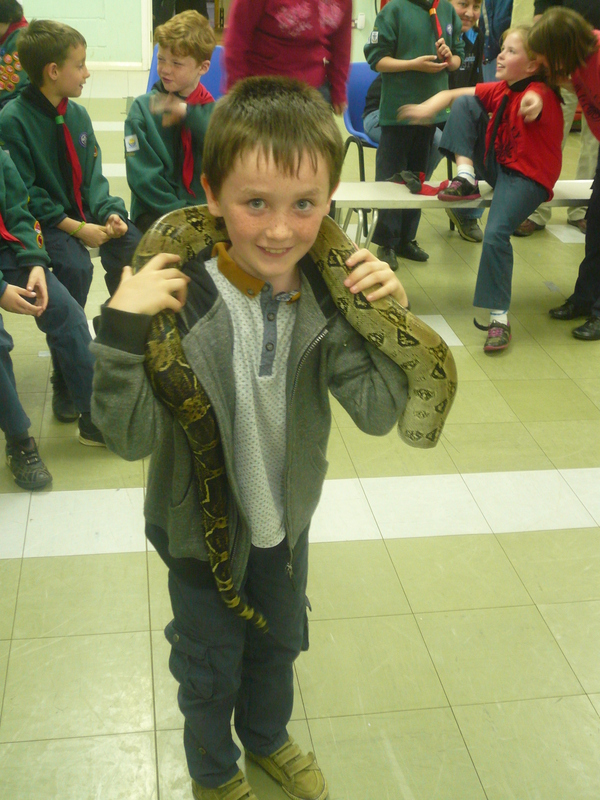 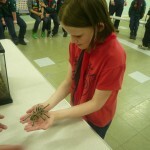 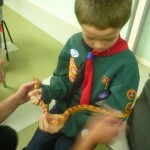 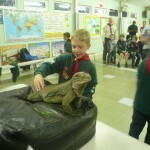 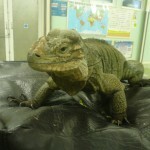 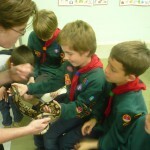 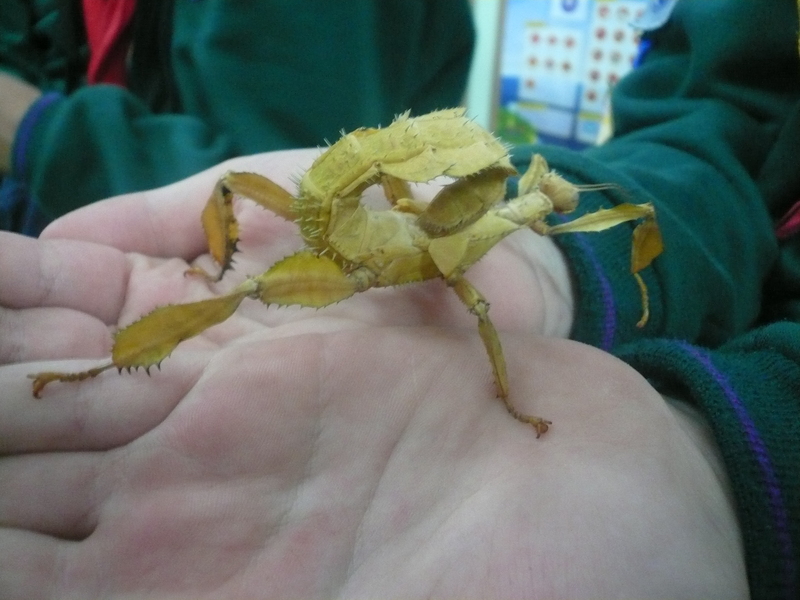 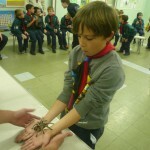 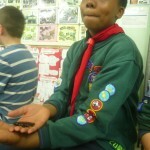 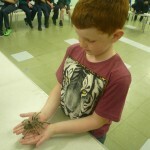 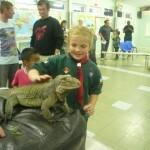 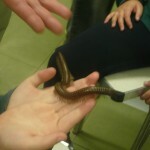 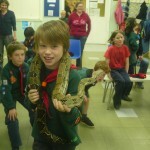 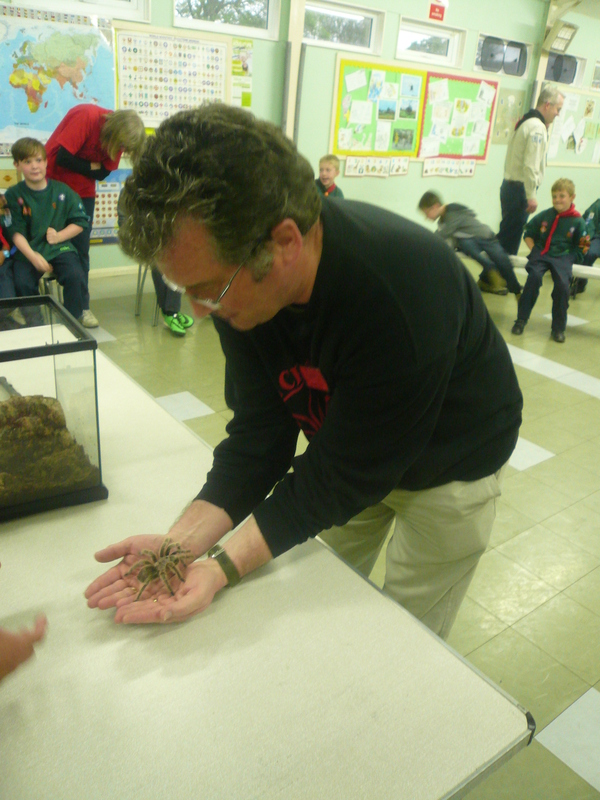 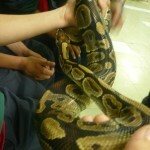 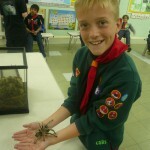 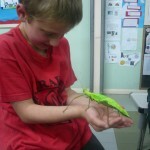 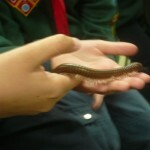 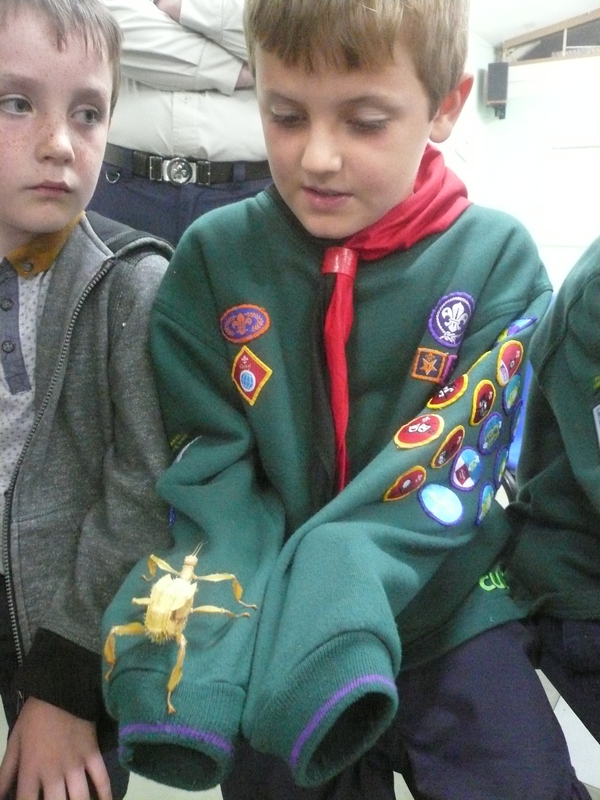 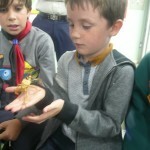 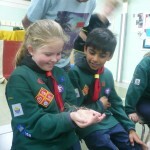 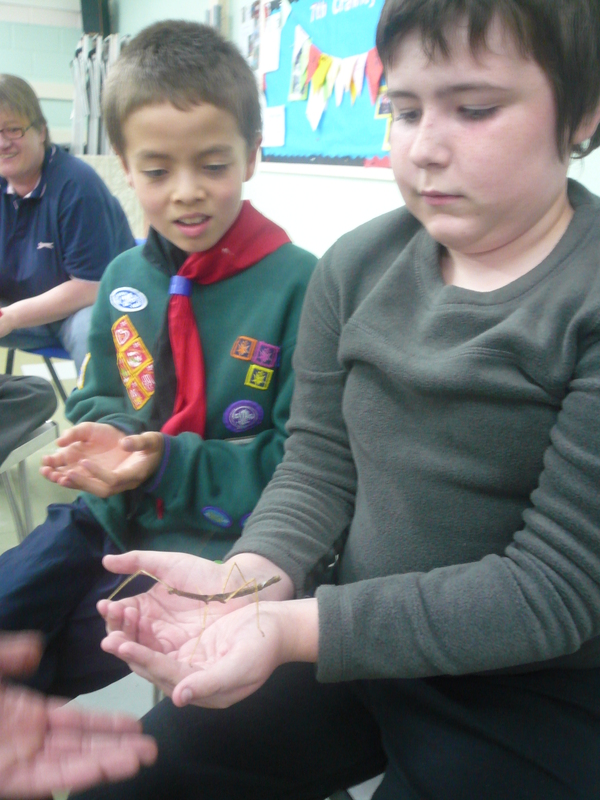 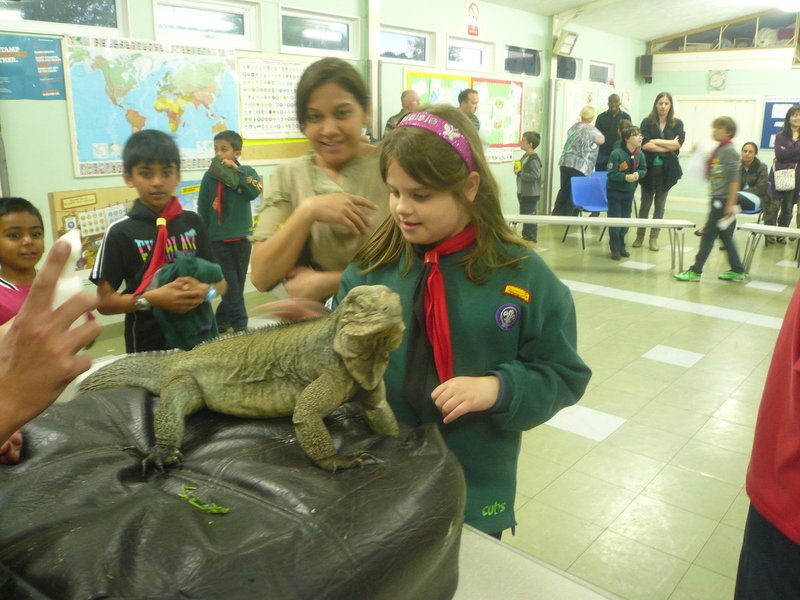 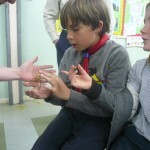 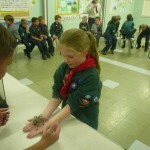 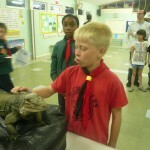 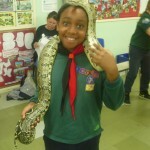 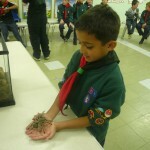 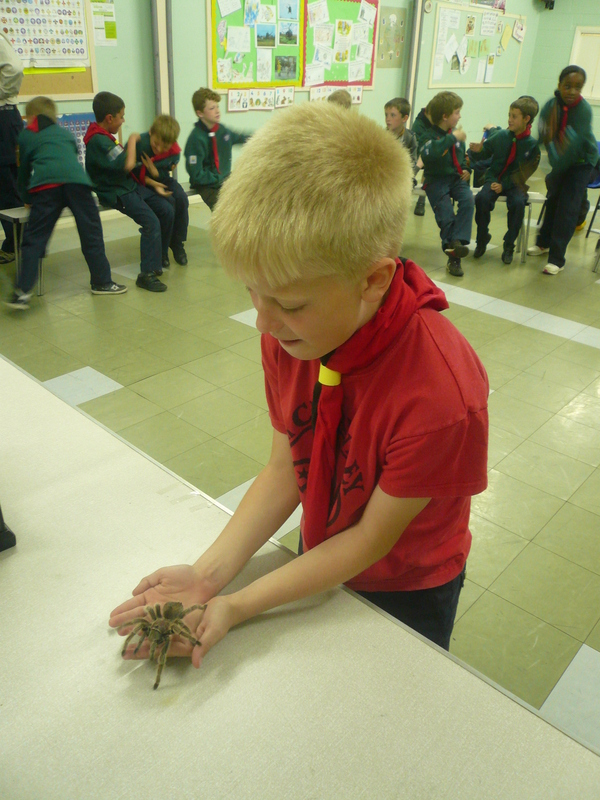 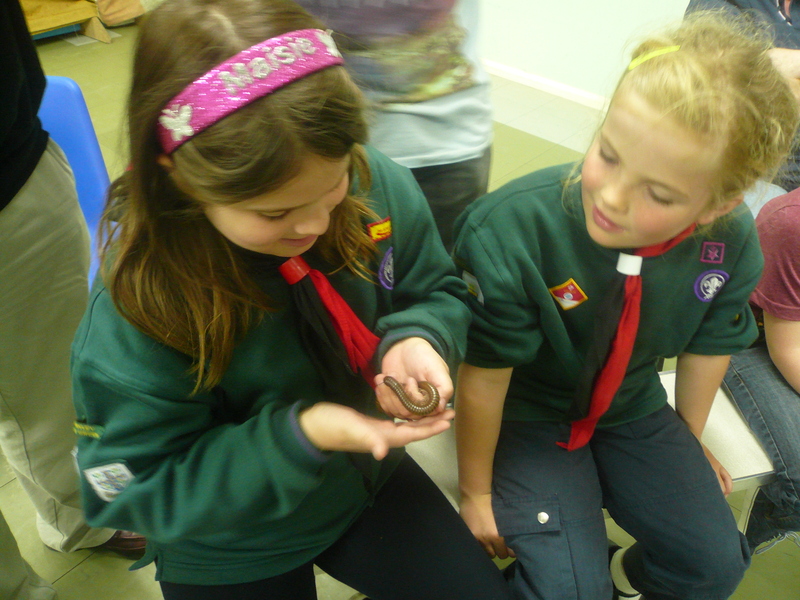 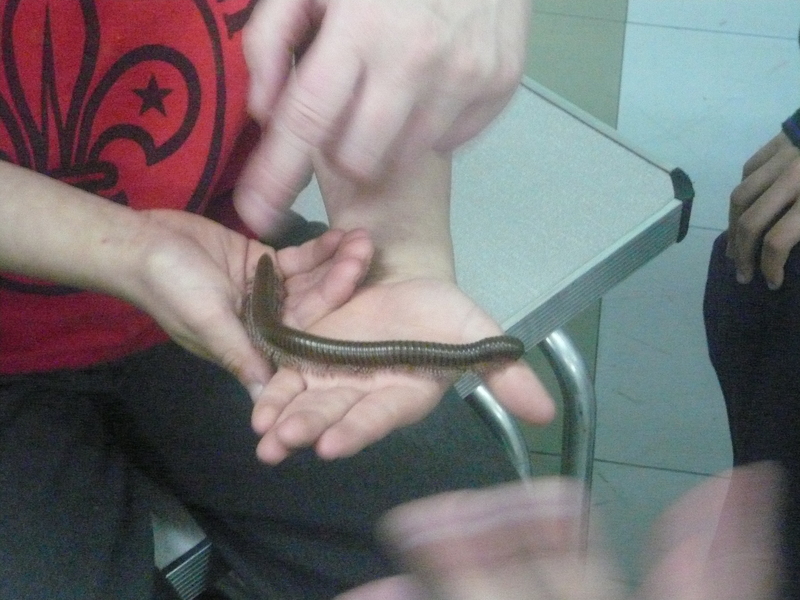 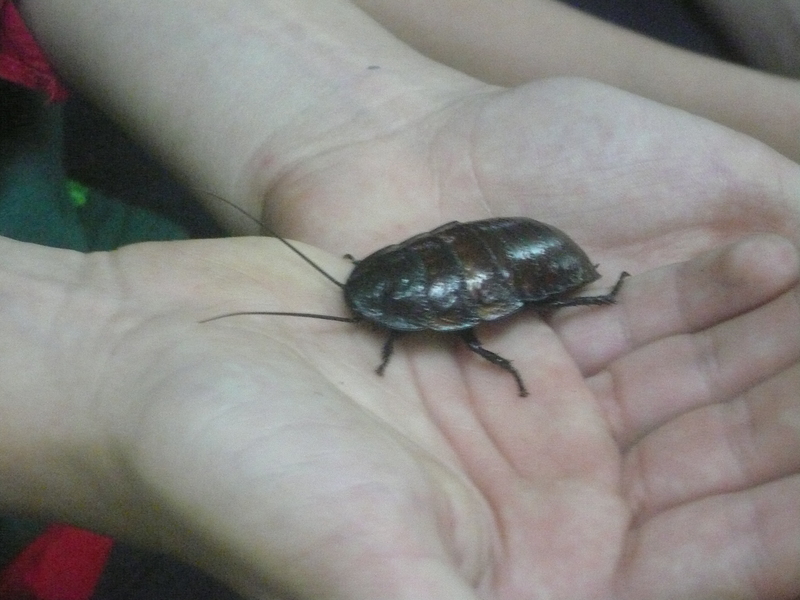 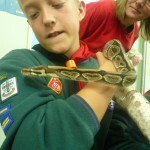 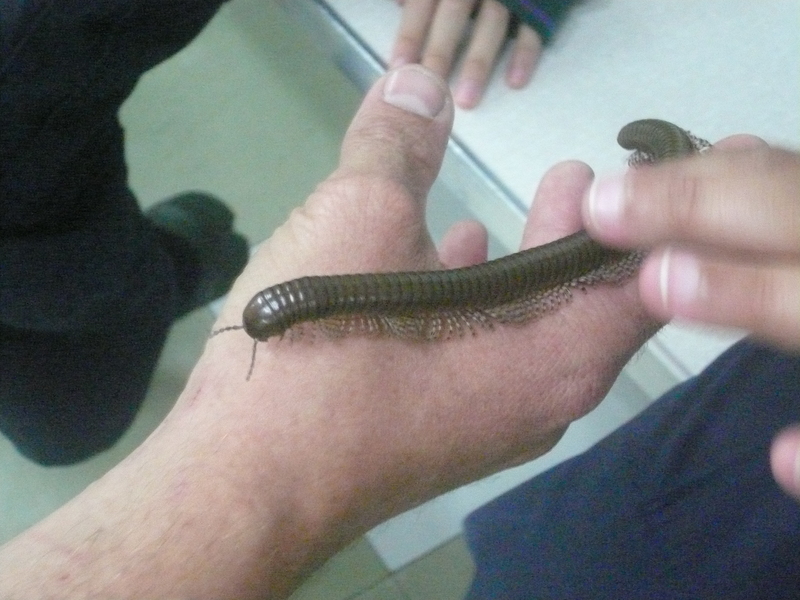 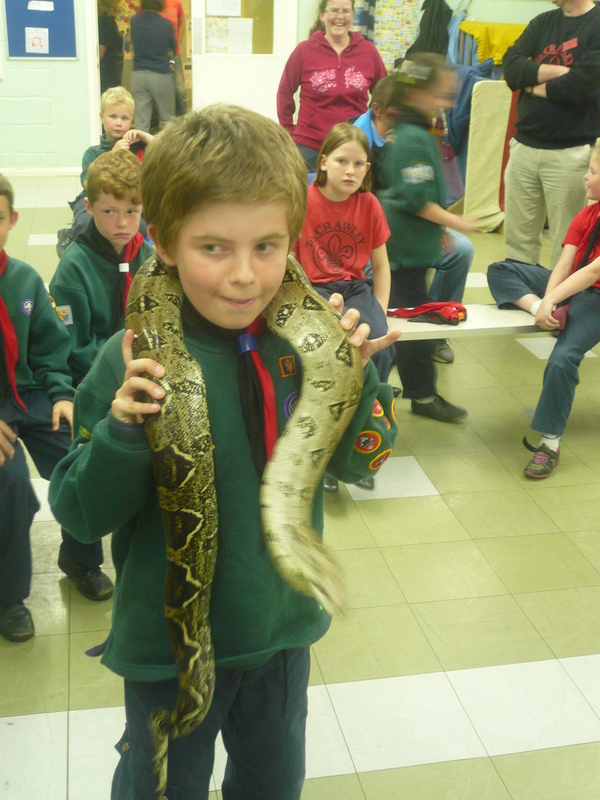 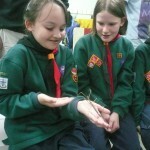 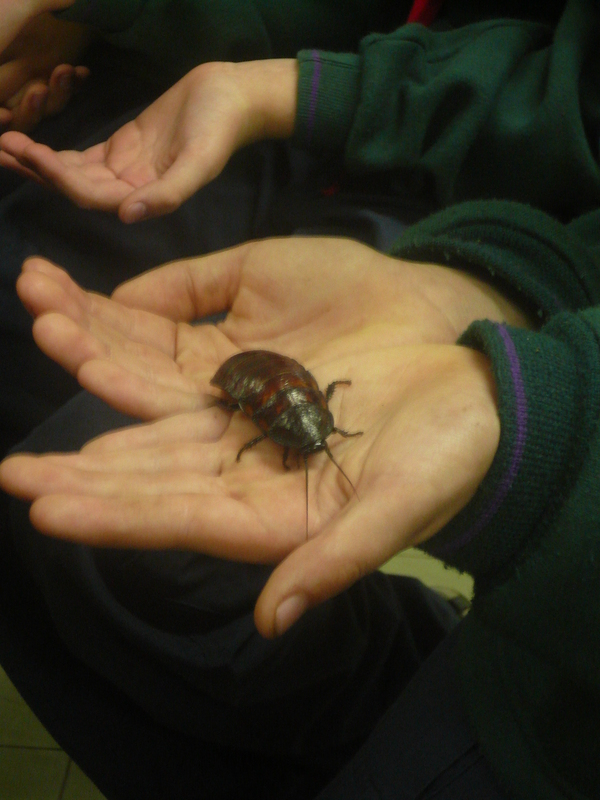 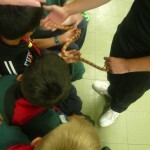 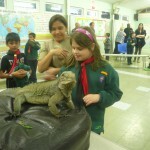 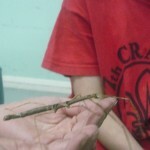 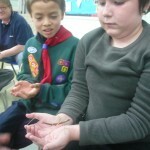 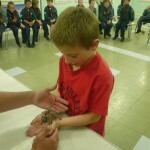 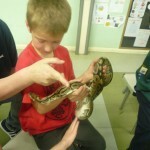 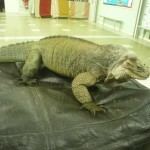 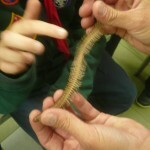 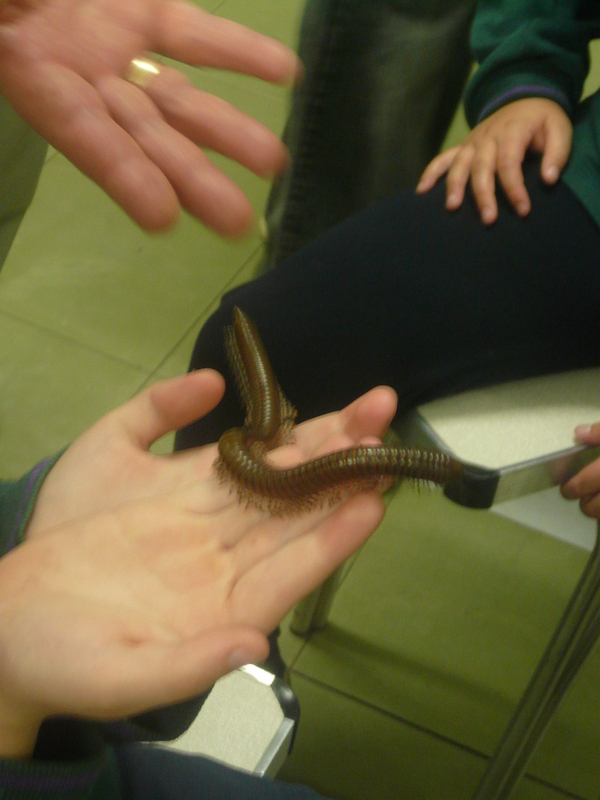 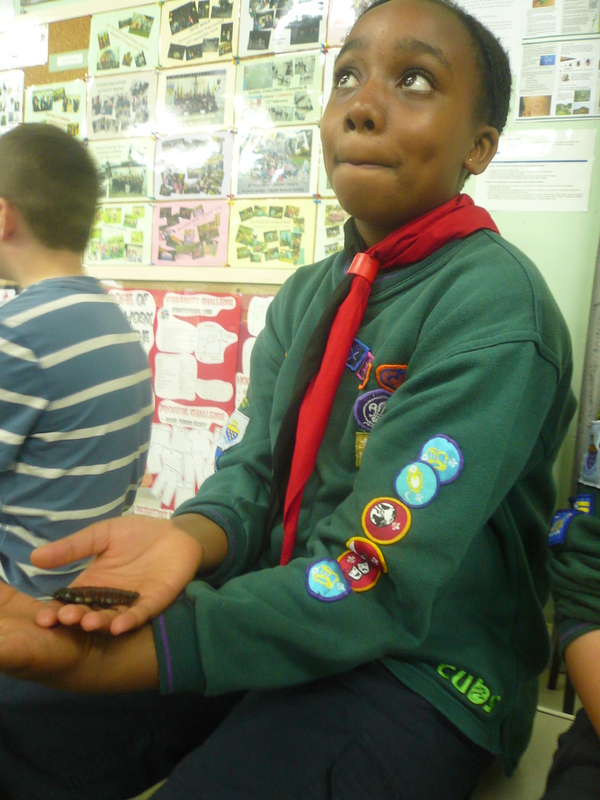 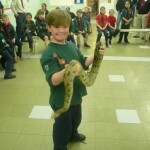 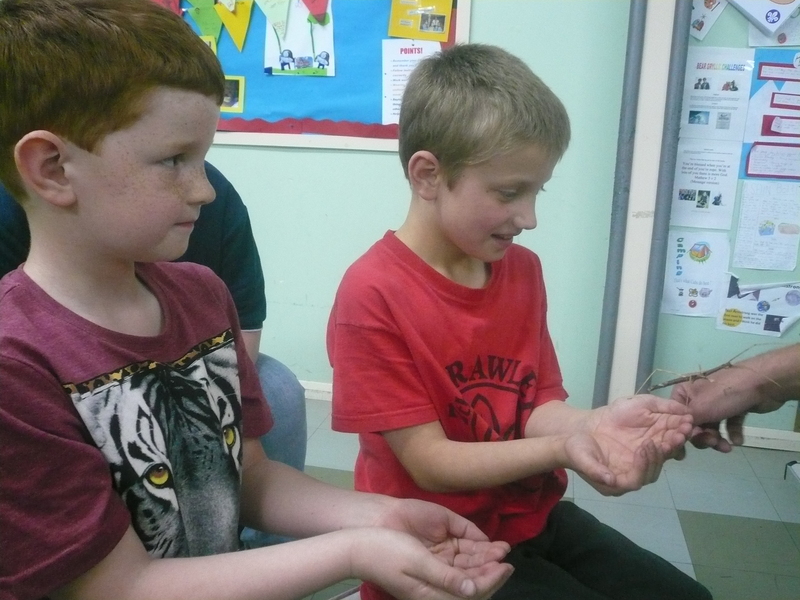 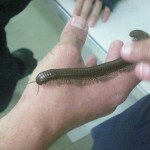 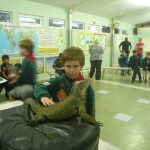 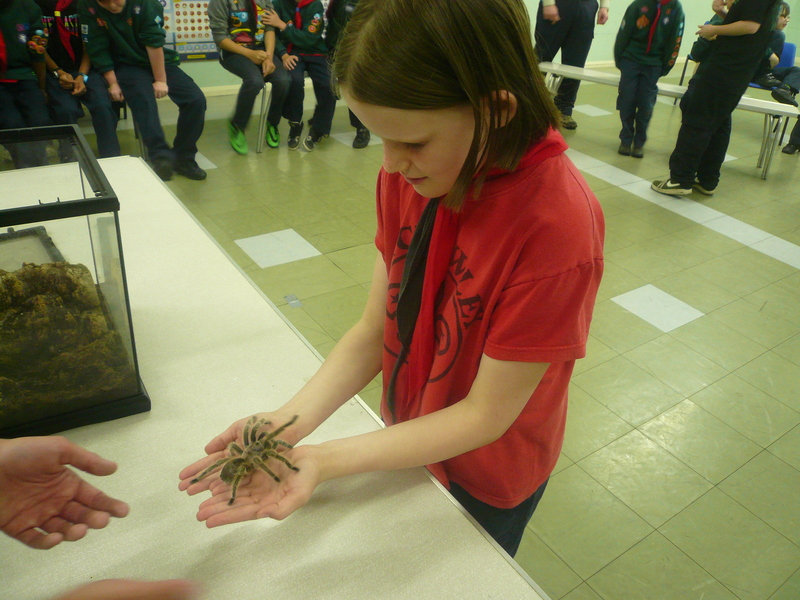 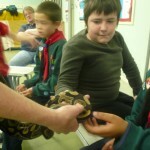 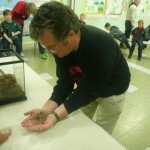 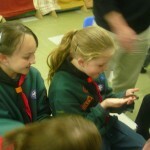 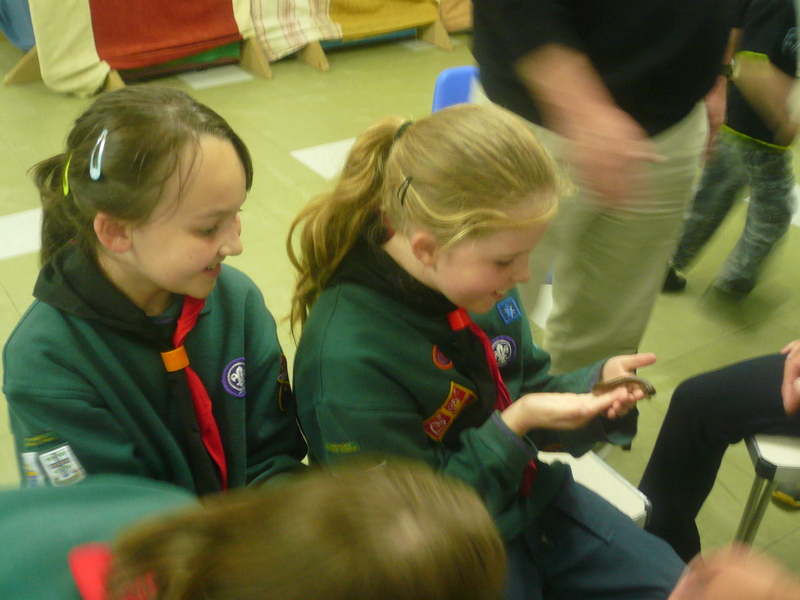 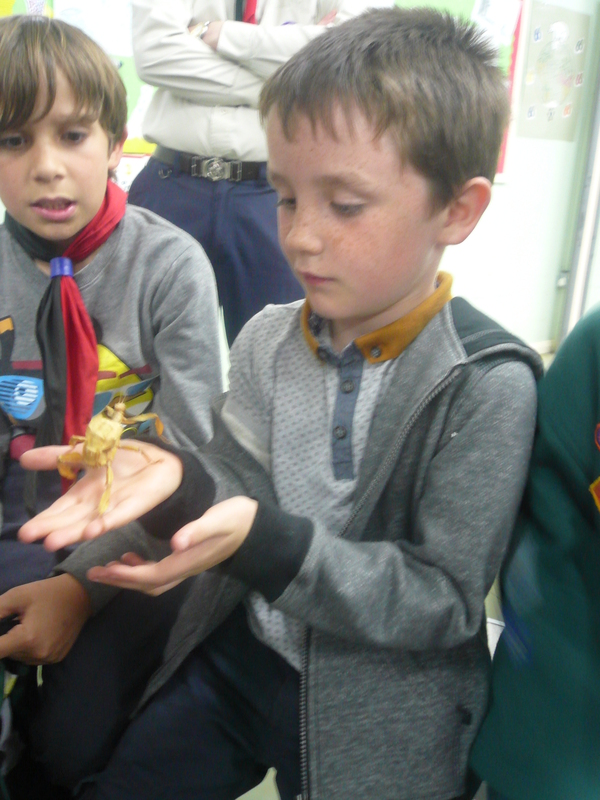 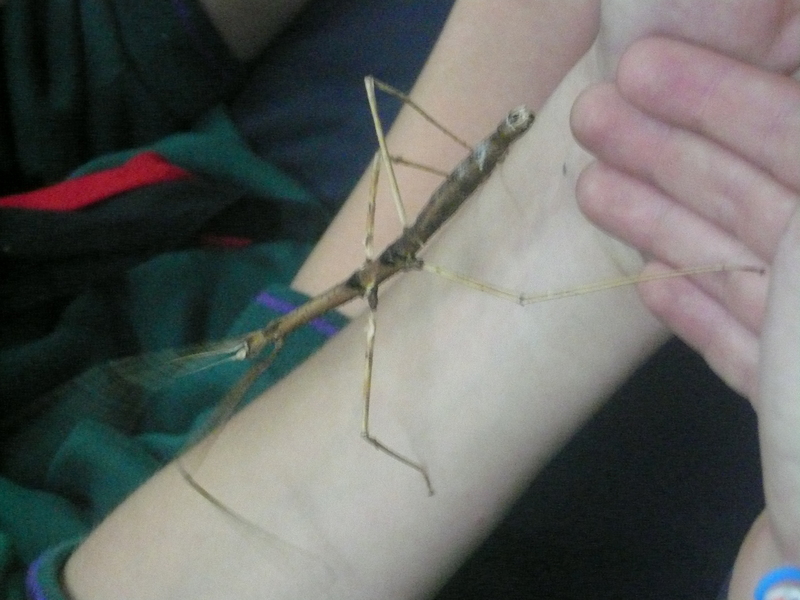 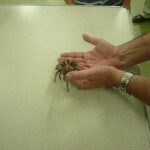 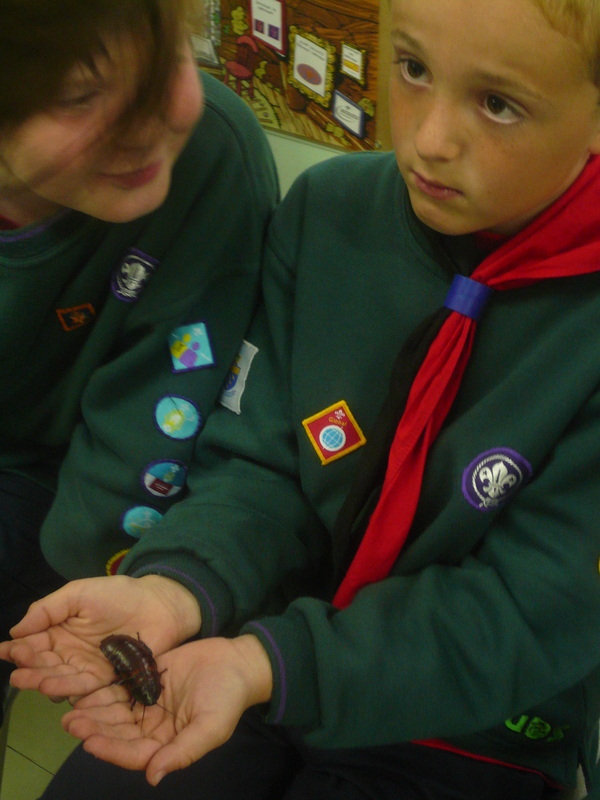 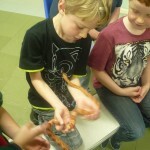 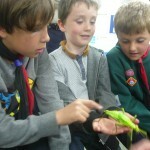 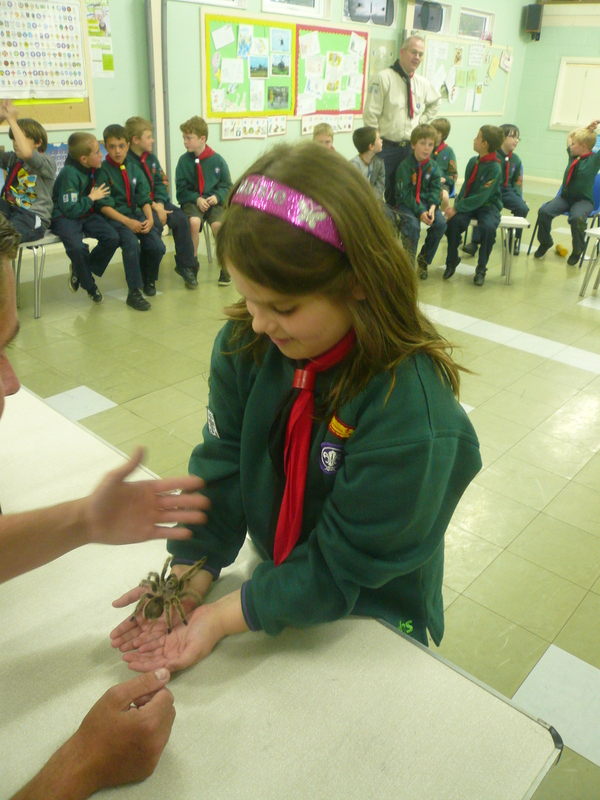 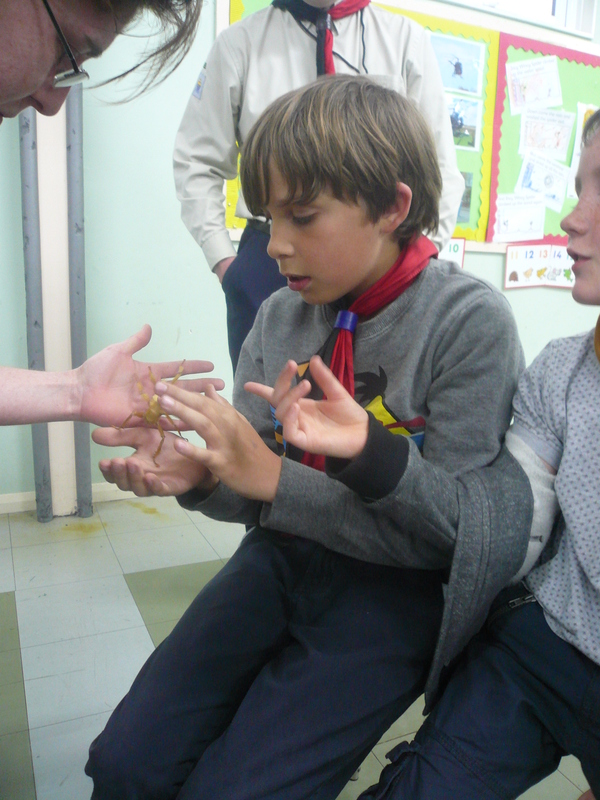 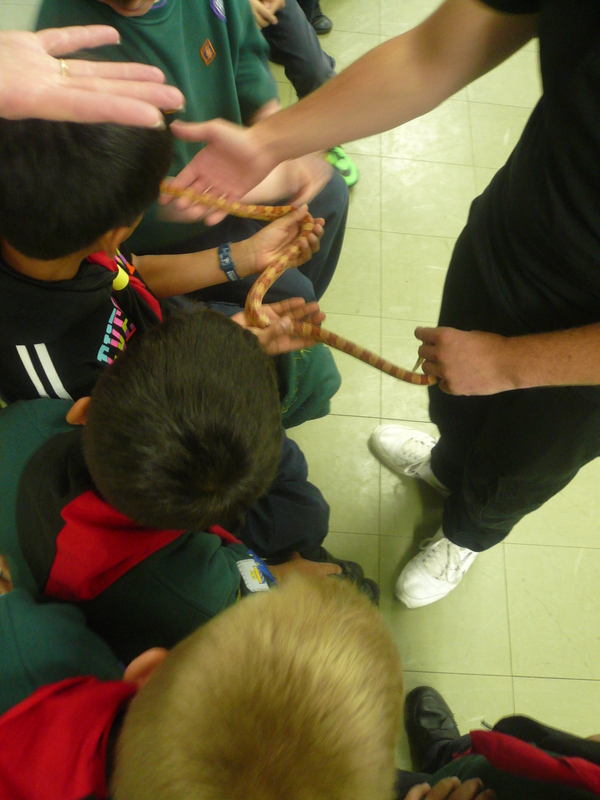 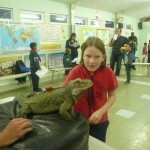 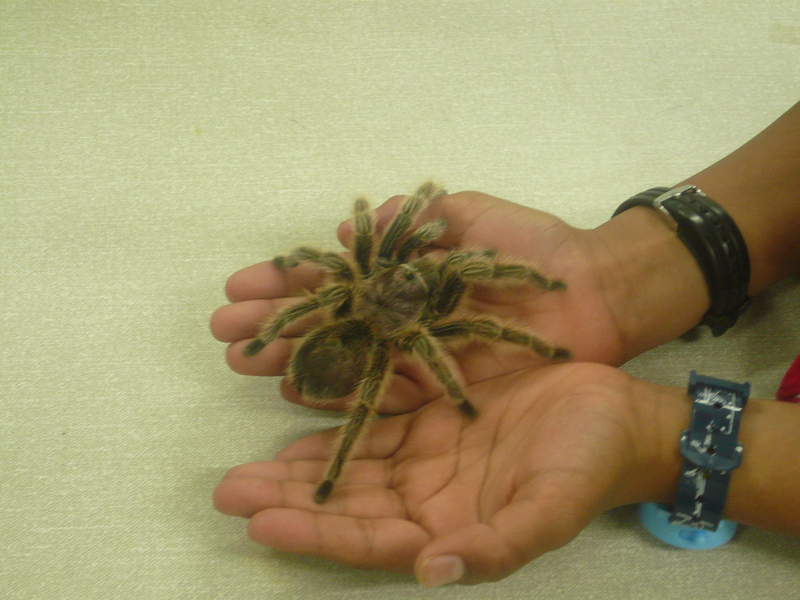 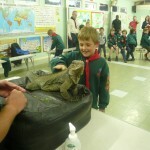 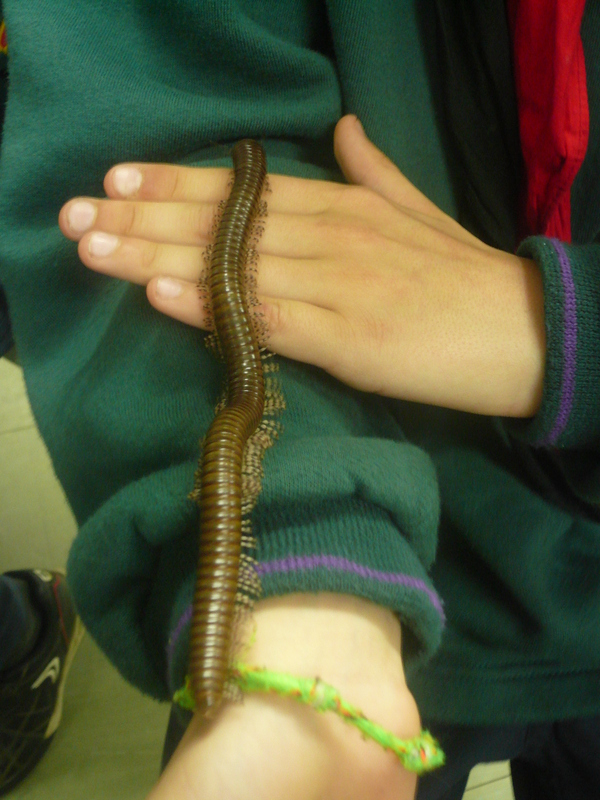 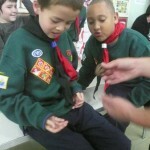 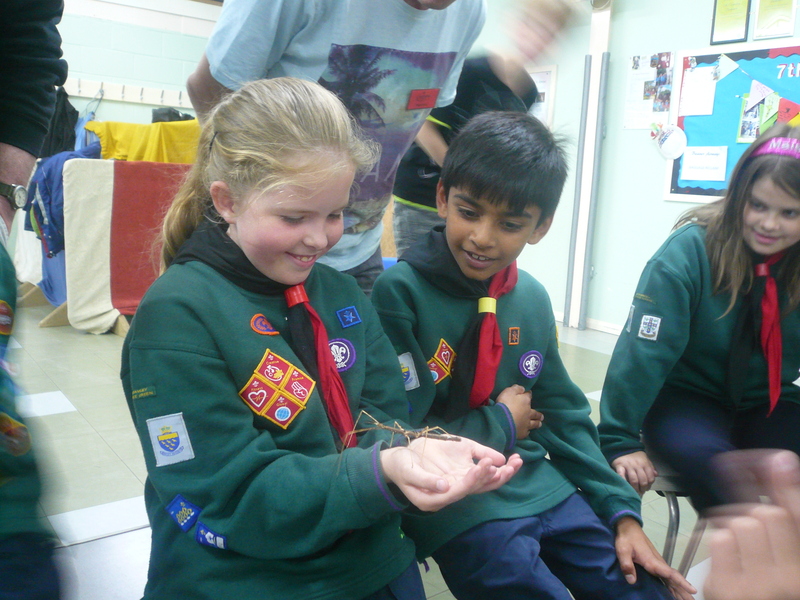 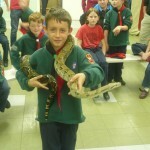 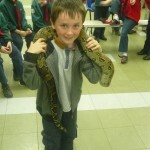 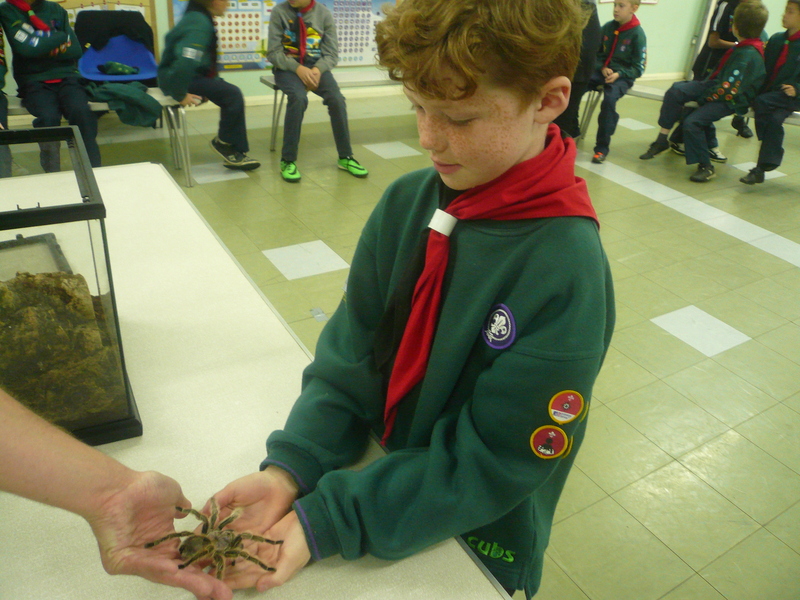 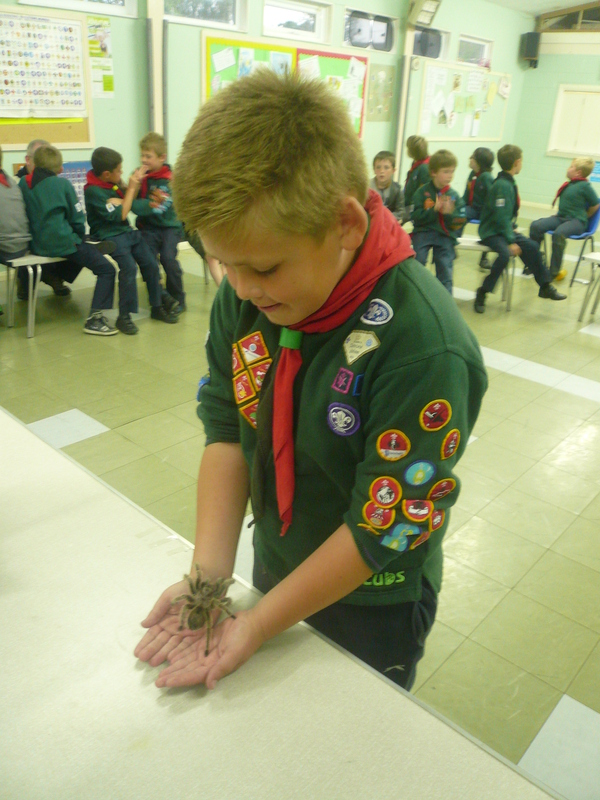 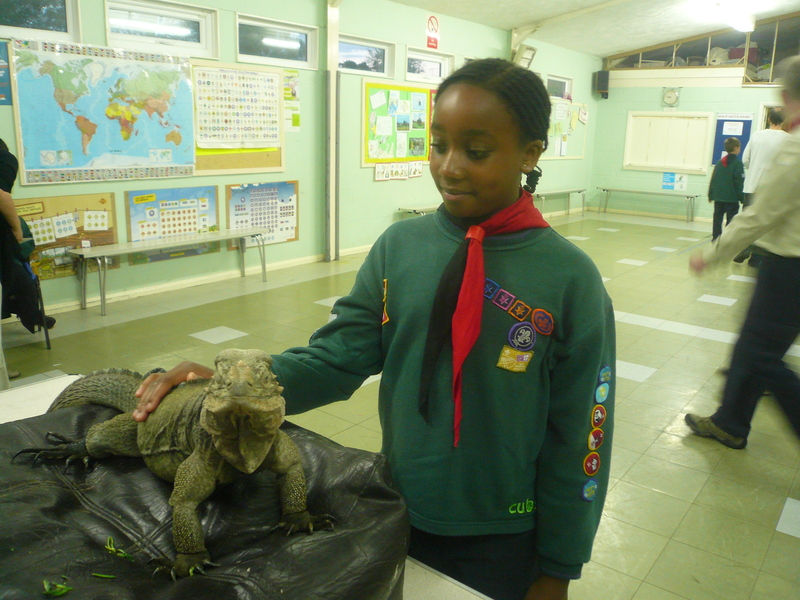 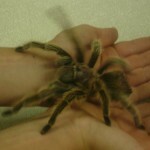 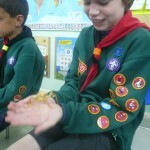 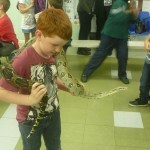 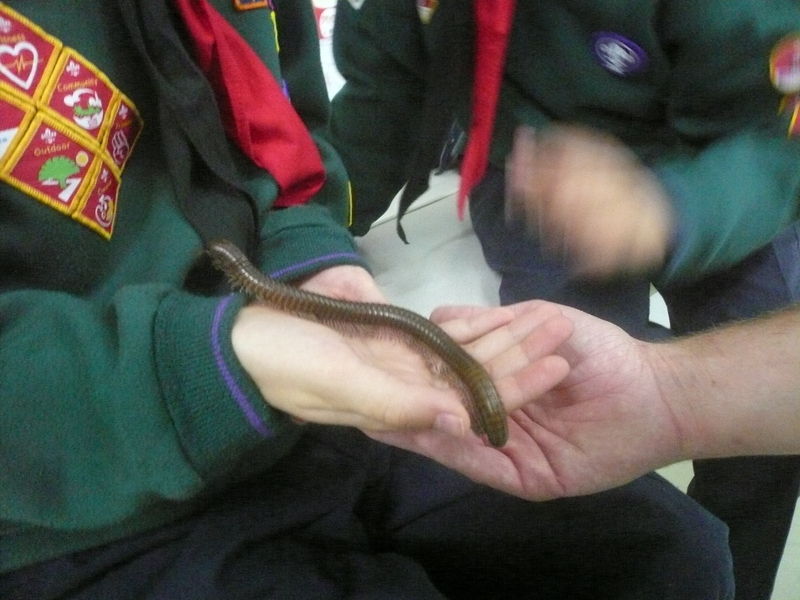 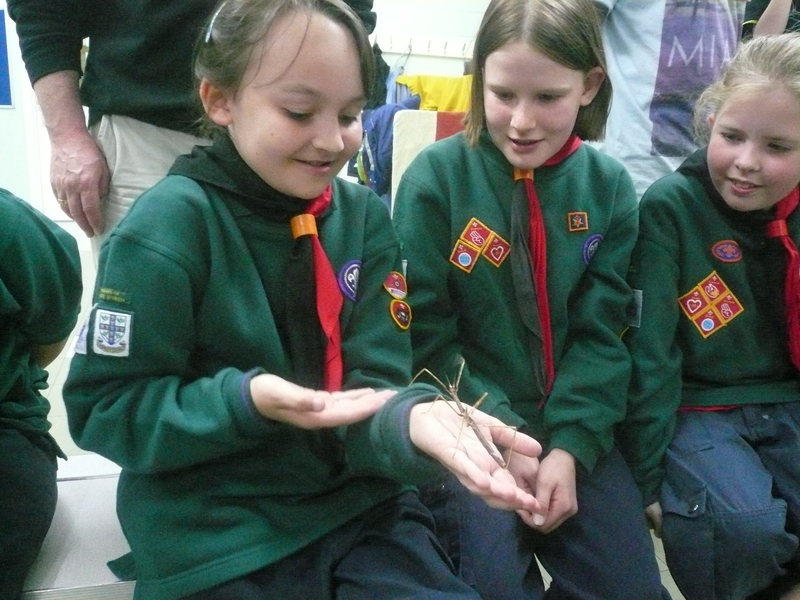 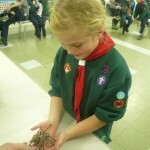 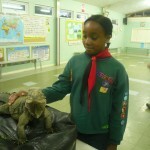 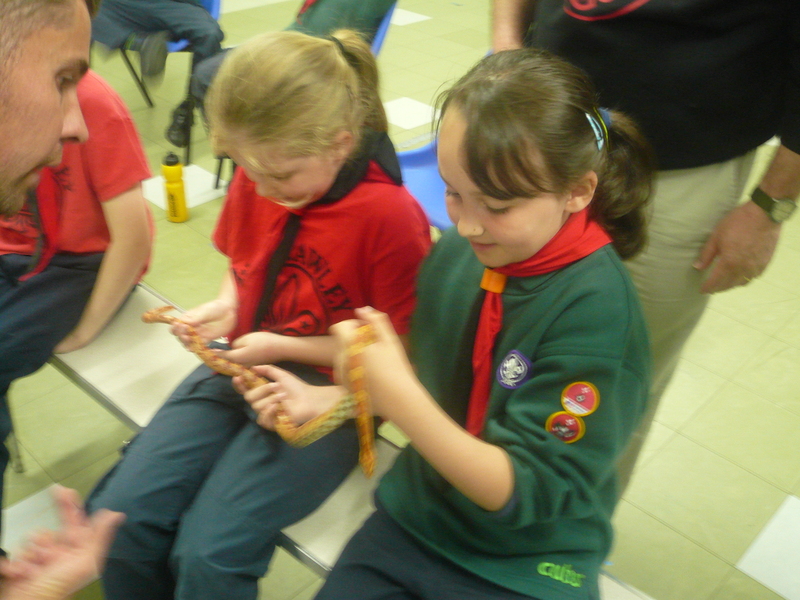 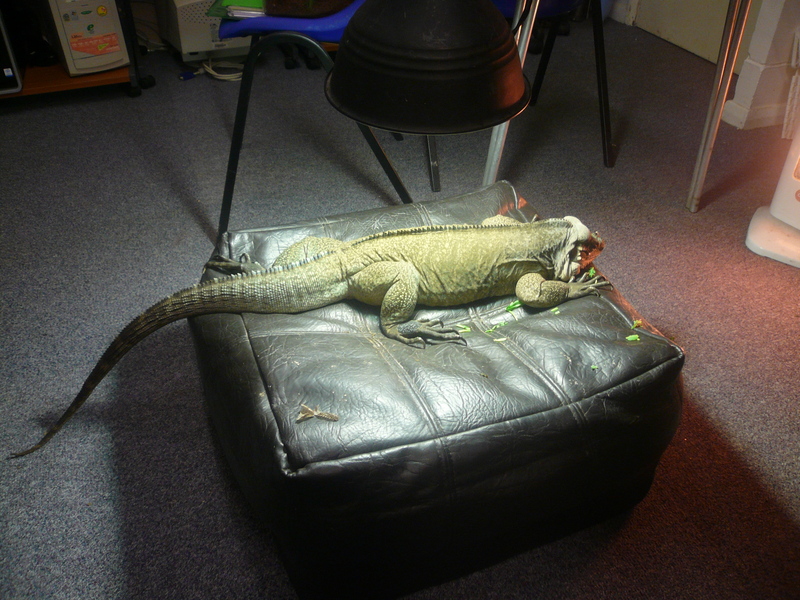 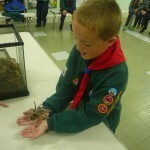 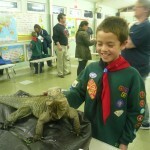 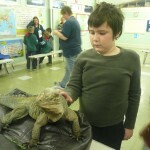 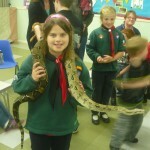 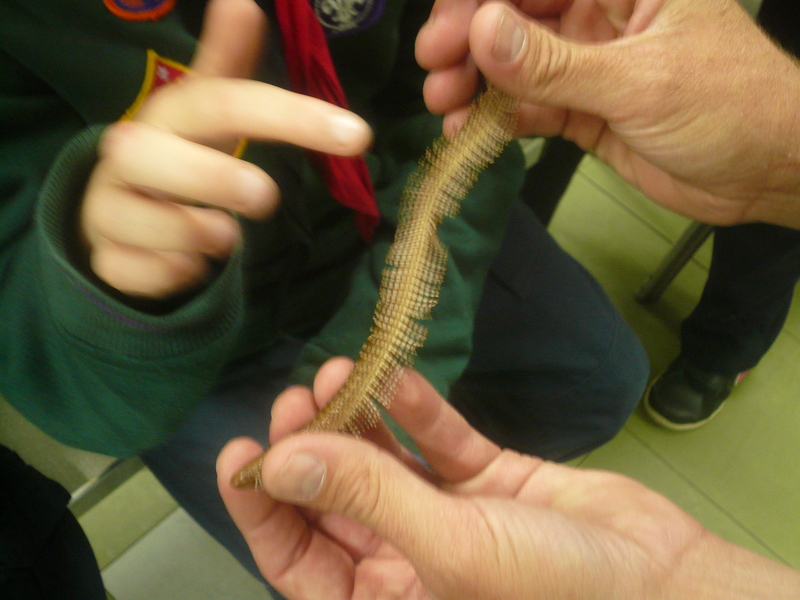 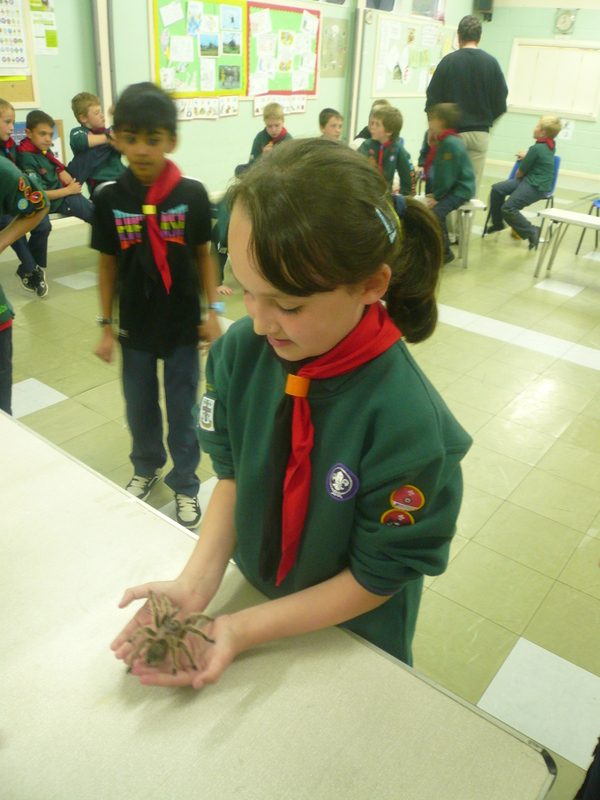 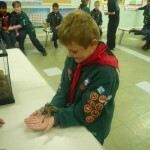 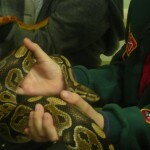 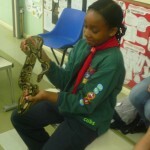 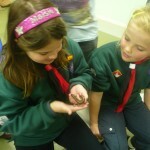 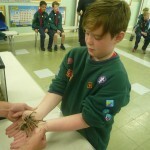 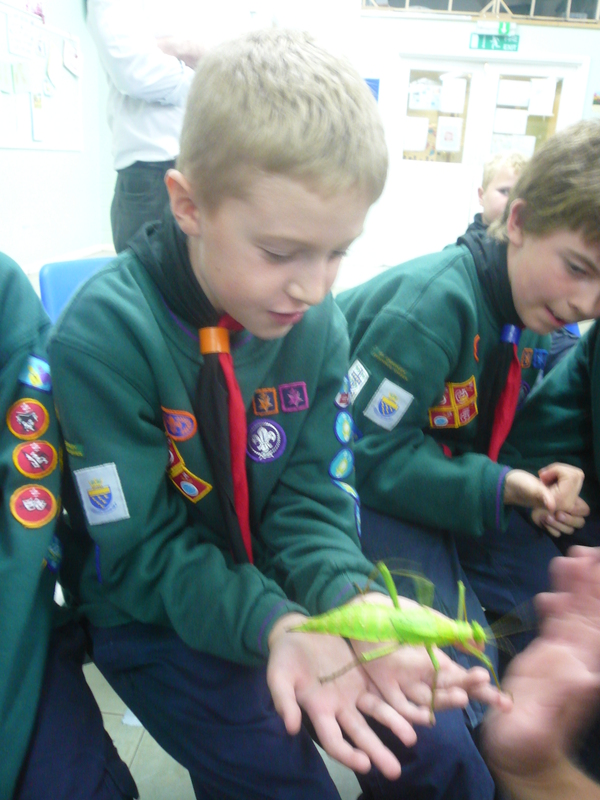 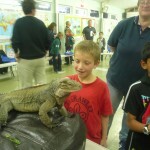 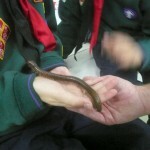 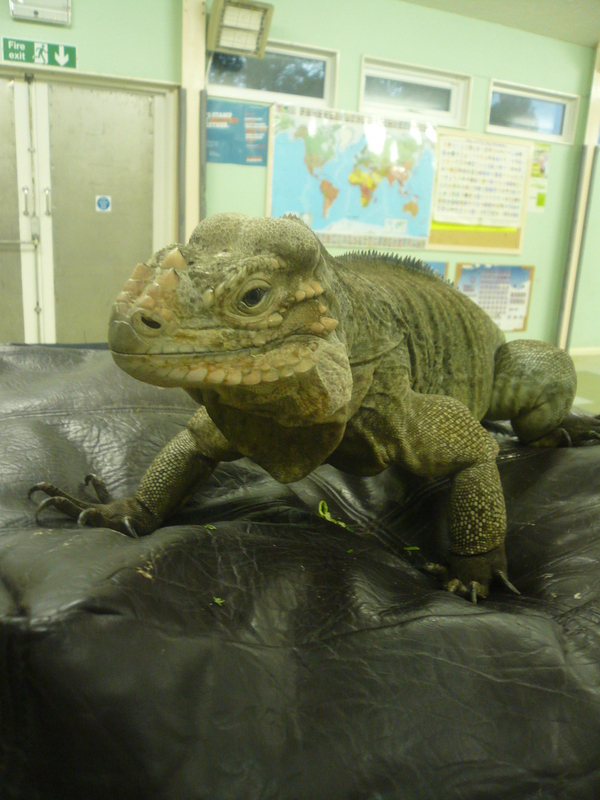 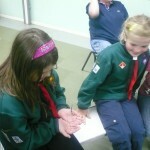 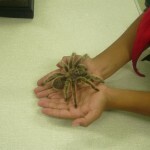 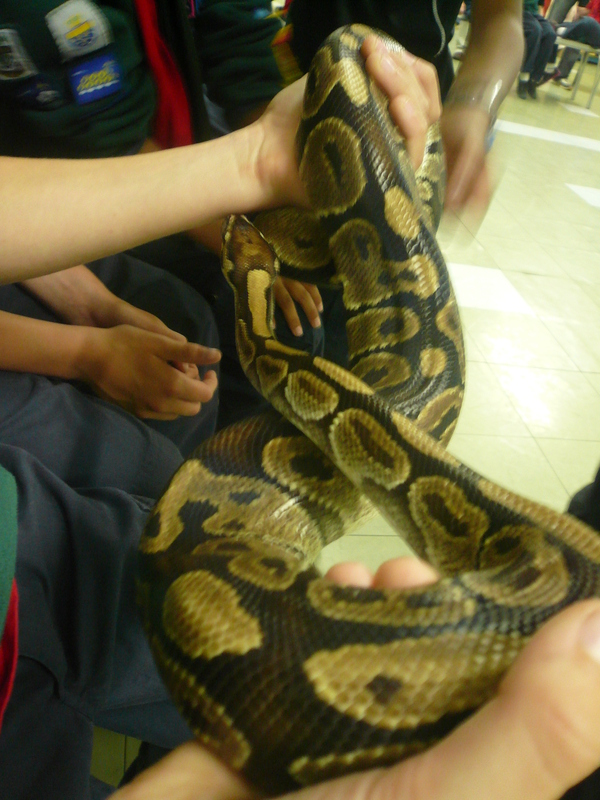 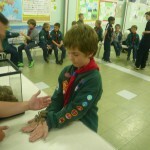 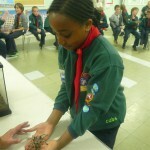 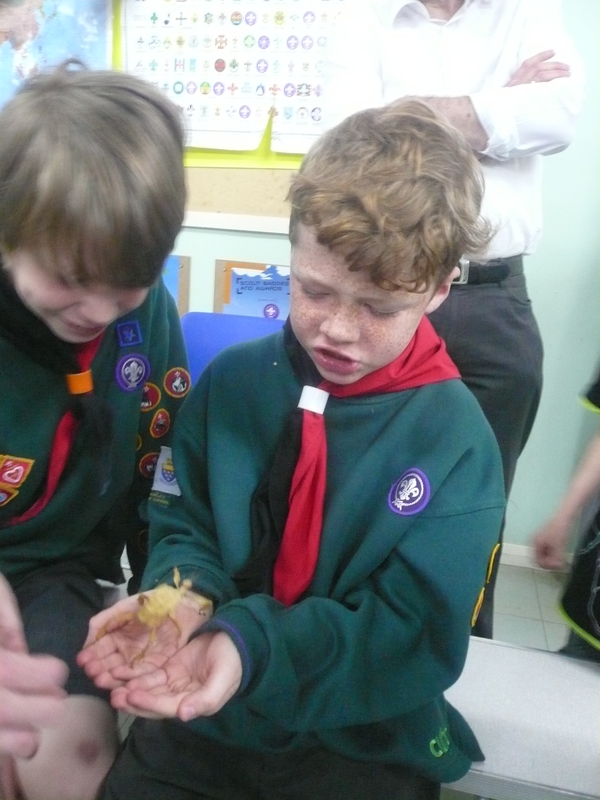 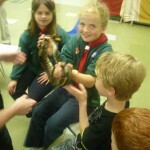 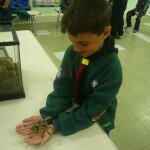 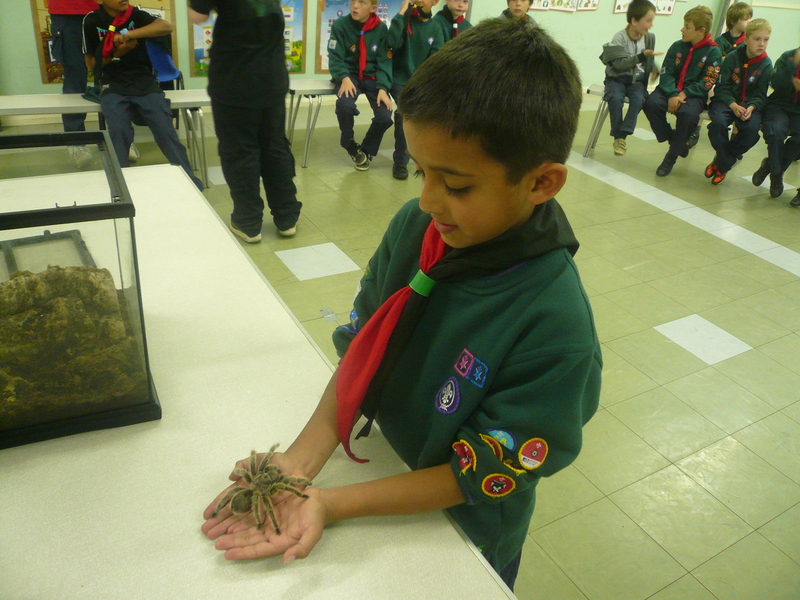 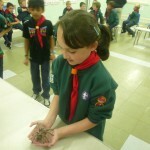 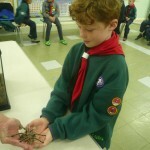 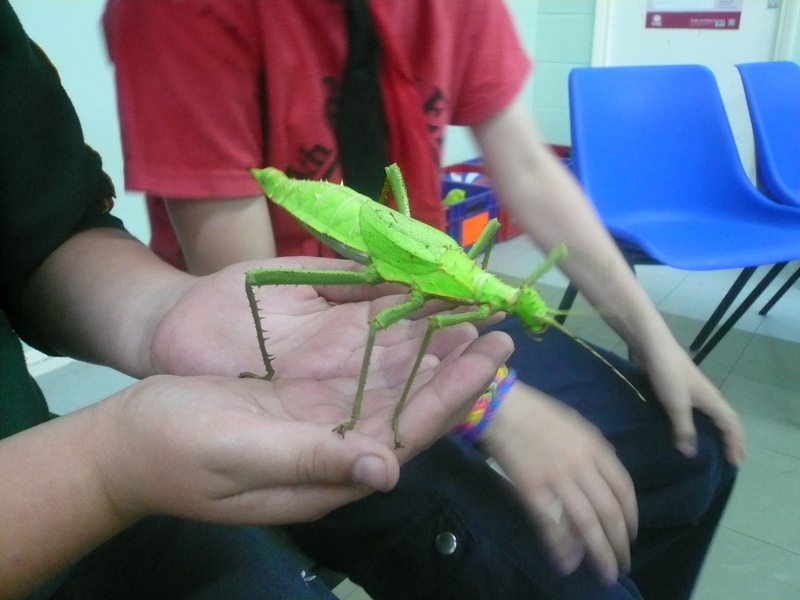 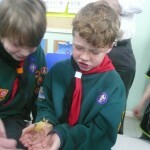 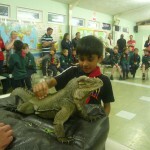 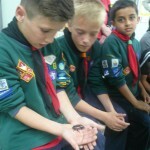 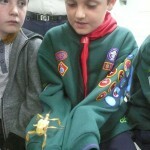 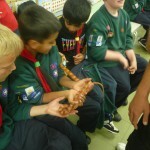 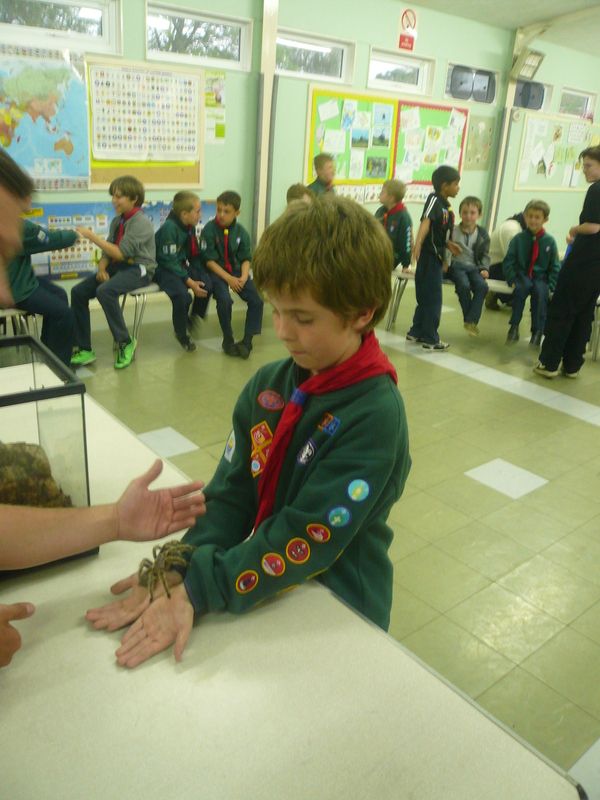 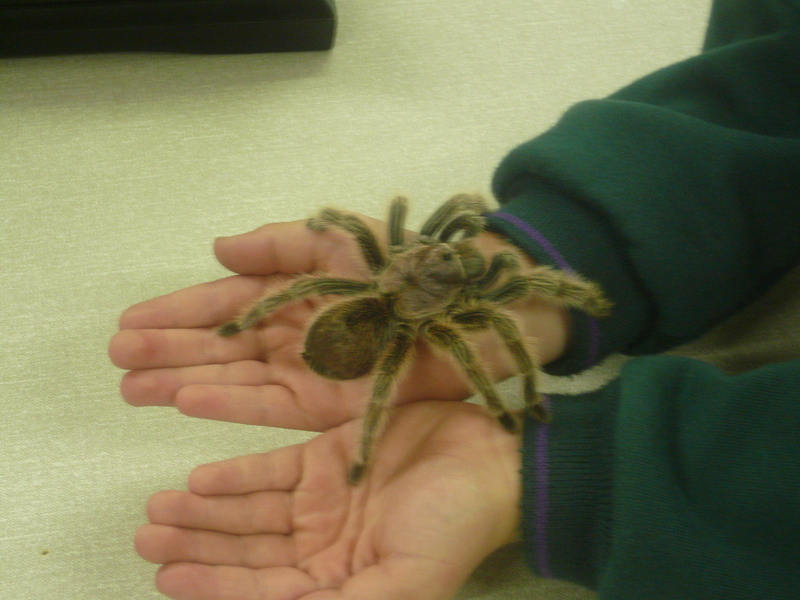 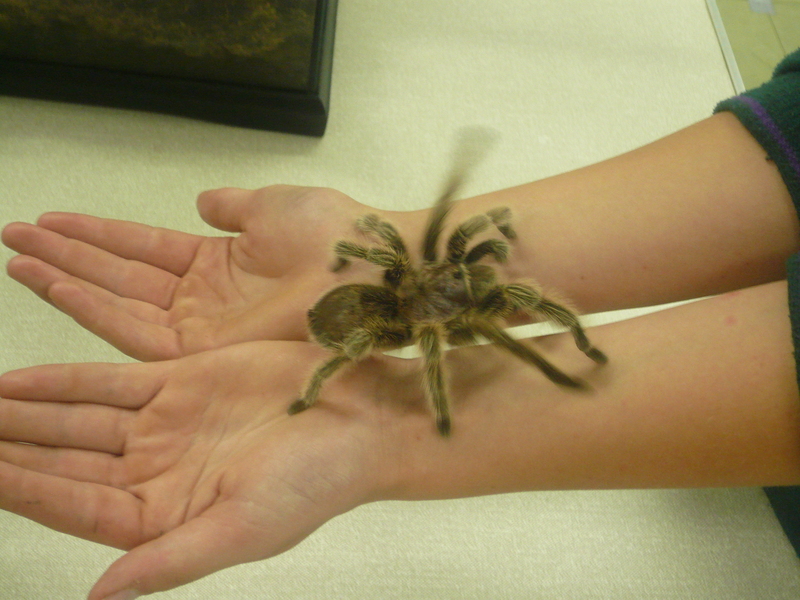 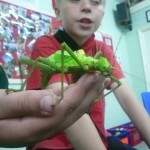 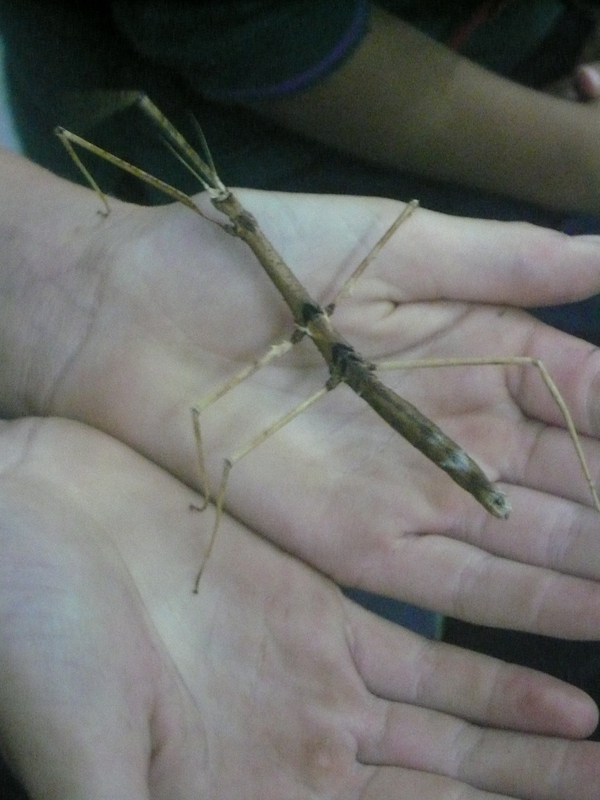 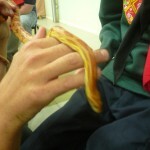 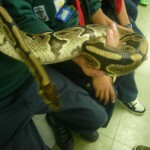 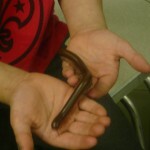 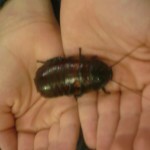 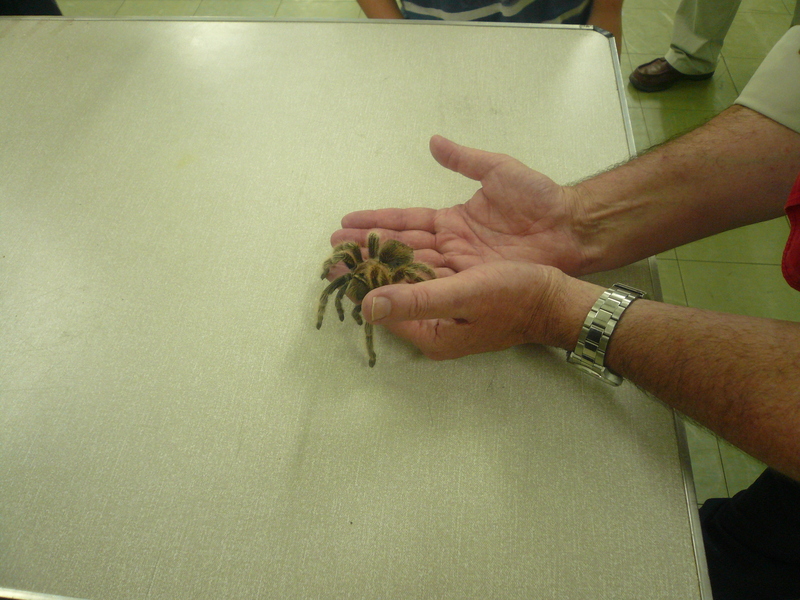 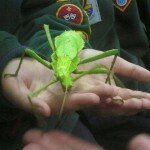 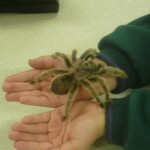 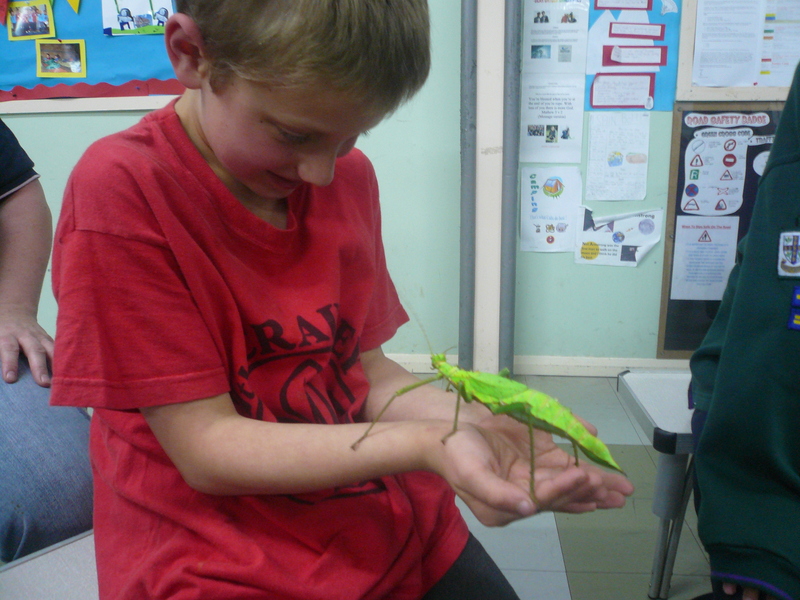 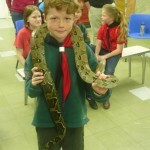 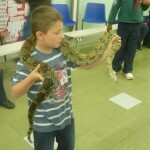 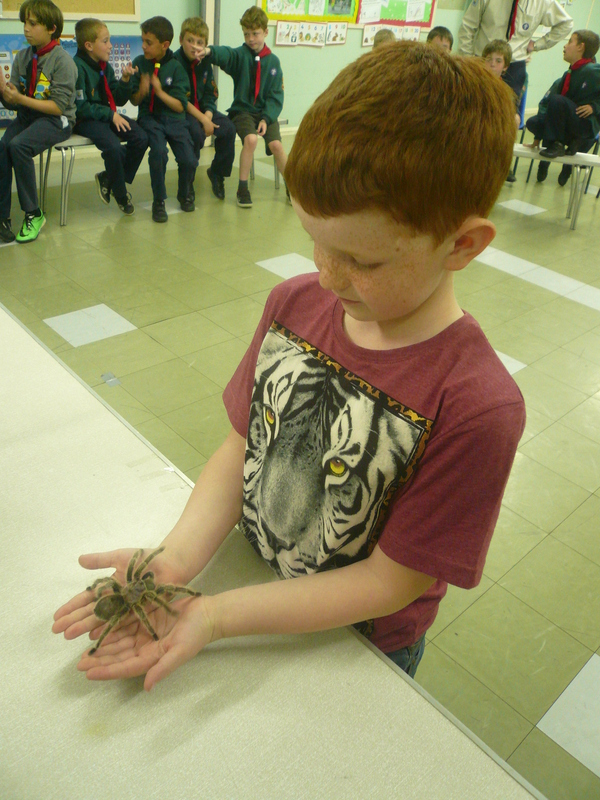 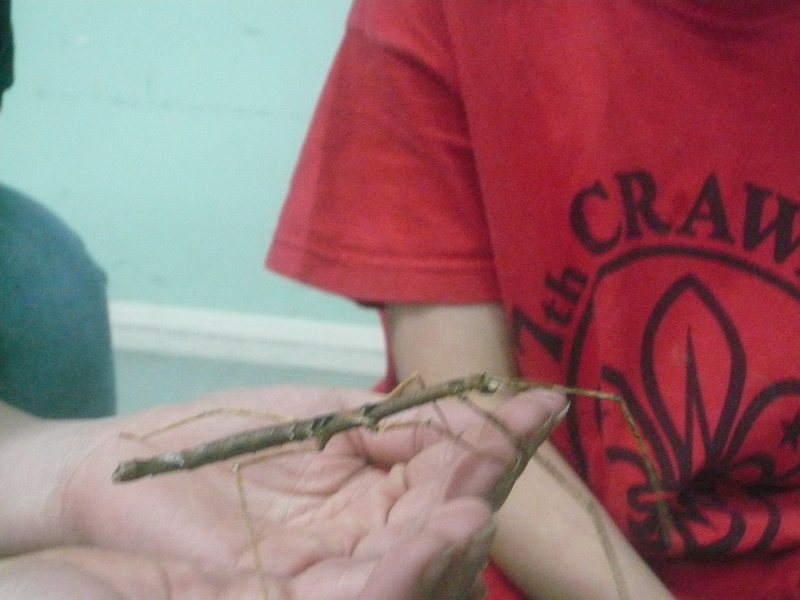 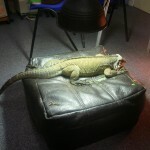 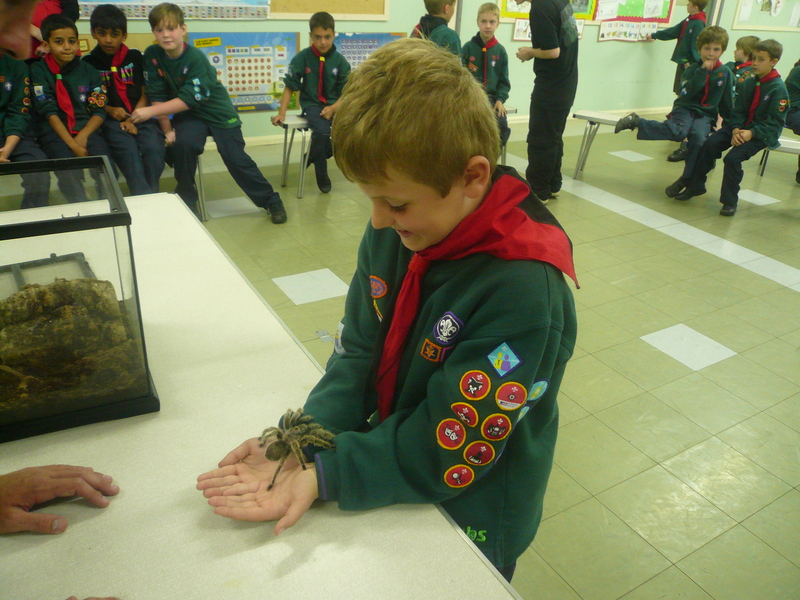 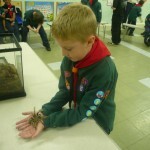 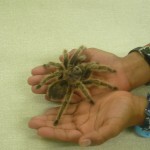 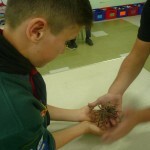 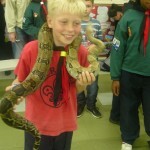 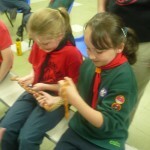 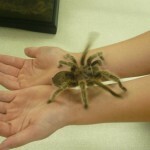 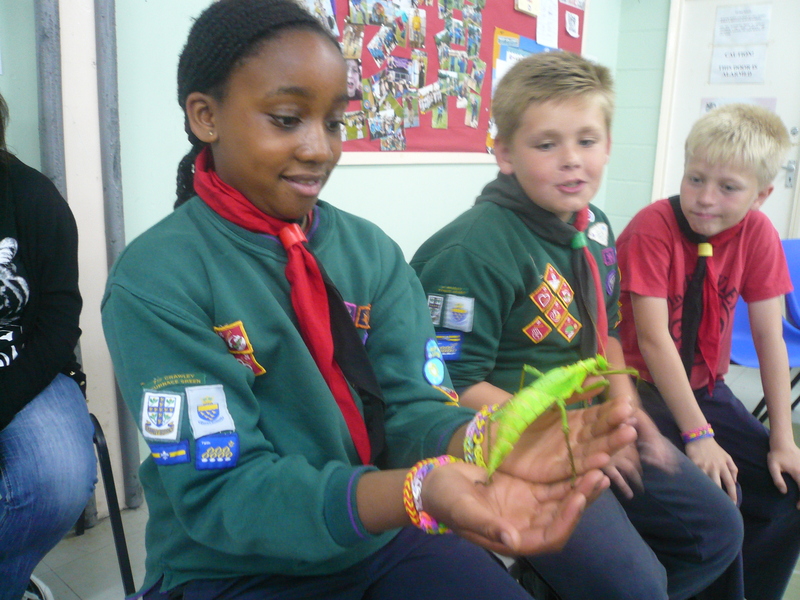 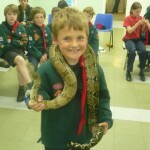 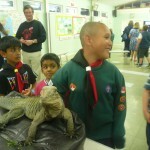 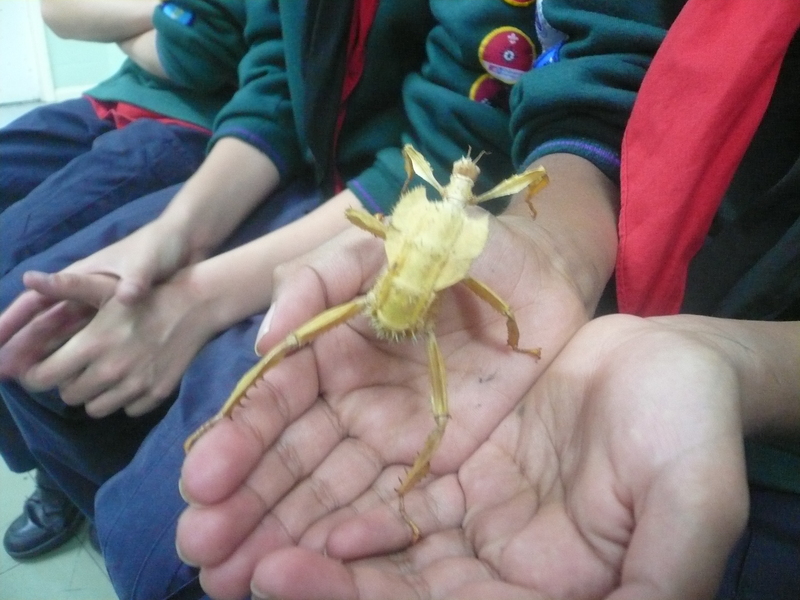 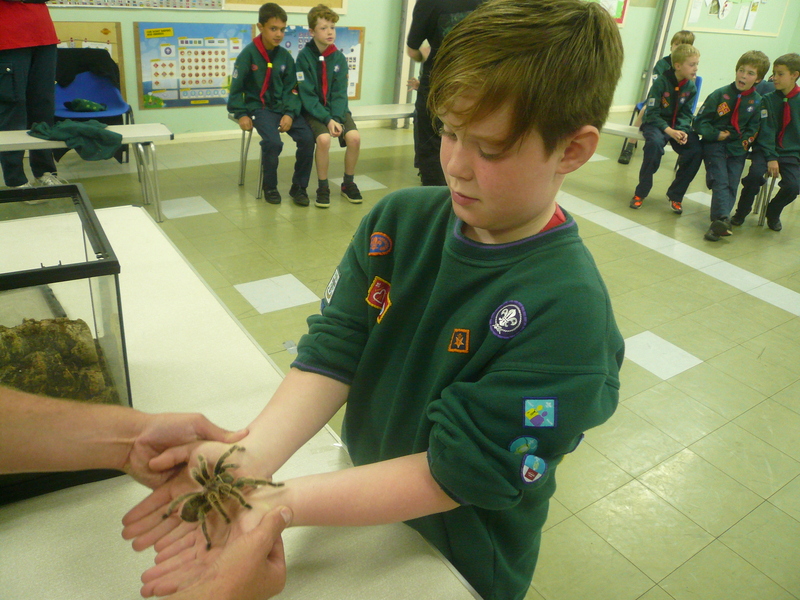 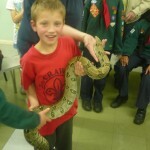 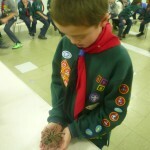 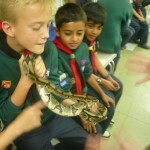 We had an opportunity to handle stick insects, cockroaches, a South American tarantula, a boa constrictor, corn snake and stroke an Iguana. 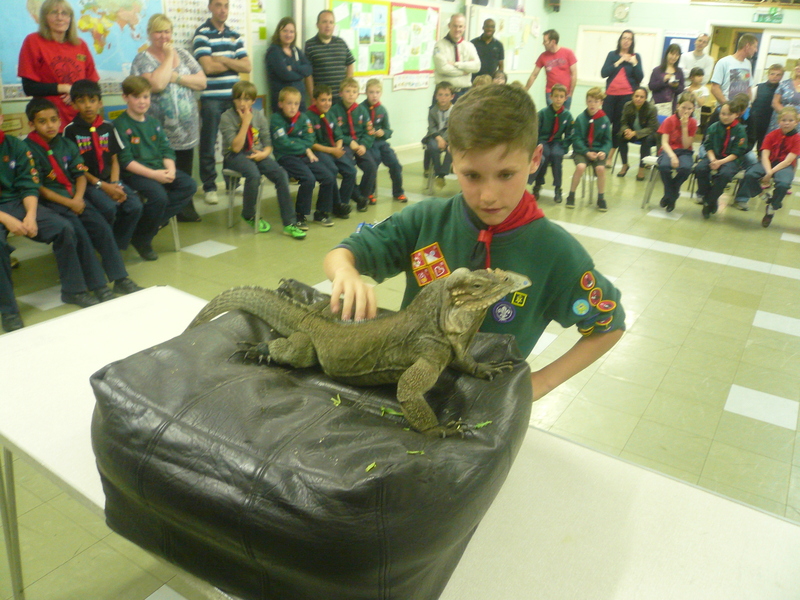 We had a brilliant evening and would like to thank Tom and Maz for letting us meet their friends and for teaching us so much about them.